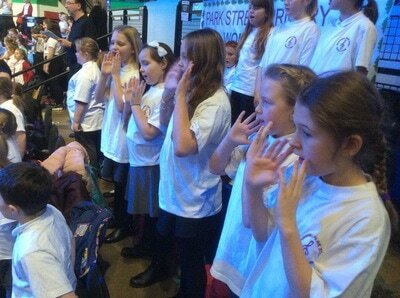 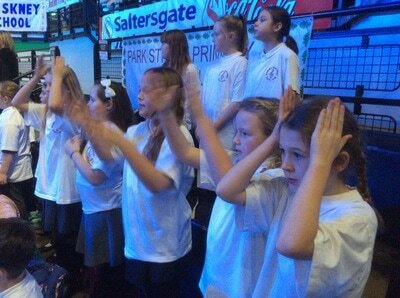 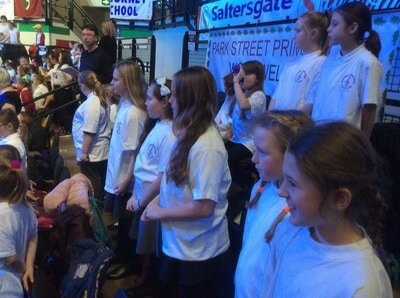 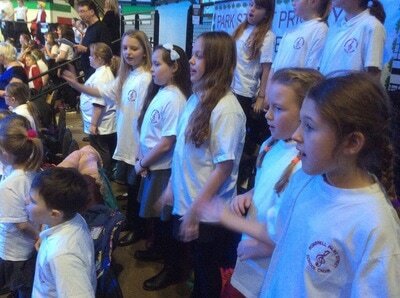 At Park street we strive to ensure children have experiences on many levels when we are considering community cohesion. 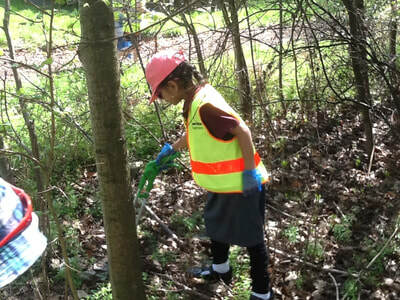 We aim to cover work on a local, national and international level. 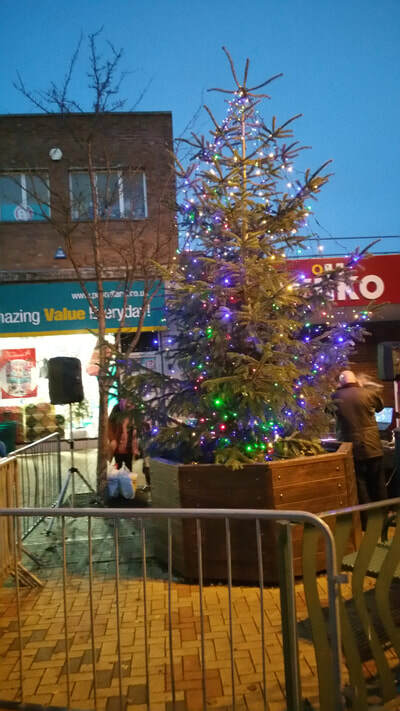 The area that is most prevalent and probably more frequent is working with the local community. 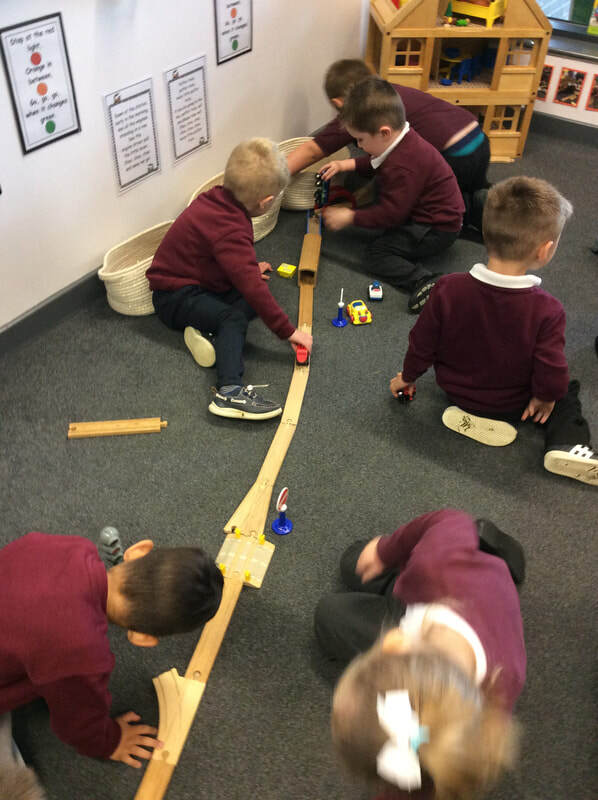 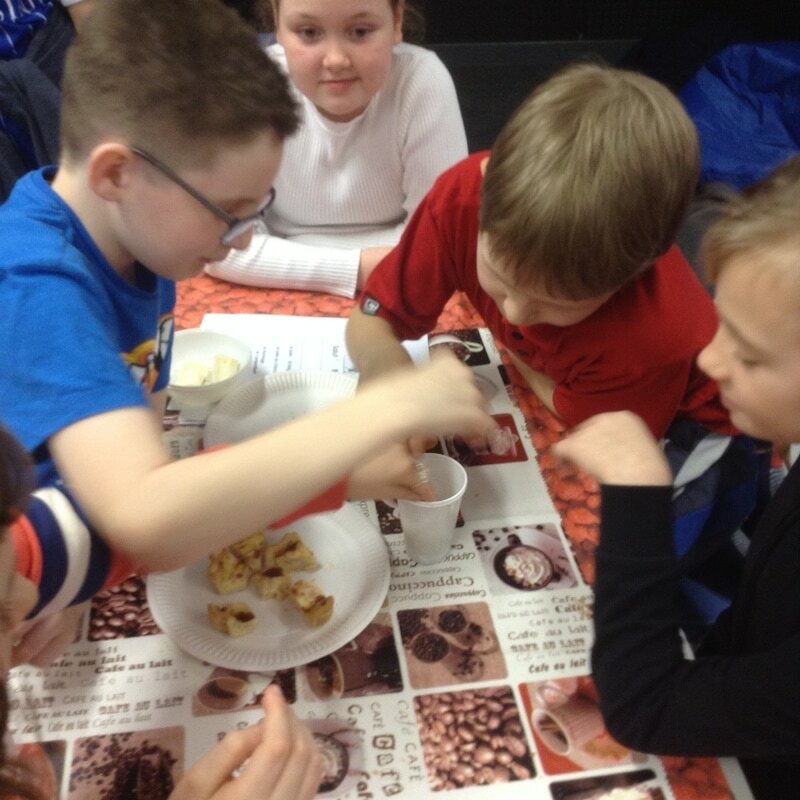 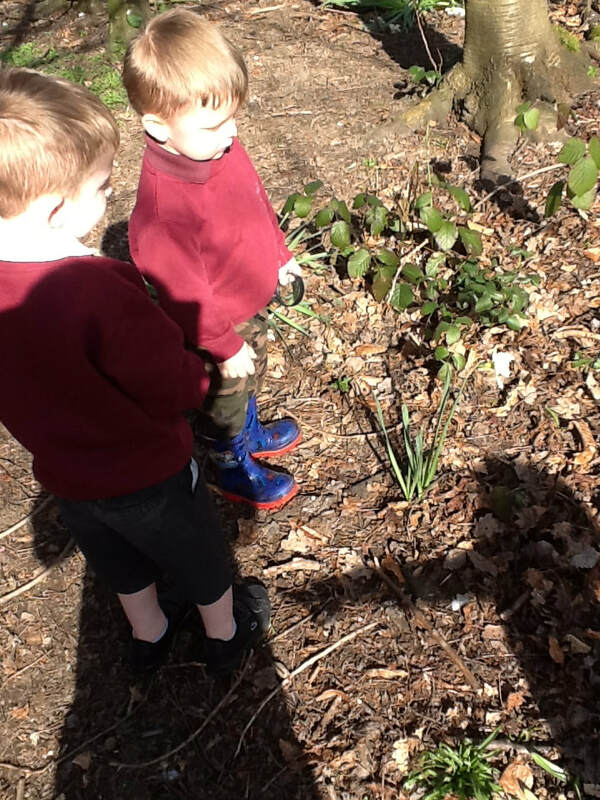 We arrange a whole host of activities and experiences to develop children's wider understanding. 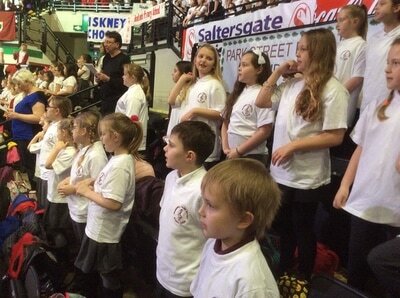 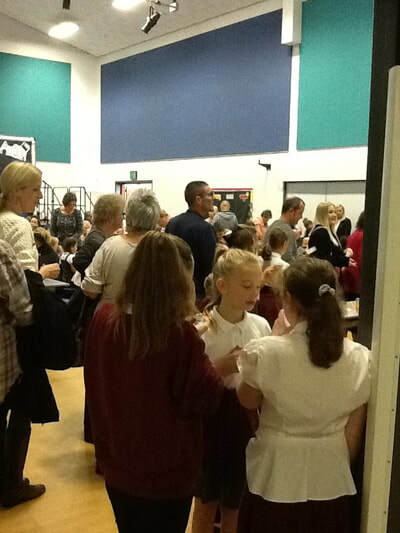 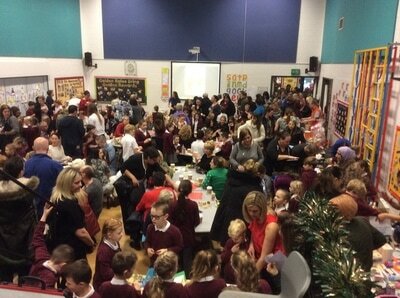 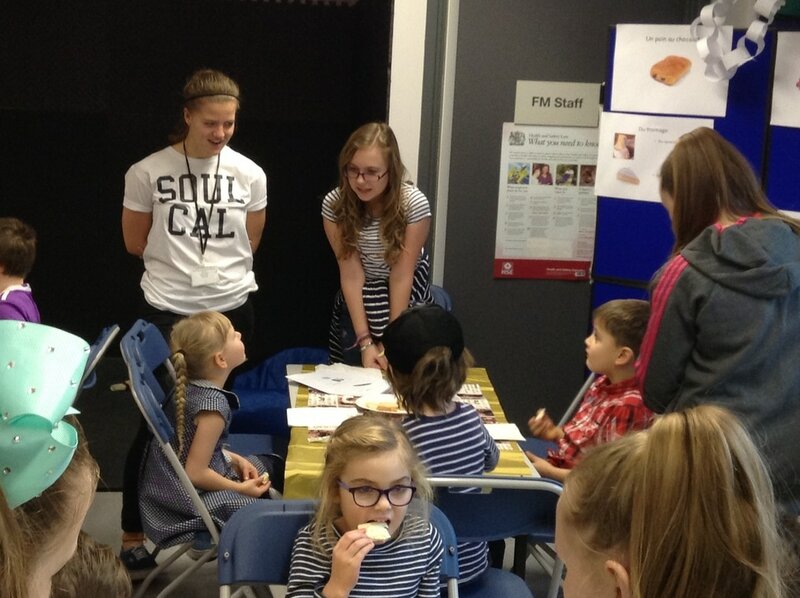 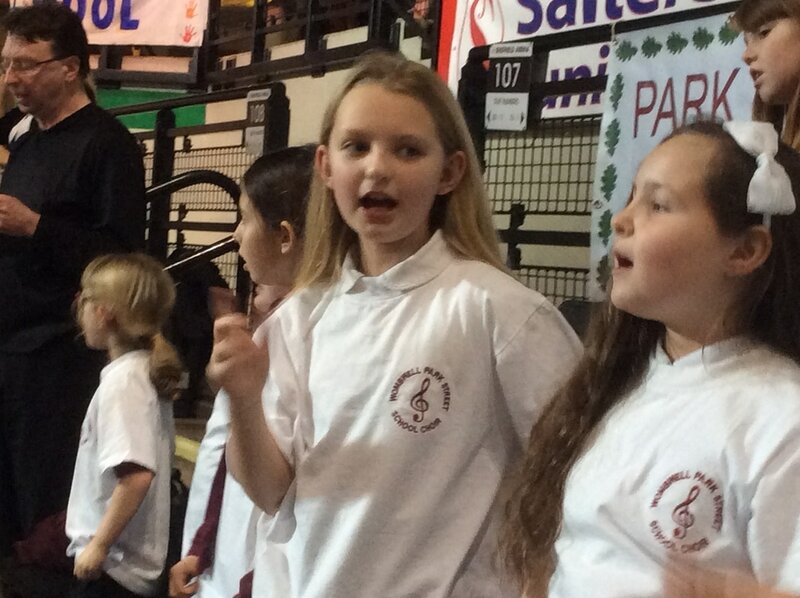 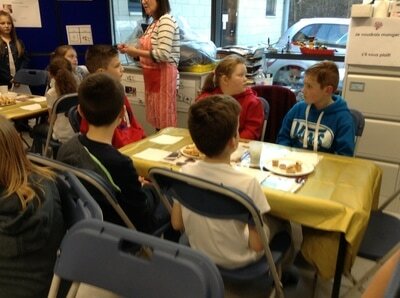 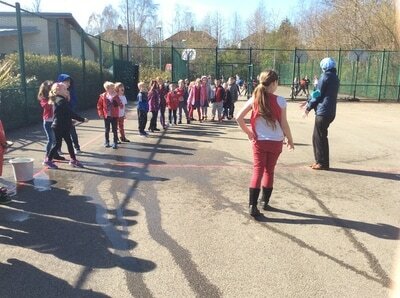 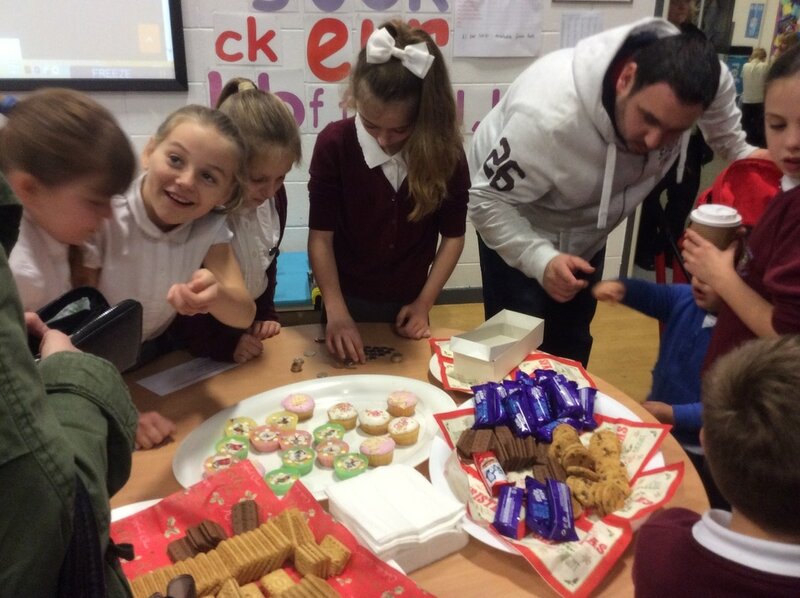 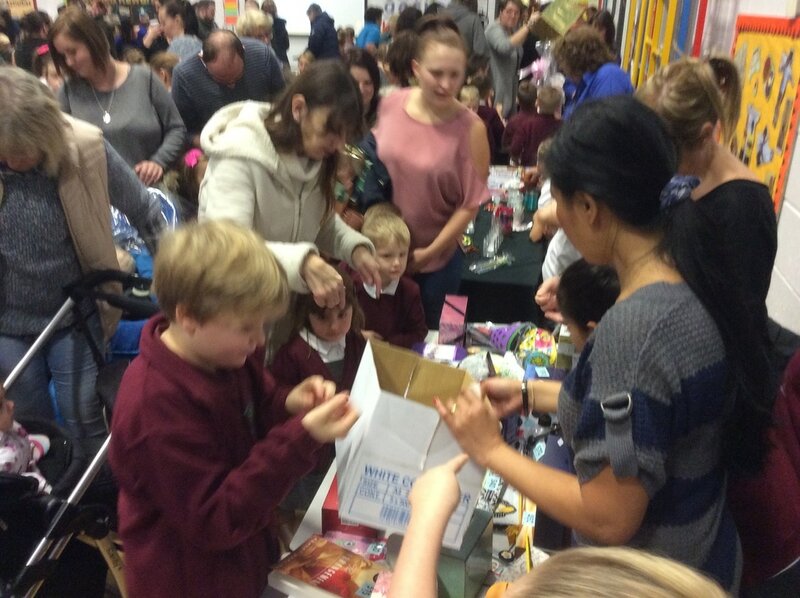 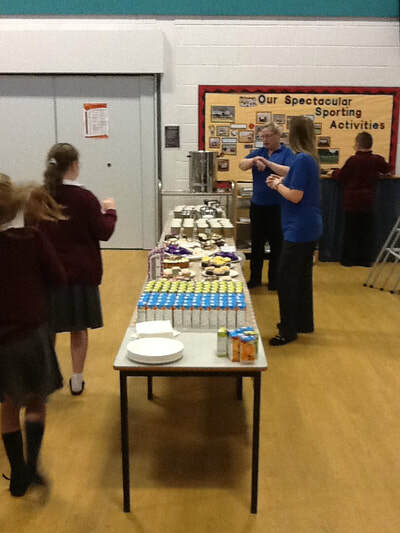 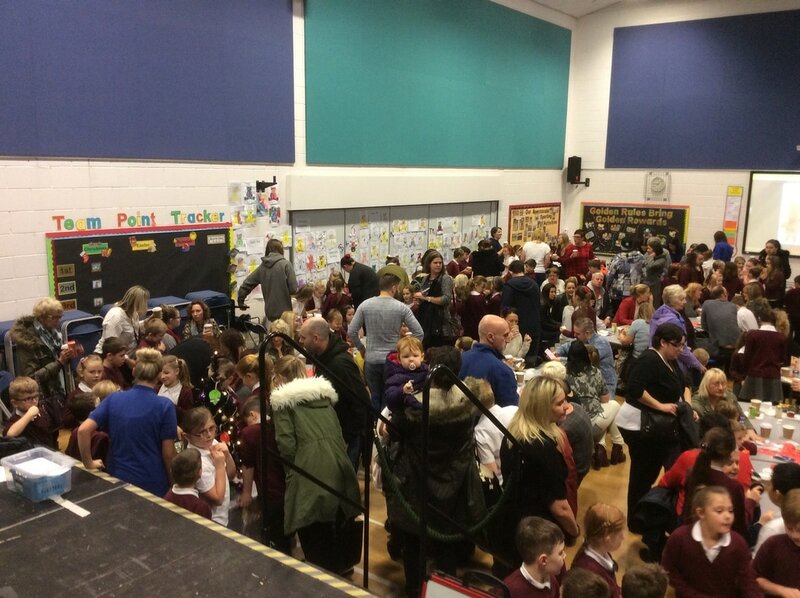 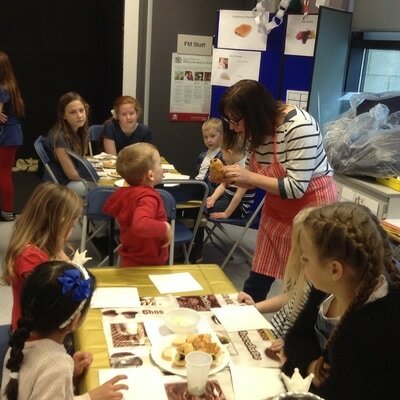 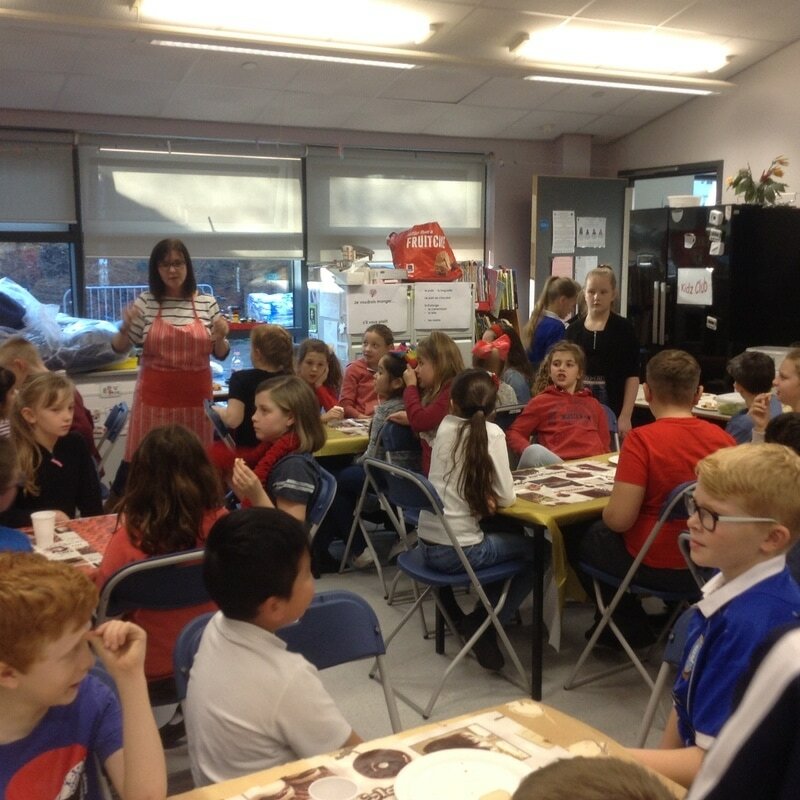 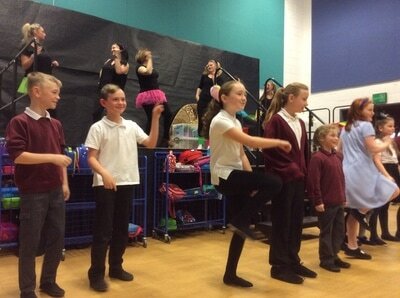 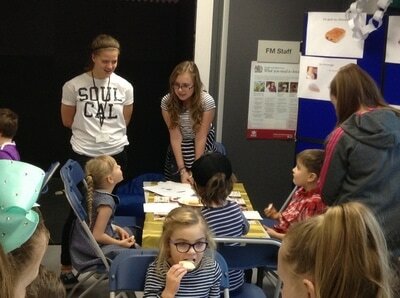 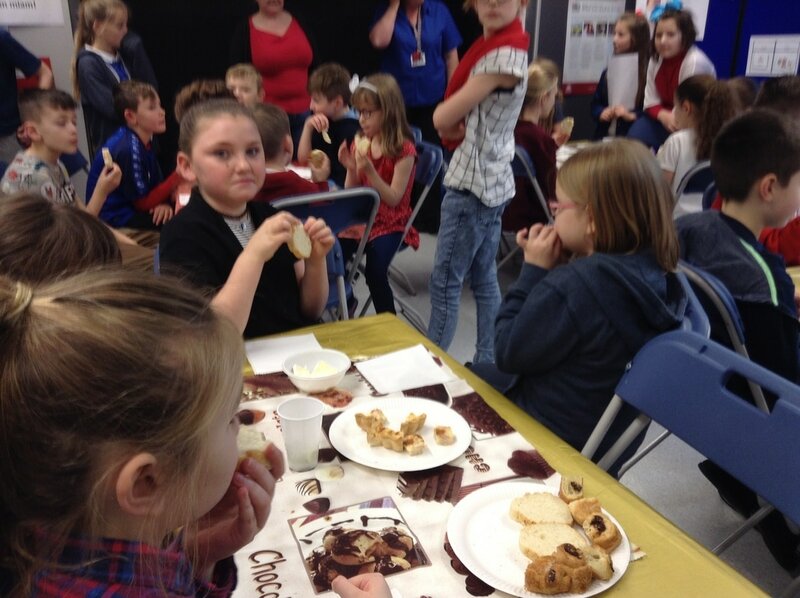 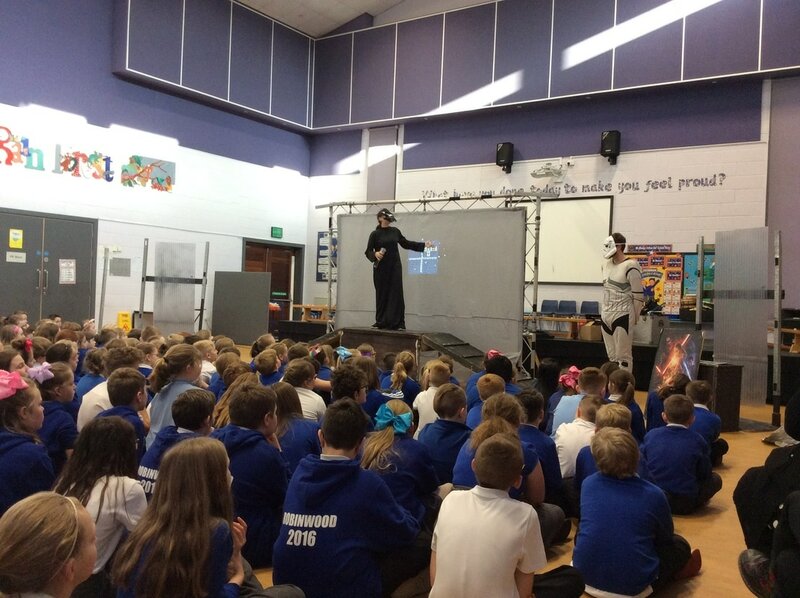 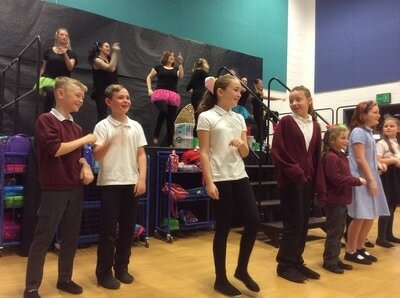 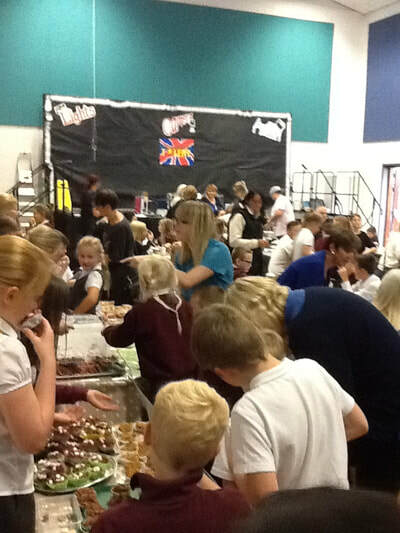 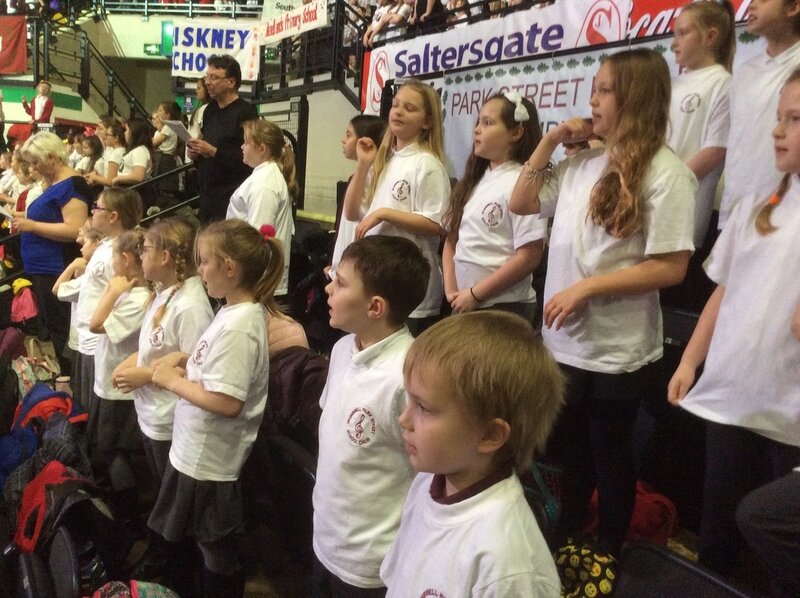 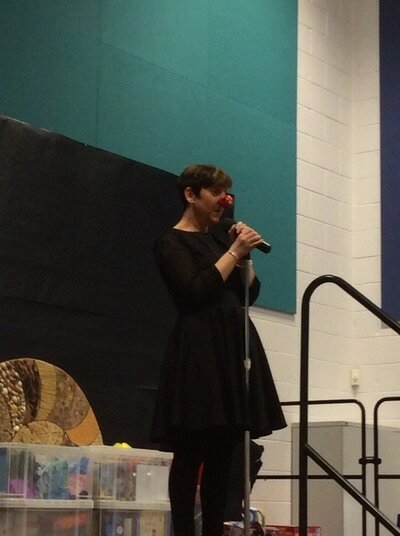 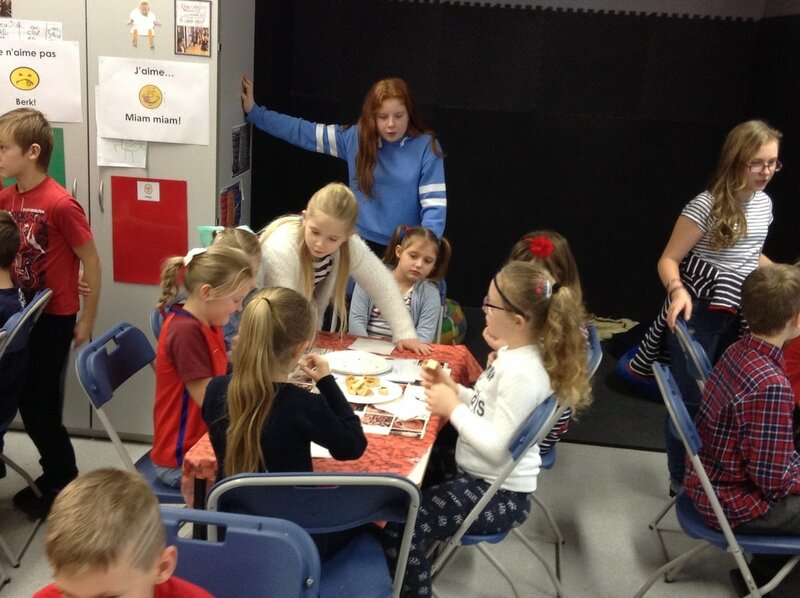 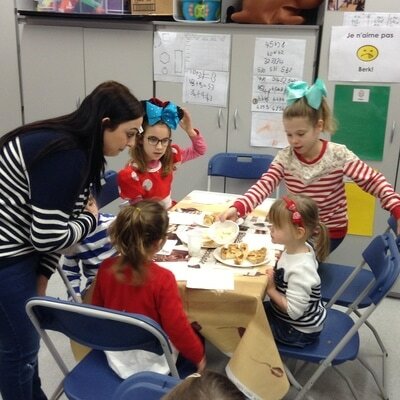 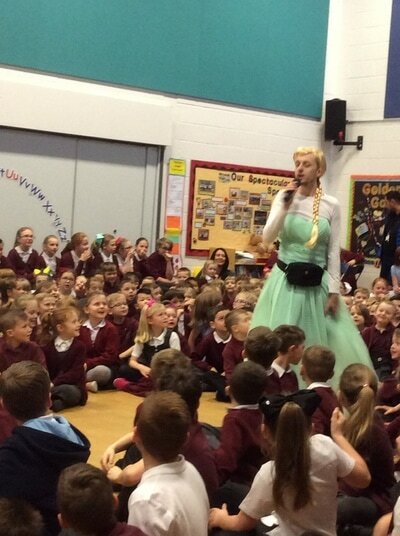 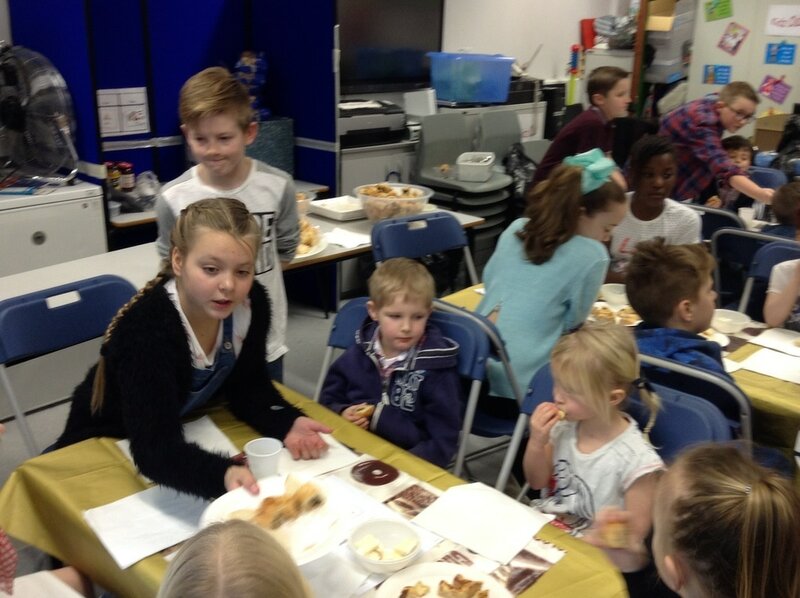 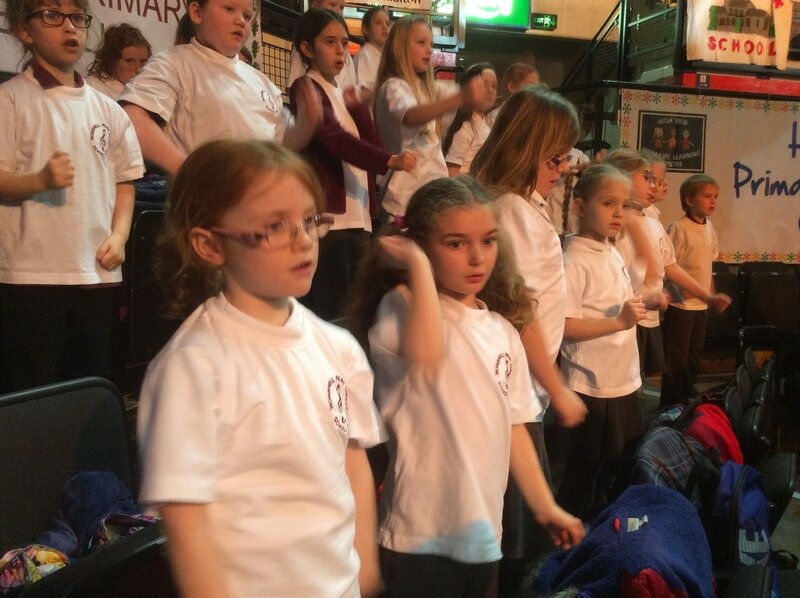 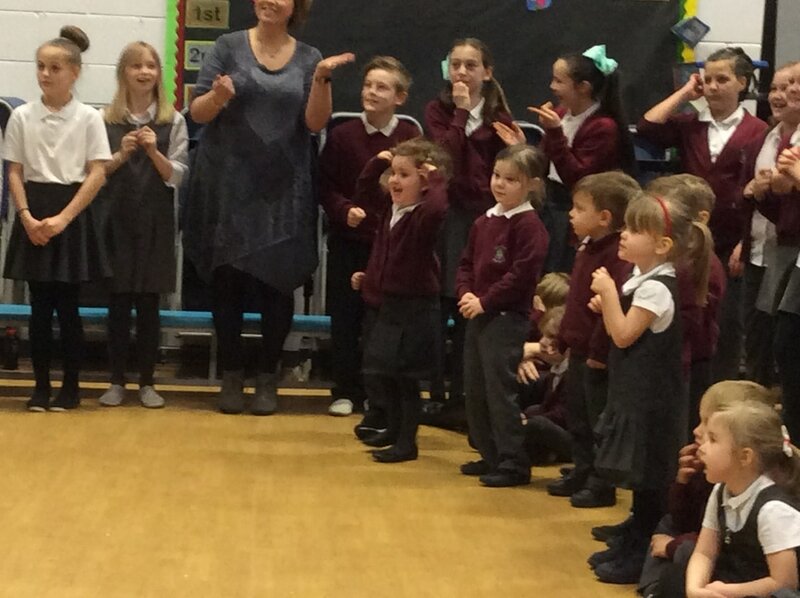 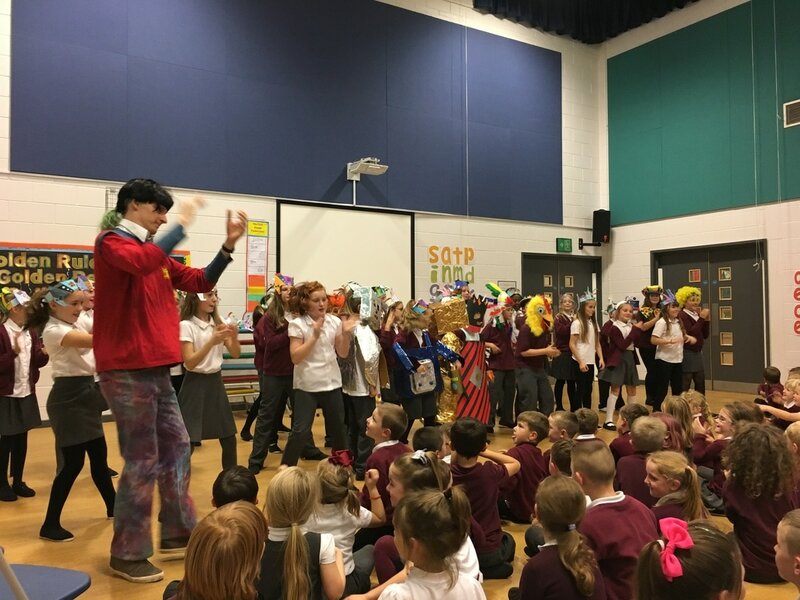 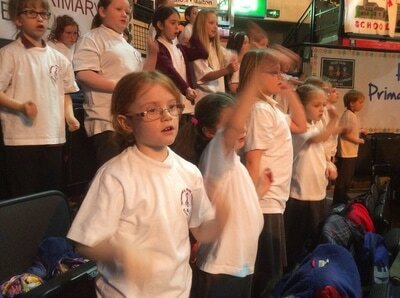 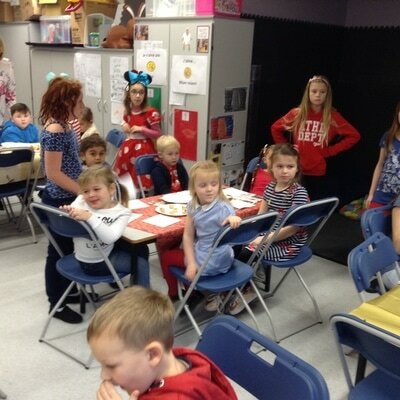 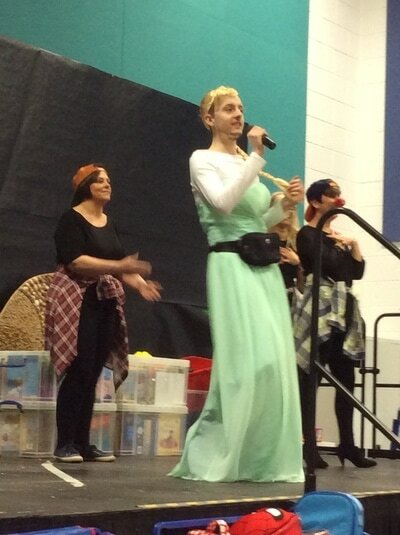 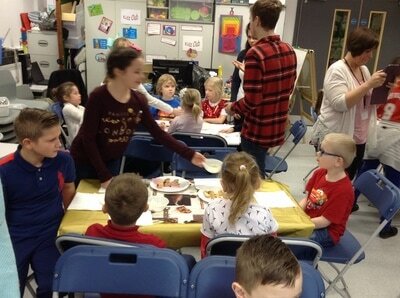 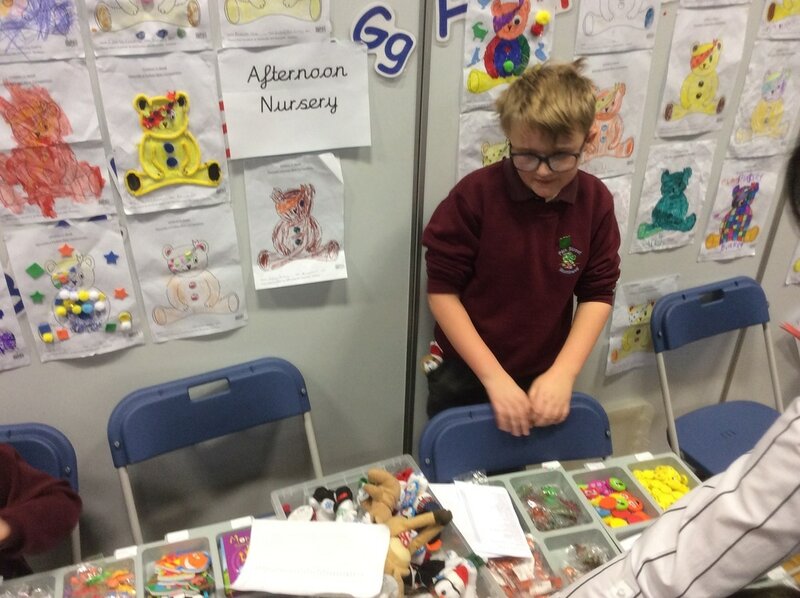 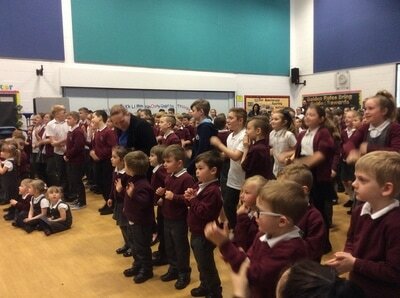 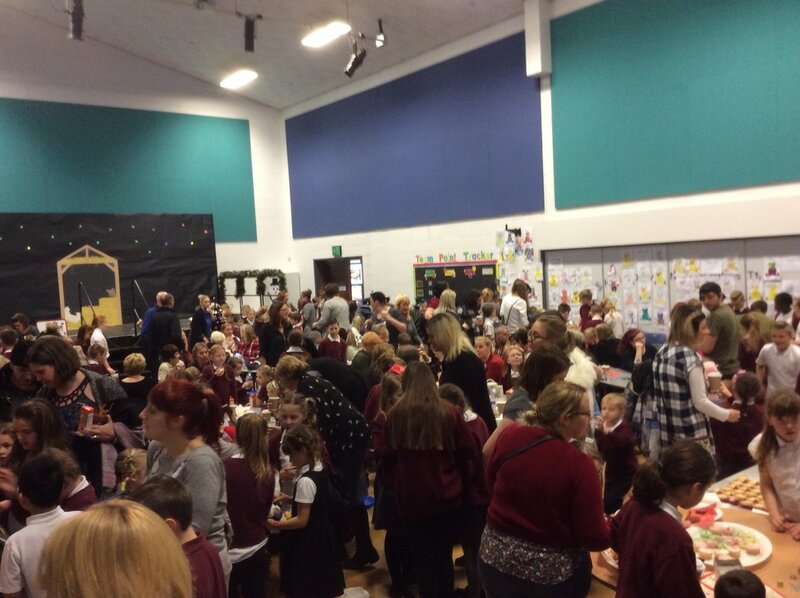 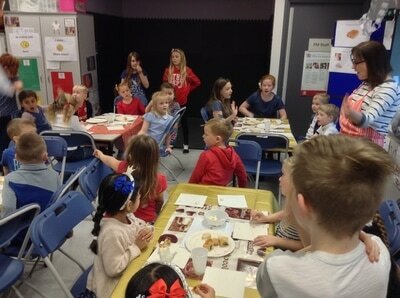 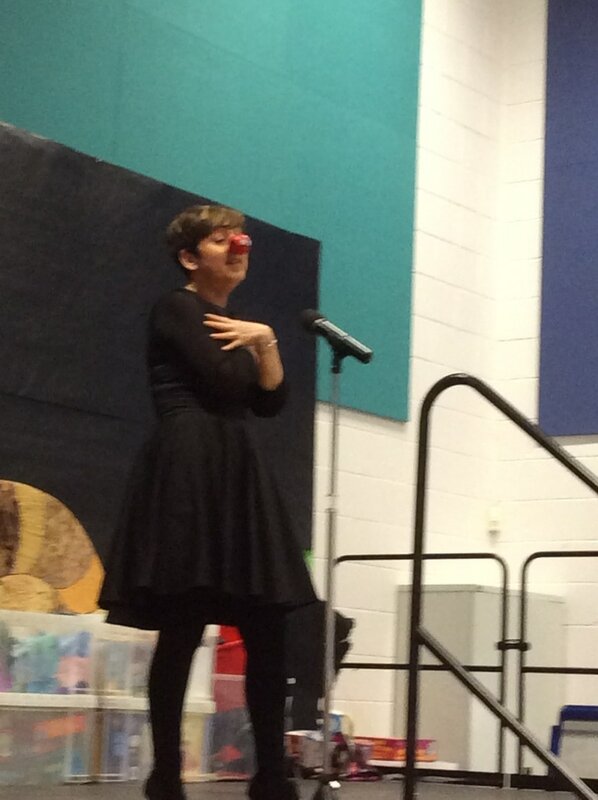 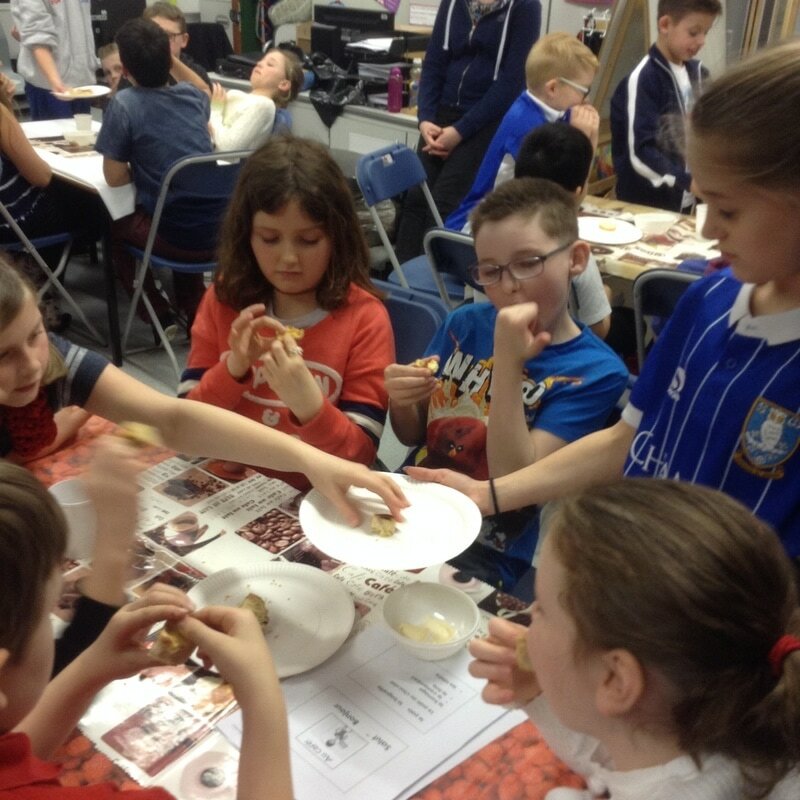 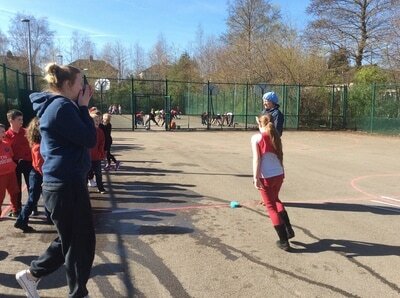 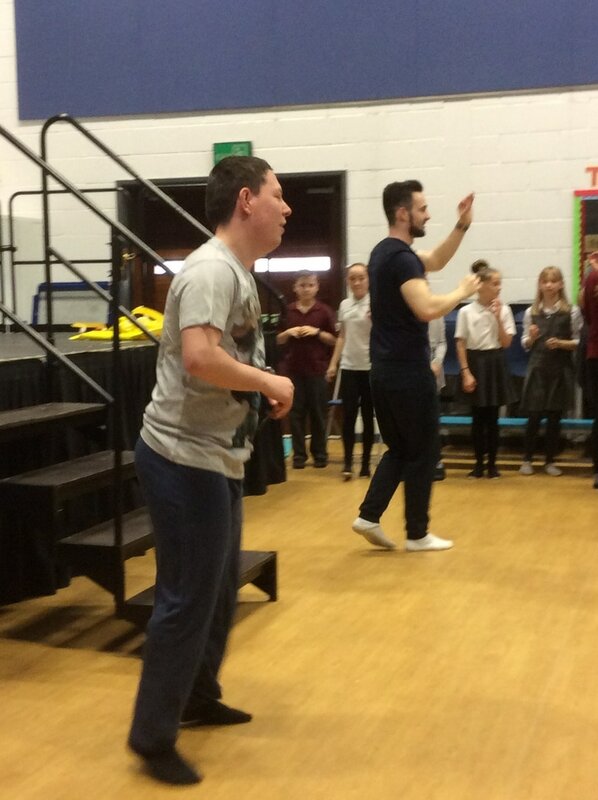 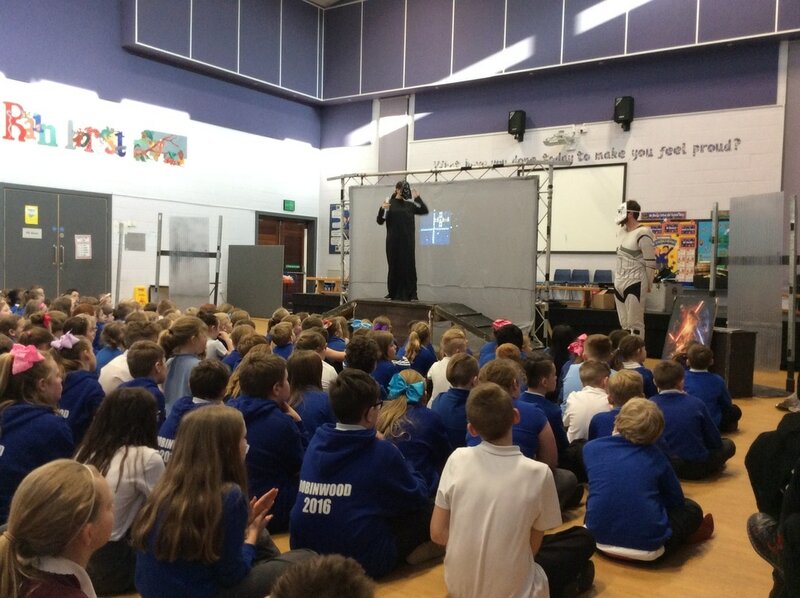 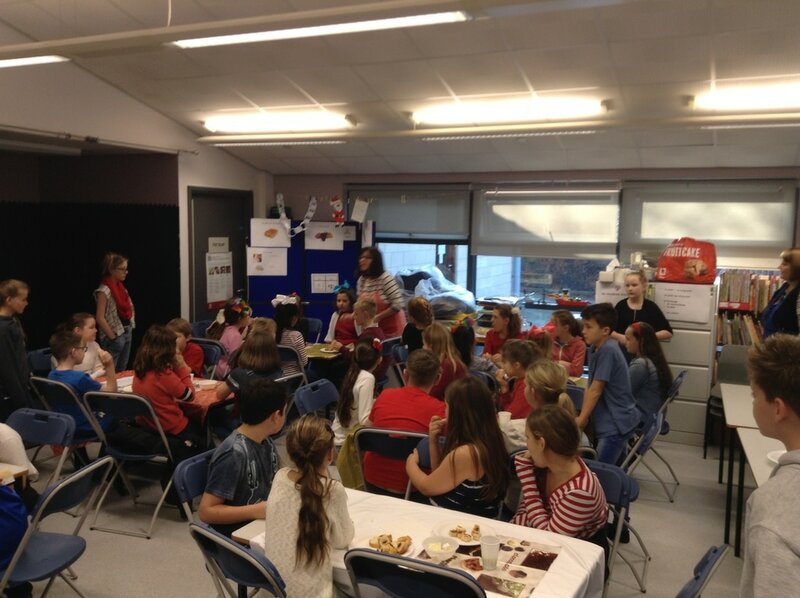 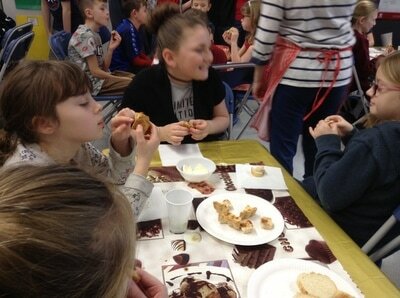 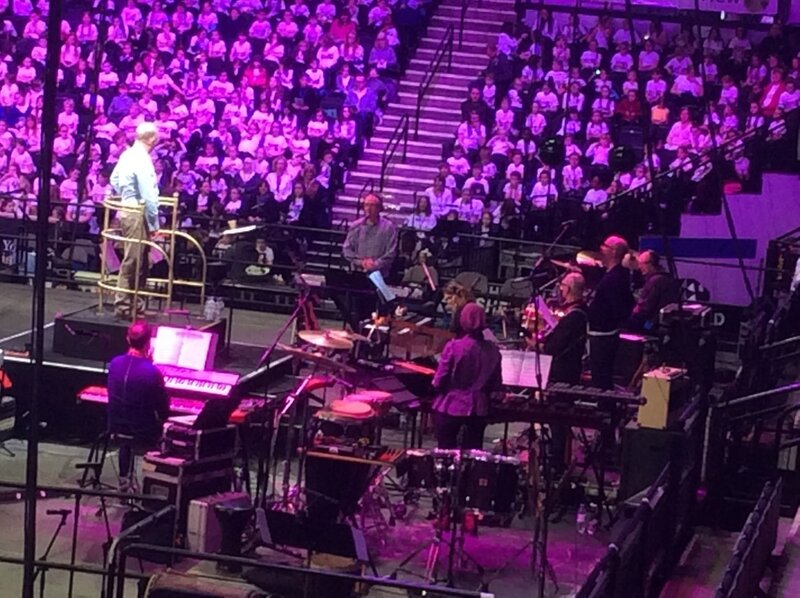 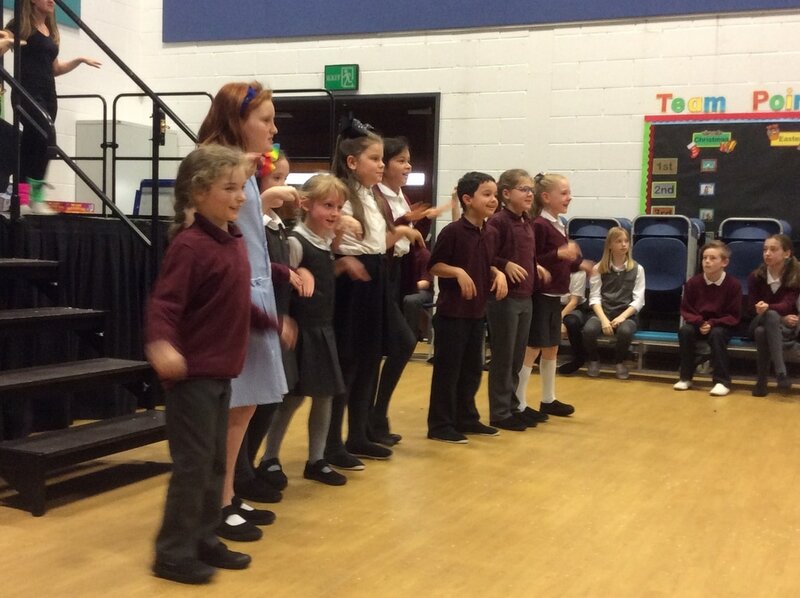 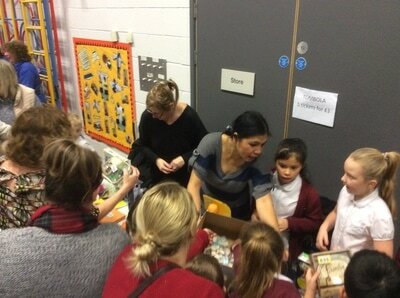 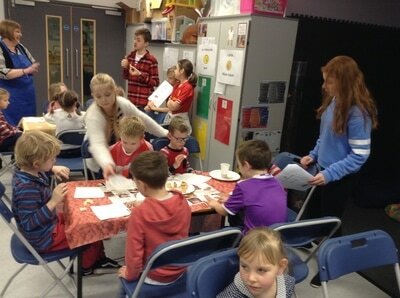 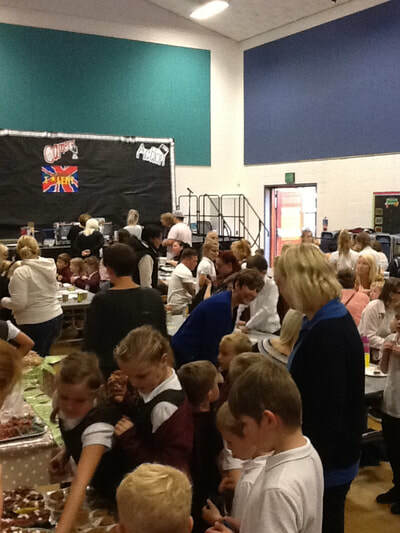 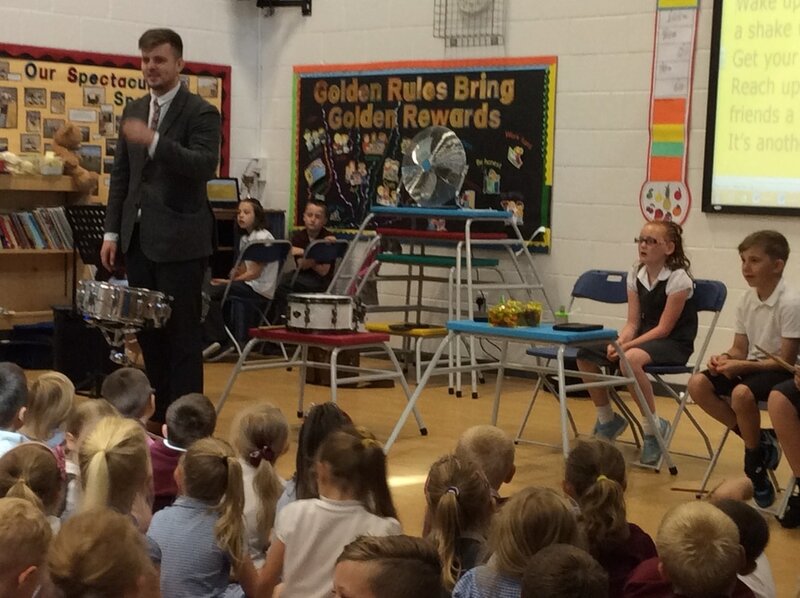 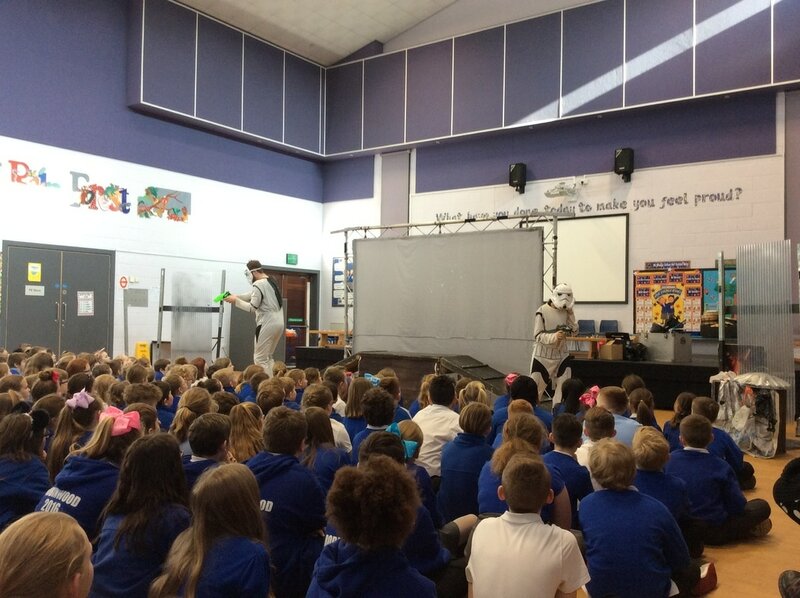 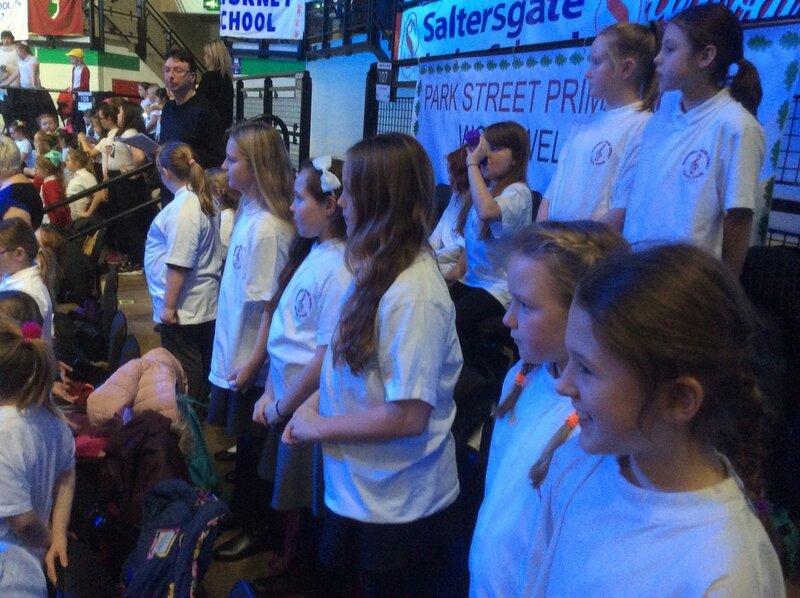 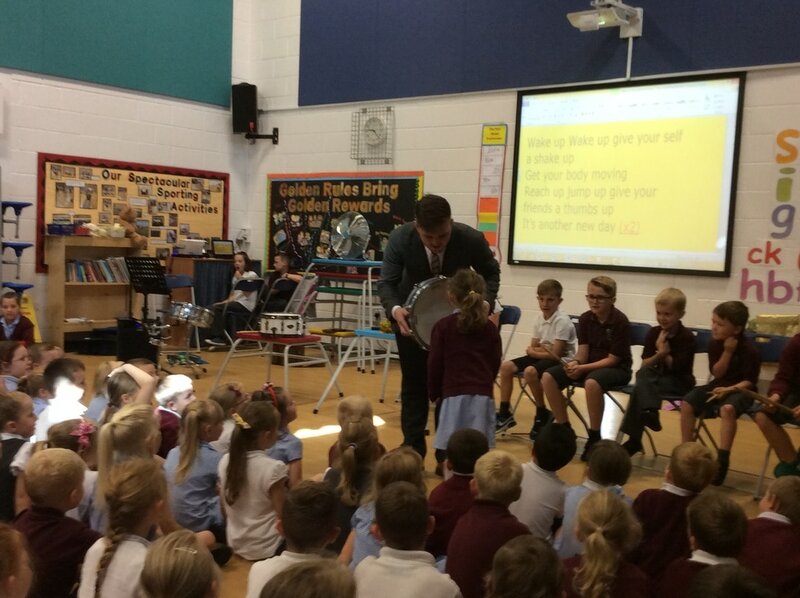 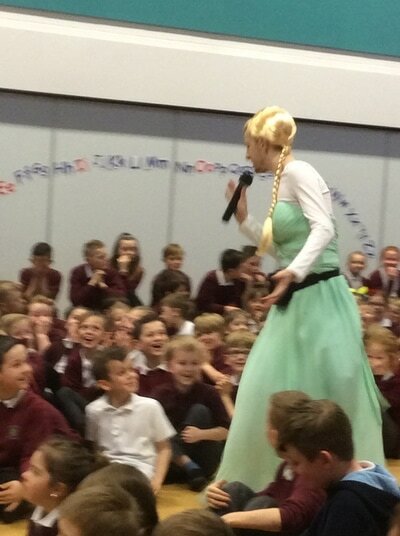 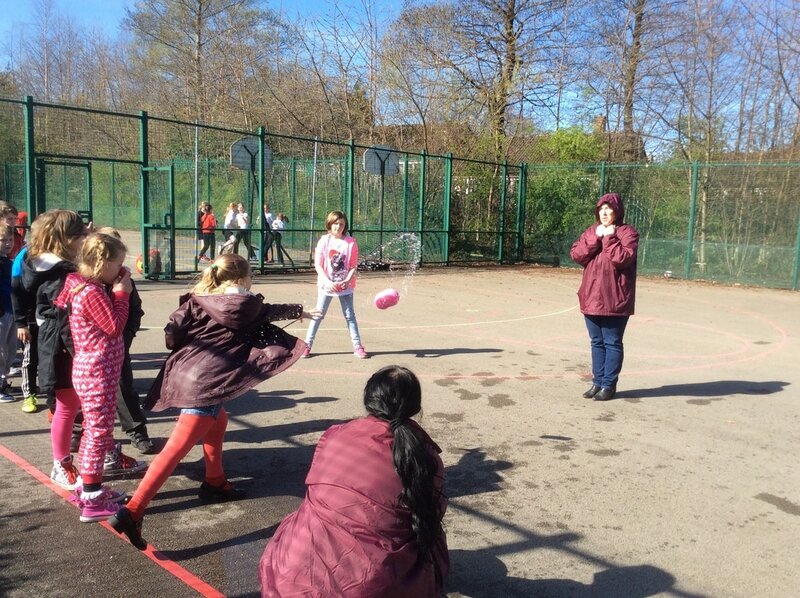 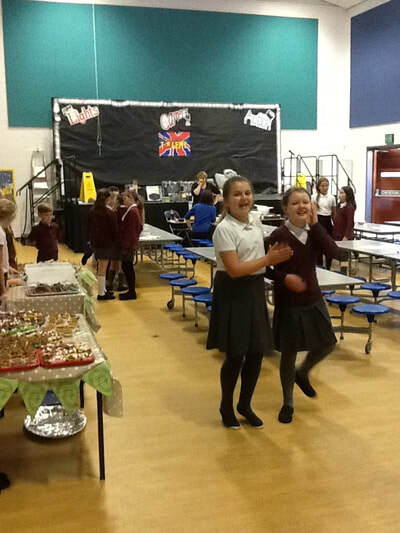 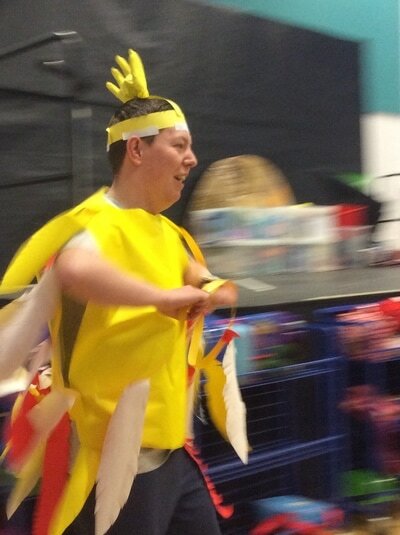 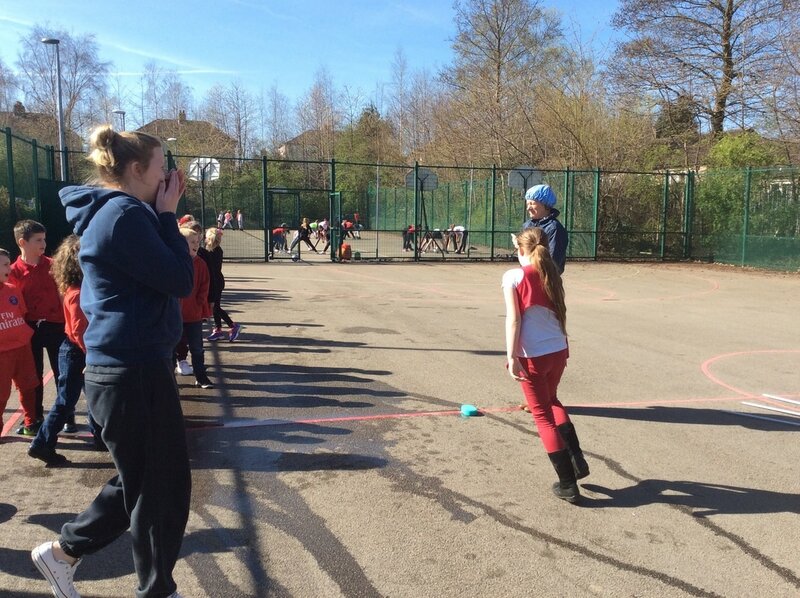 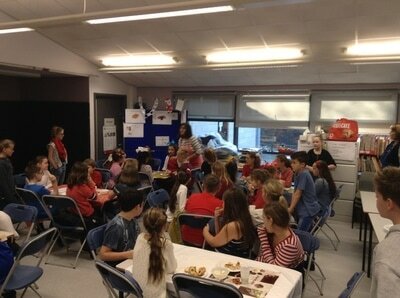 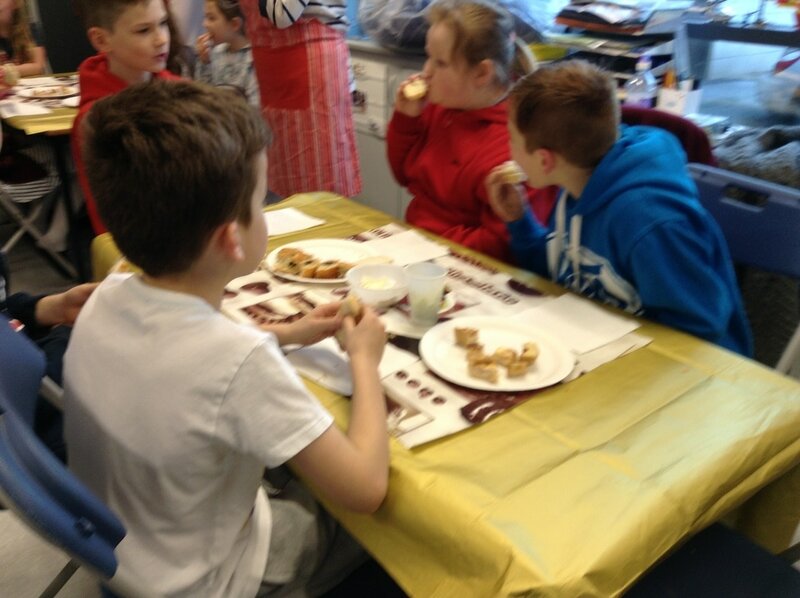 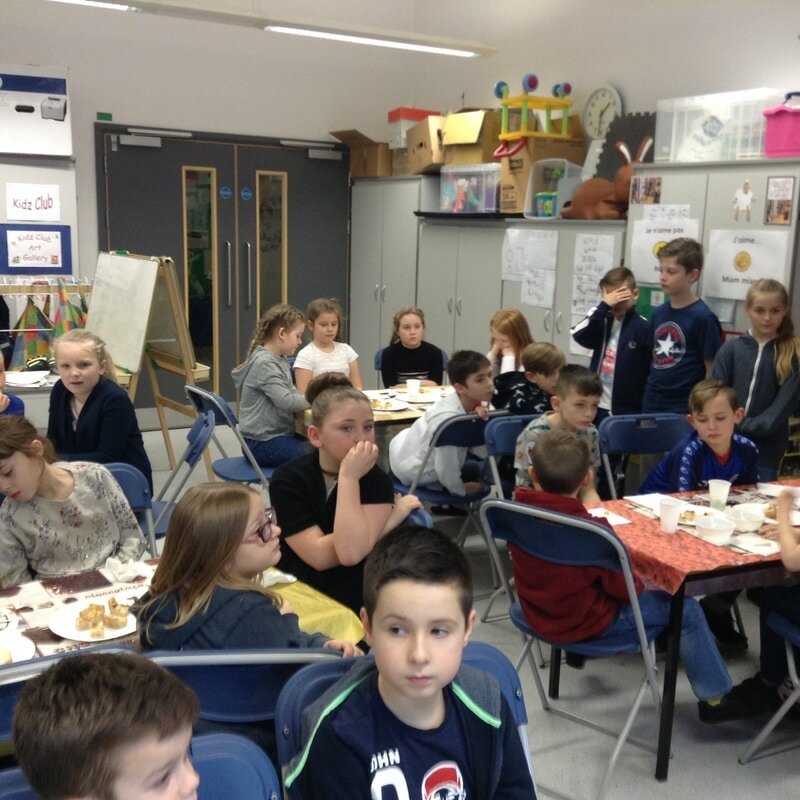 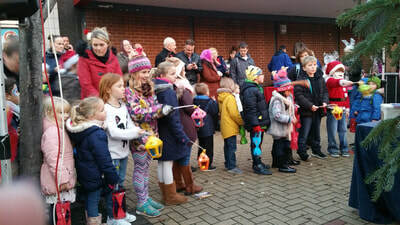 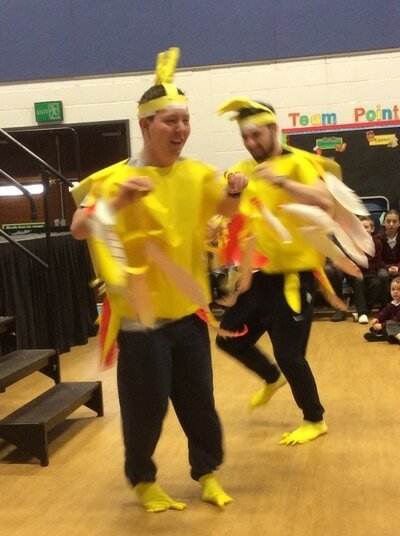 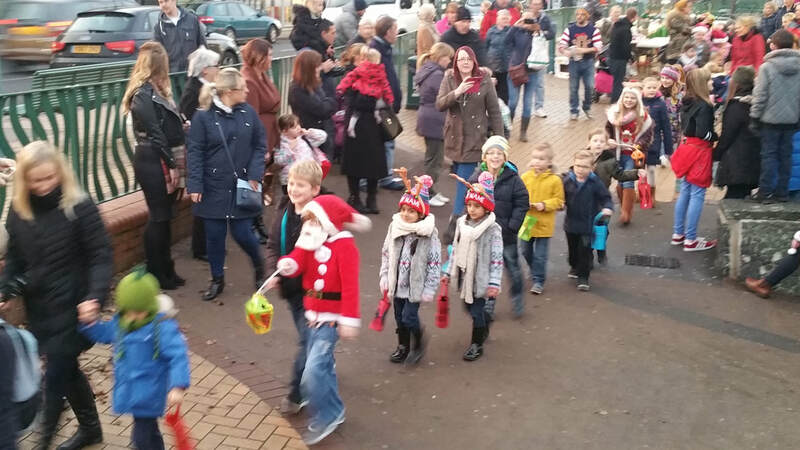 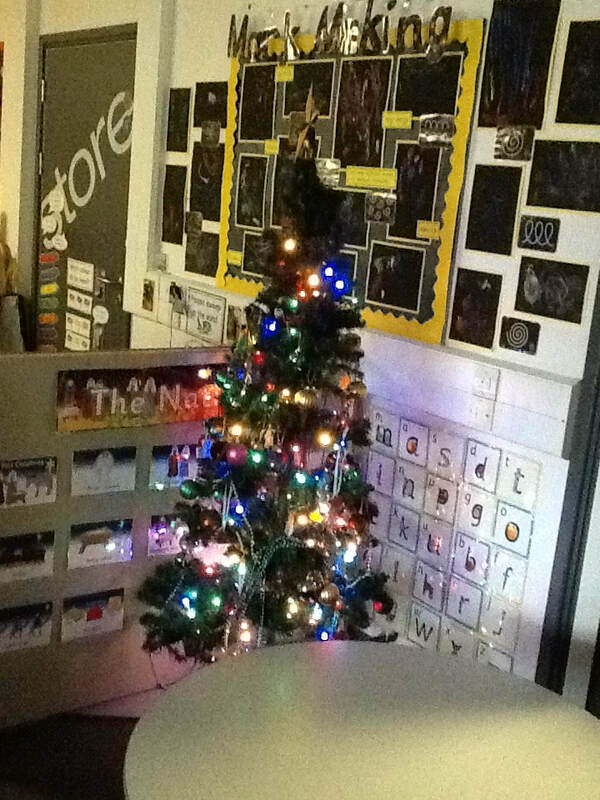 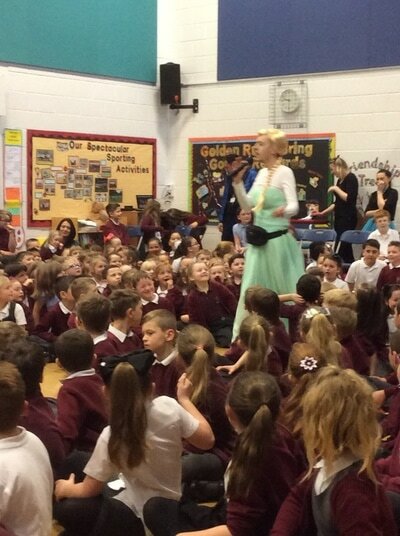 The community are regularly invited into school to participate in events organised by the staff at school. 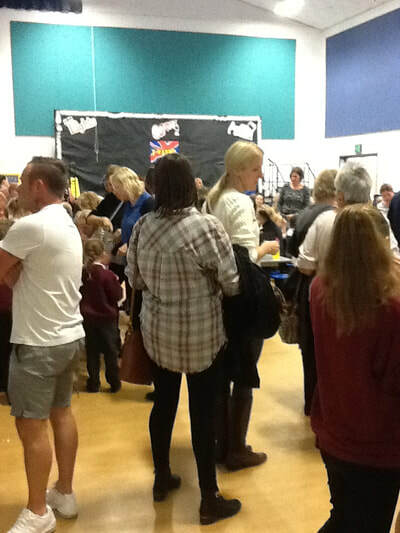 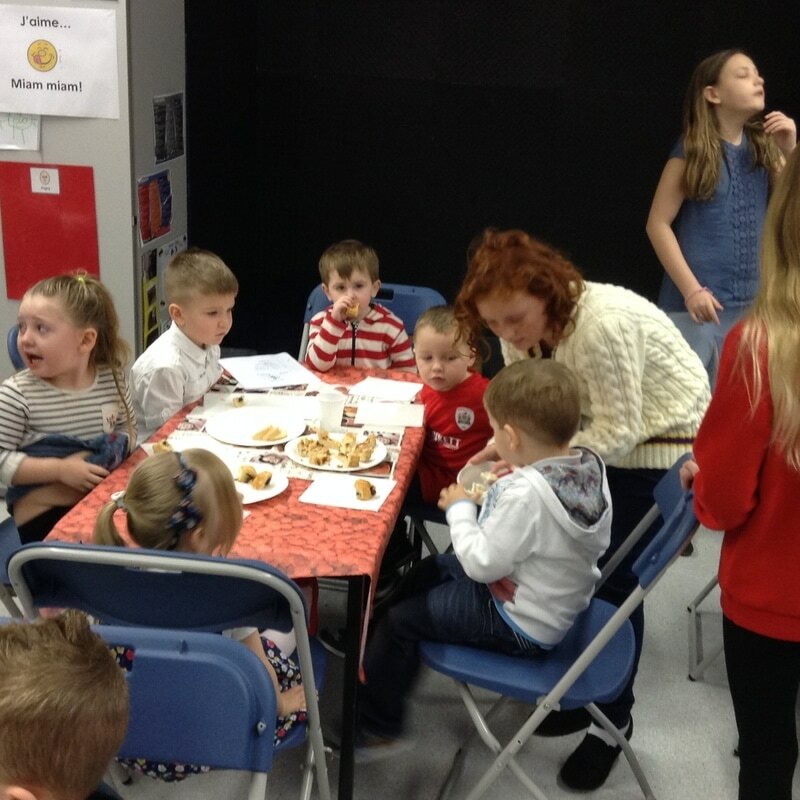 We hold regular coffee morning for parents to attend with their children. We have a parent workshop in EYFS where parents are welcomed to come and read with their children in school once a week. 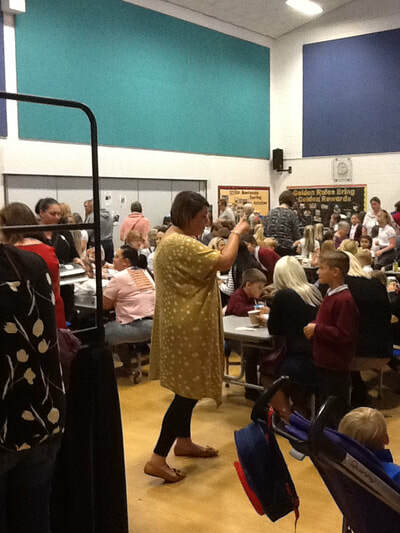 We have a fabulous parent support advisor who works with parents in a range of ways and leads on events such as Webster Stratton courses and coffee mornings. 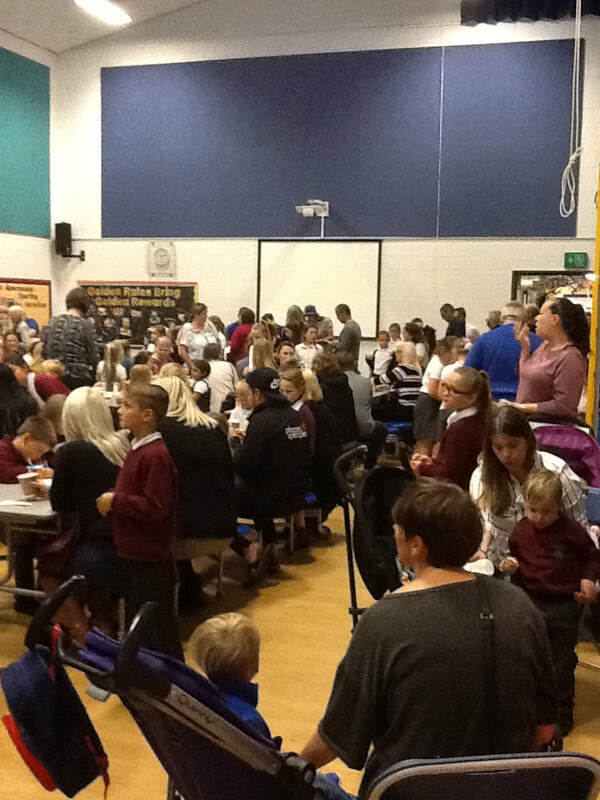 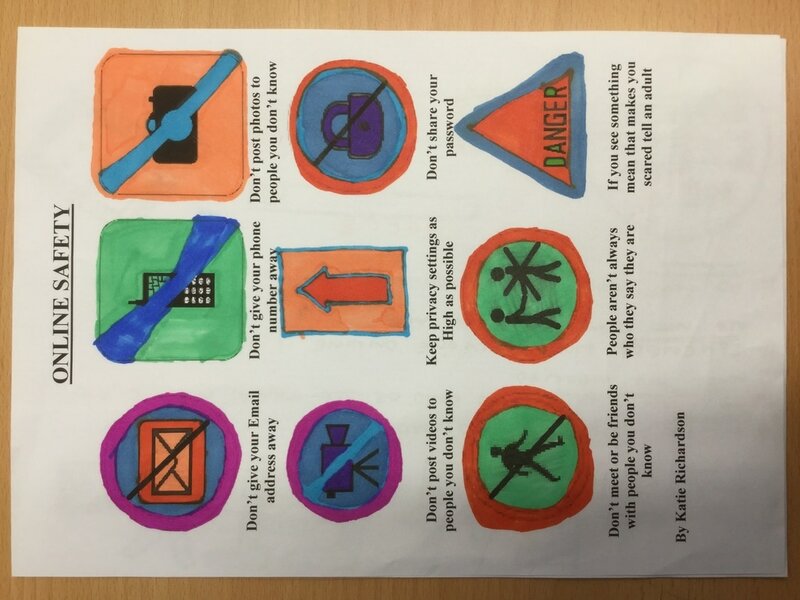 These are all put in place to support the parents and carers of the children that attend our school. TEAM work is a major factor in ensuring children's understanding and development of a sense of community. 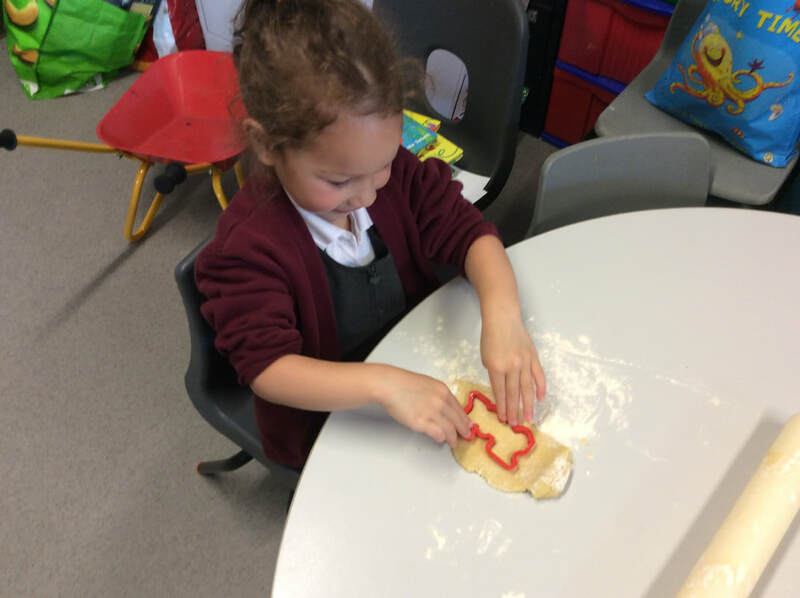 This is at the core of what we do and why we are here - ultimately to give your child the best education possible and prepare them for the next step in their lives that will eventually see them into their adult life. 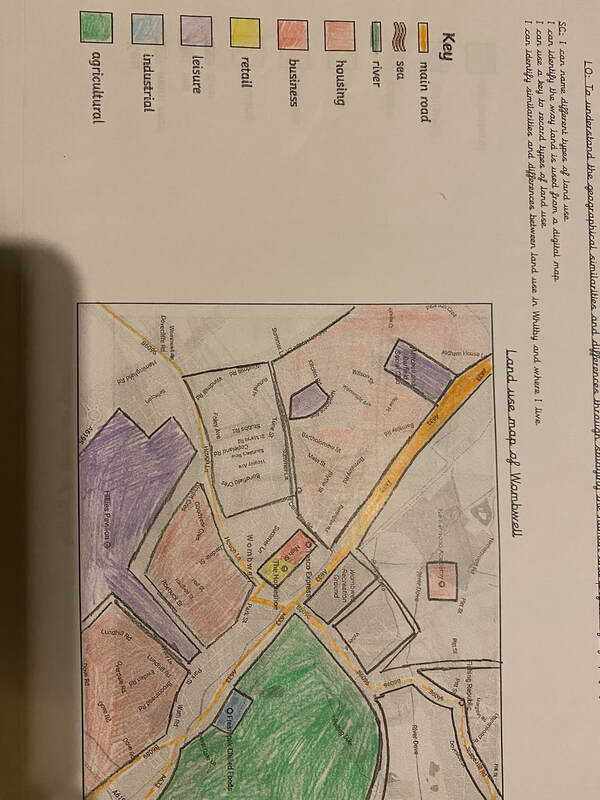 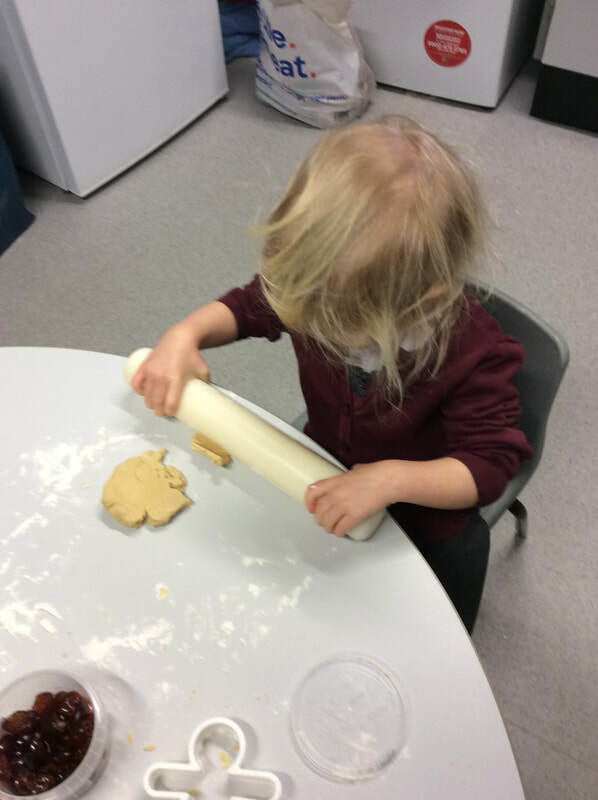 Our policy reflects the importance of developing children's understanding of their community both locally and on a wider scale. 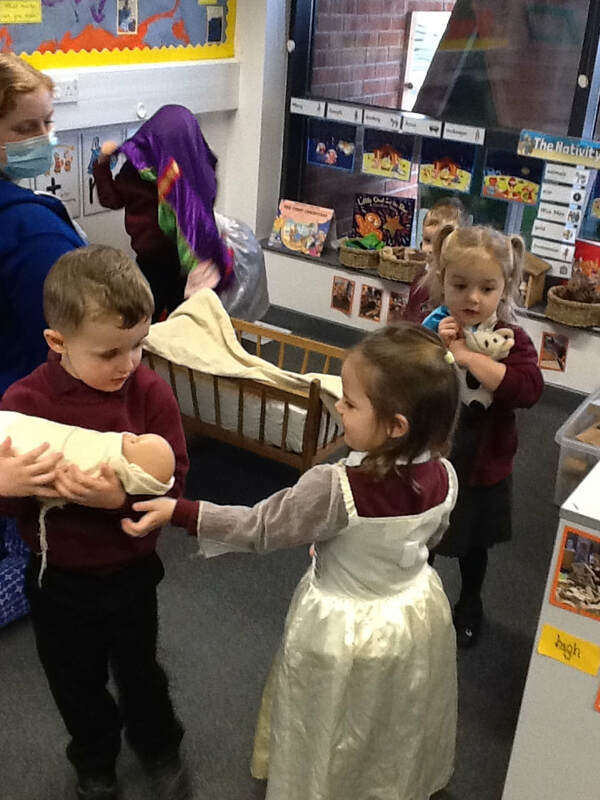 Our job as practitioners is to prepare children for life in the world in which they live by providing experiences rich in diversity, relating to backgrounds, origin, beliefs and cultures. 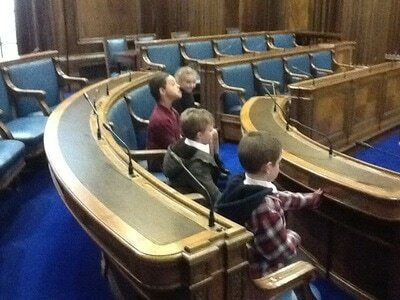 In return children will be well informed people who act appropriately and in accordance to what they know to be right. 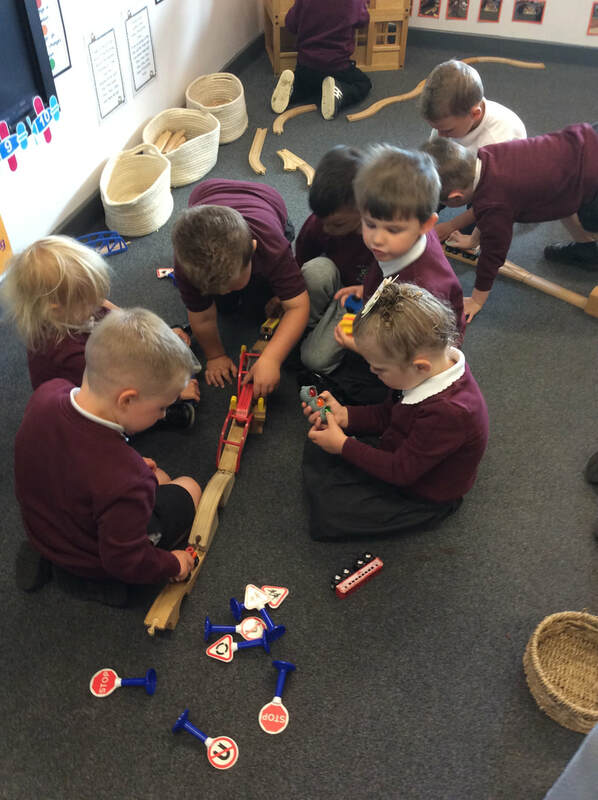 We will devote time to ensure that children know how they are part of a bigger picture along with many other people who make look, feel and see things in different ways. 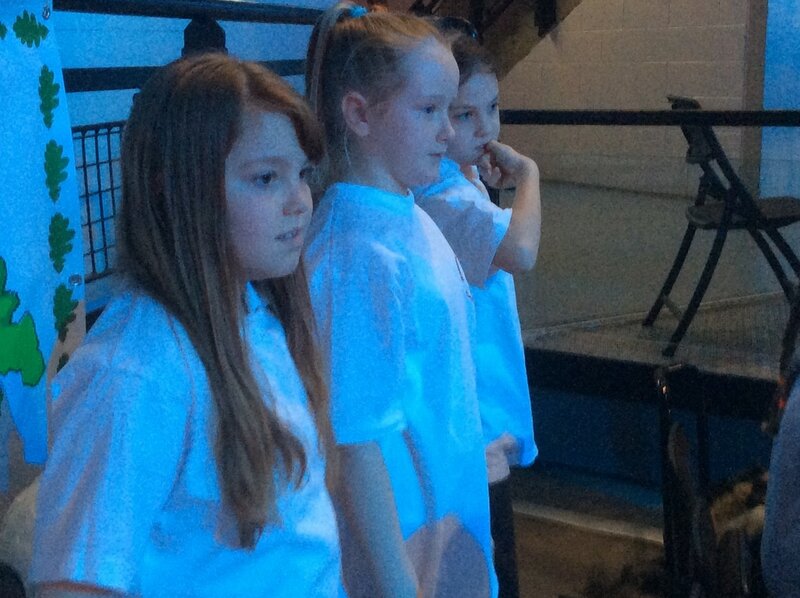 They will have the strategies to relate to many people from various walks of life. We strive to ensure all children feel a sense of purpose and belonging both within the school setting and as a citizen/resident of the UK. 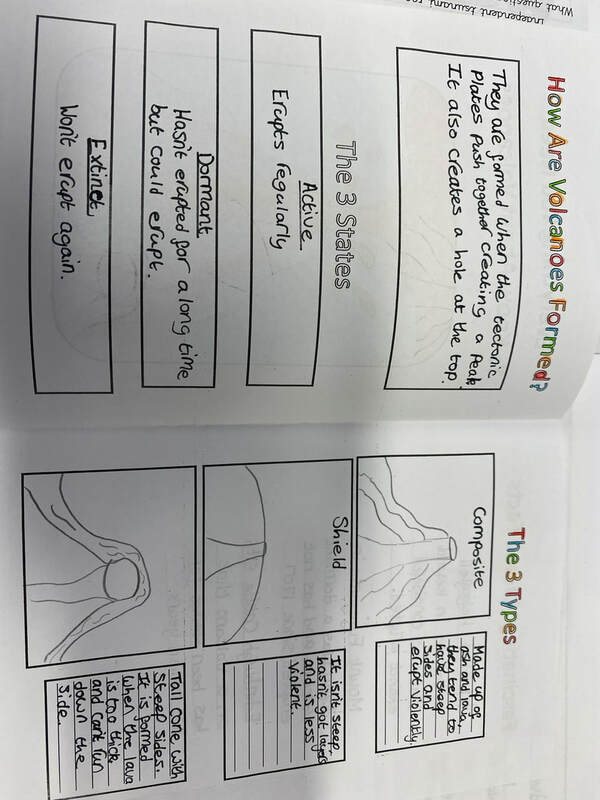 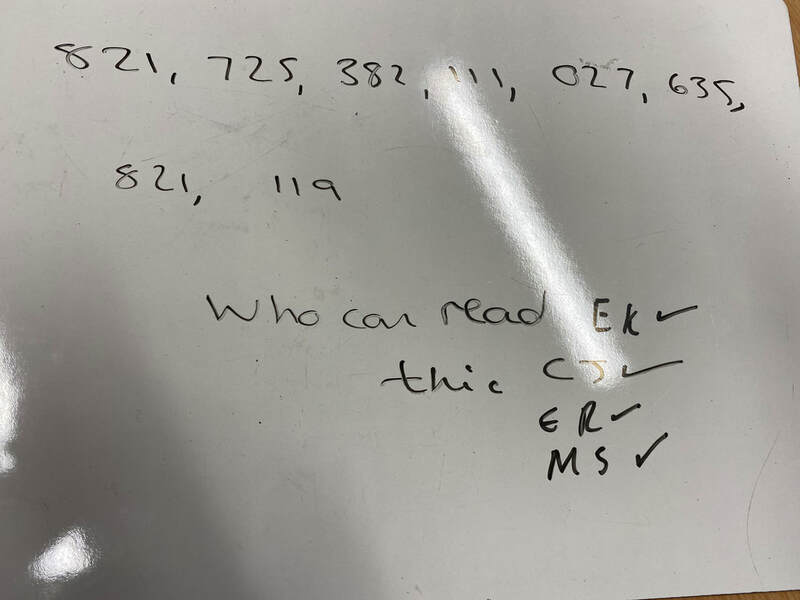 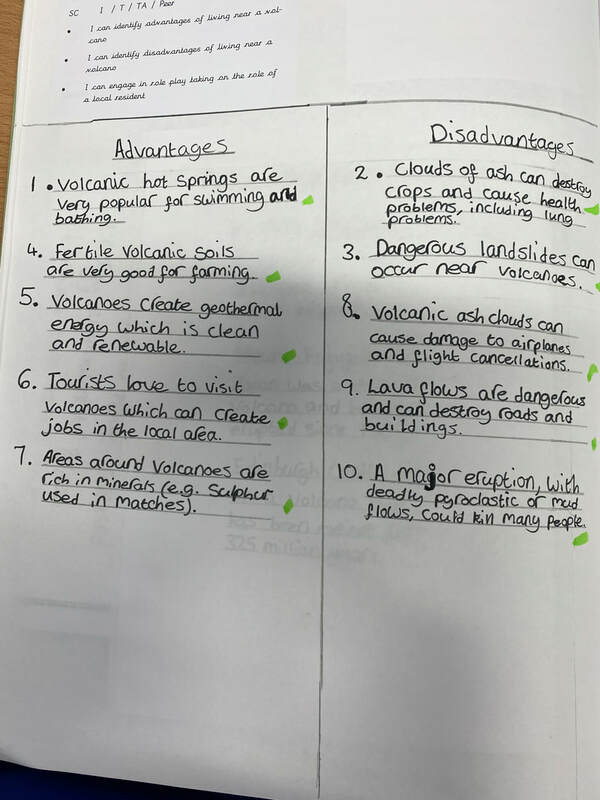 We are continually developing our teaching and the way in which children learn about topics within school and this is no exception. 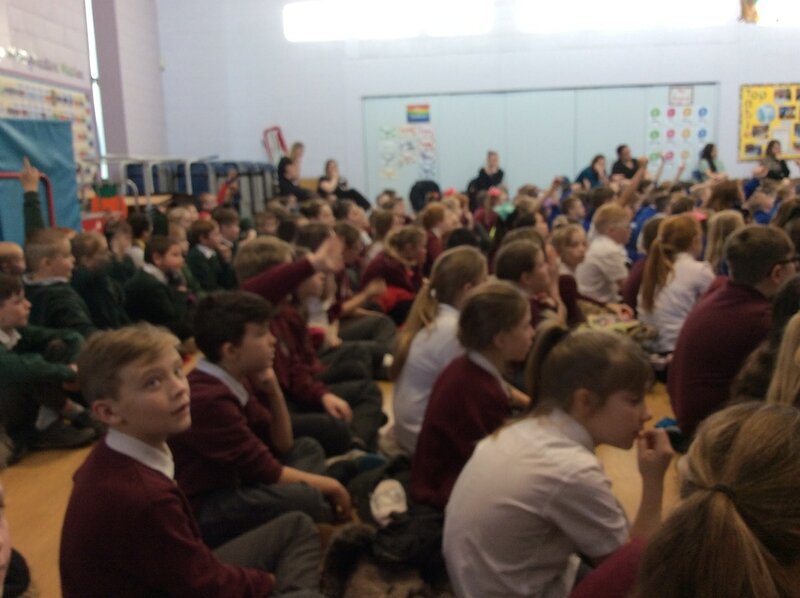 We want children to understand different people, places and events and we will work to ensure they have the knowledge to accept and value diversity. 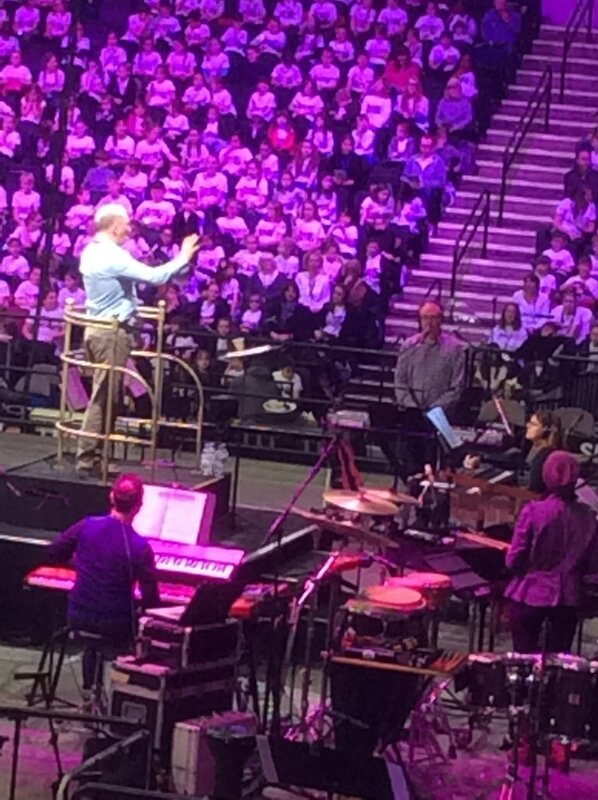 We will do this by providing an enriched curriculum to all children. 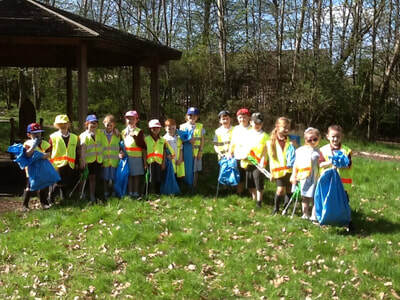 We will continue to broaden our partnerships through the community on all three levels (local, national, international). 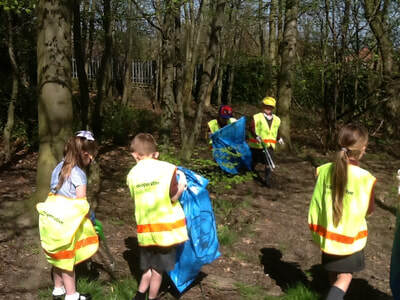 We will equip children with the knowledge and skills to make positive contributions and to be We will guide students to become well rounded people, who have a positive contribution to society and who care for the community and their world. 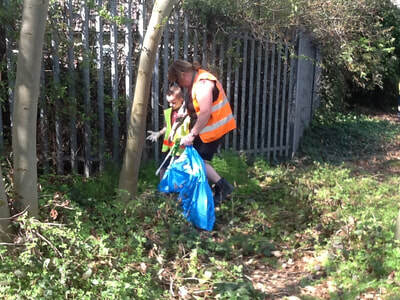 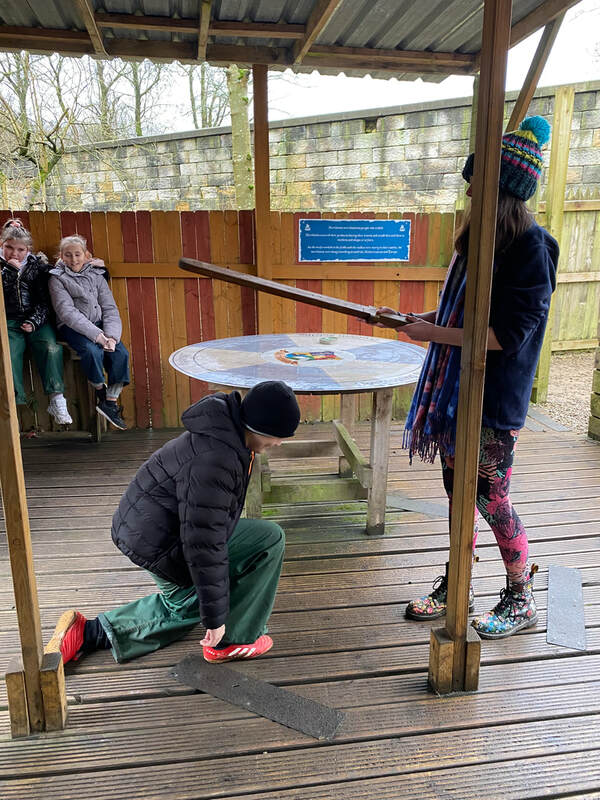 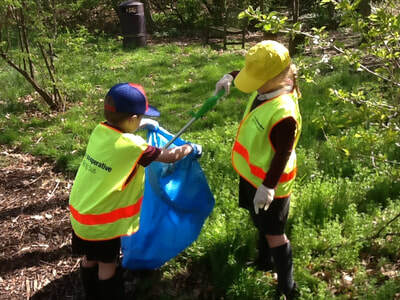 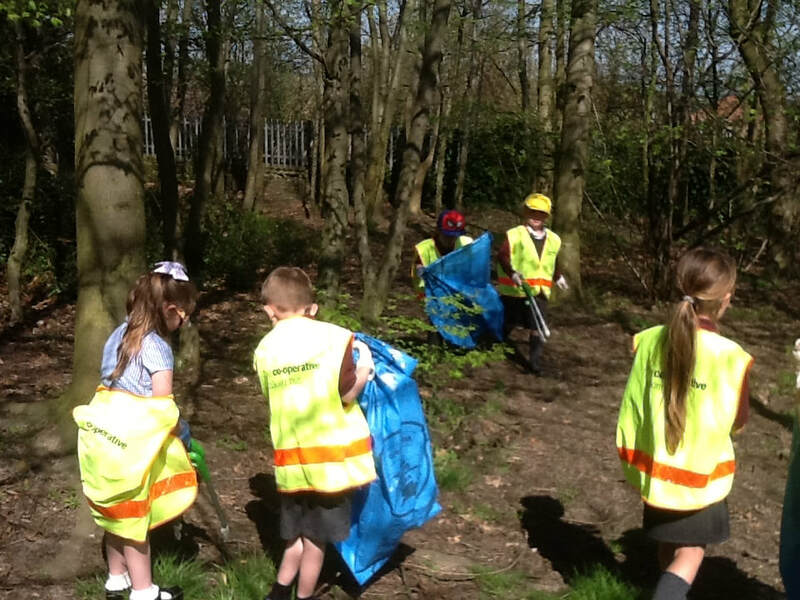 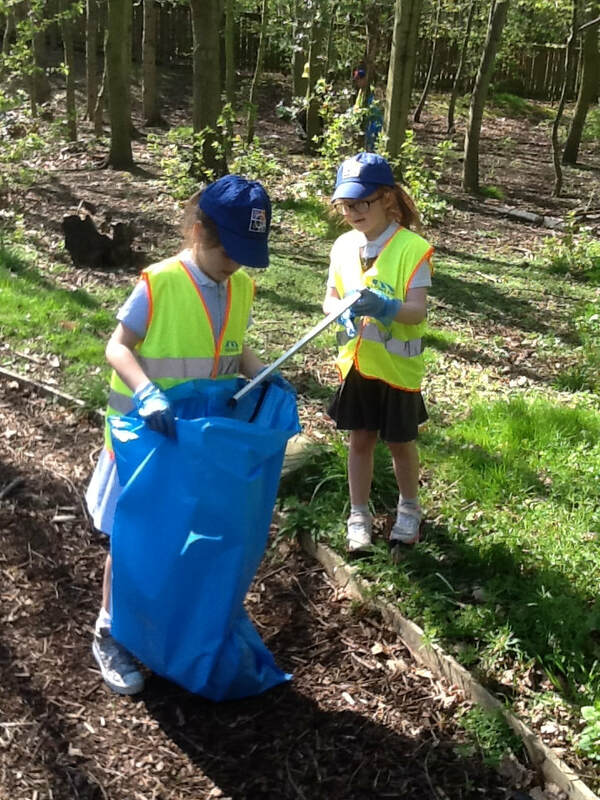 On Friday 20th April Park Street Eco Reps and School Council took part in a litter pick in our nature area and along Park Street. 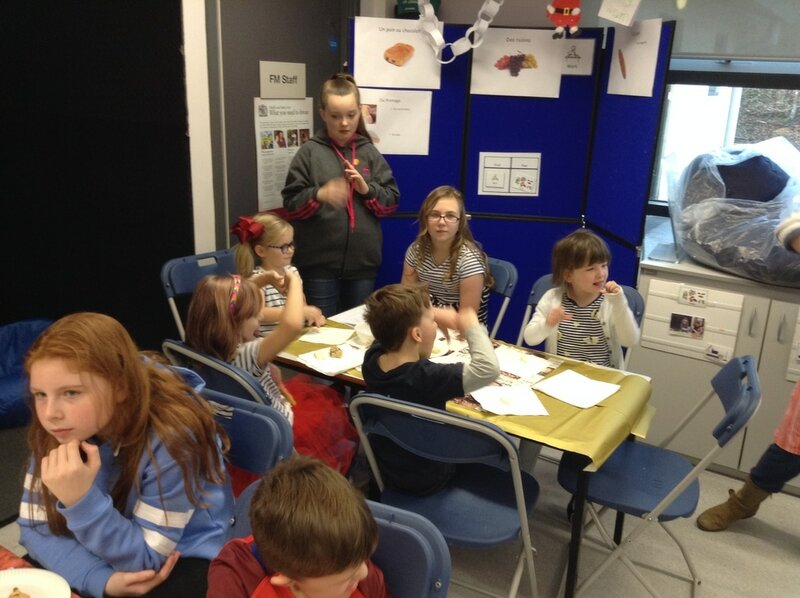 We were joined by Amanda Bradshaw (Community Development Officer) and Hazel Wood (Community Engagement Officer) who supported us in our roles. 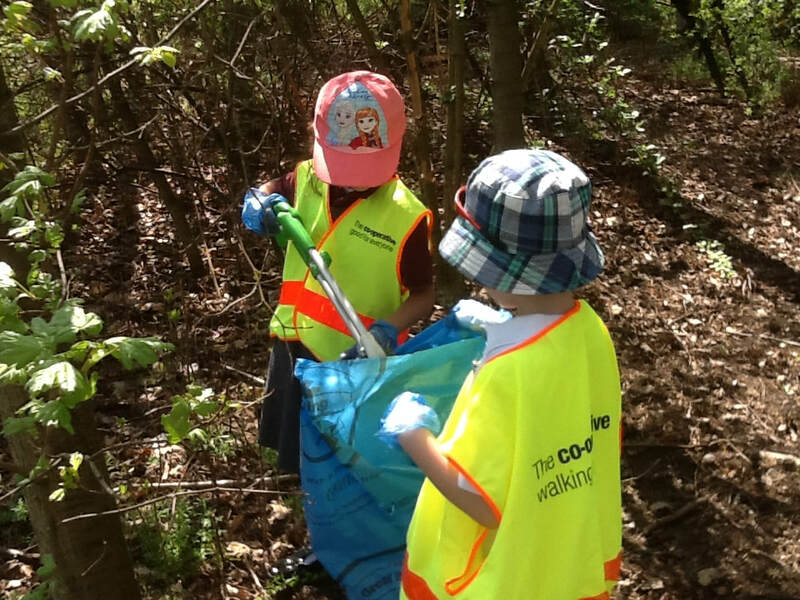 We were amazed at the amount of litter that we collected between us and how much there was in such a small area. 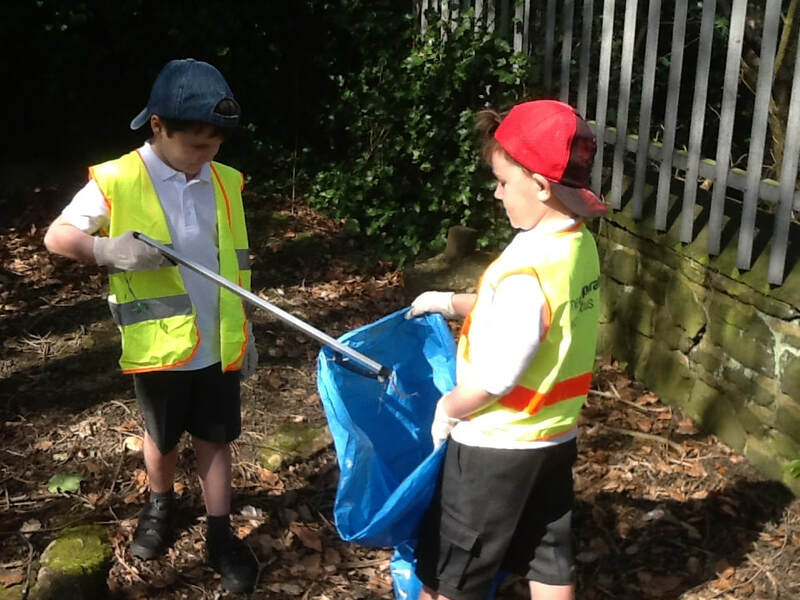 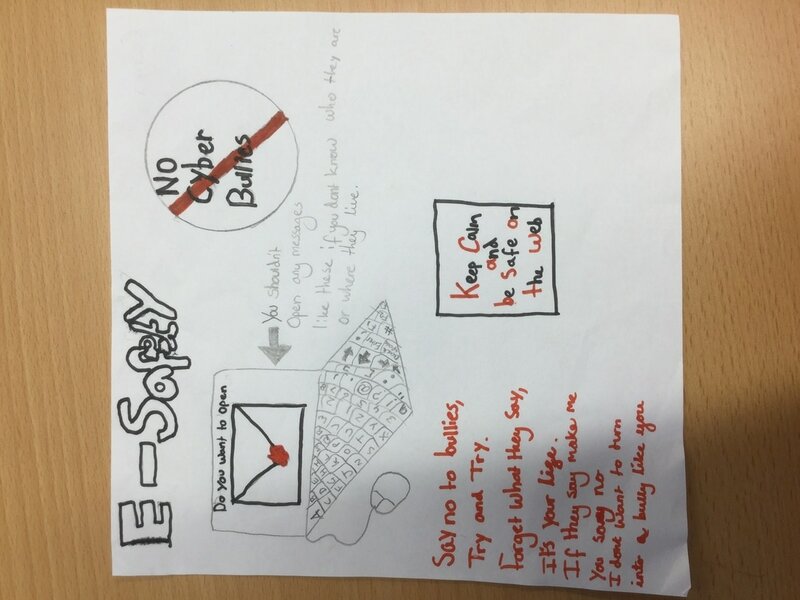 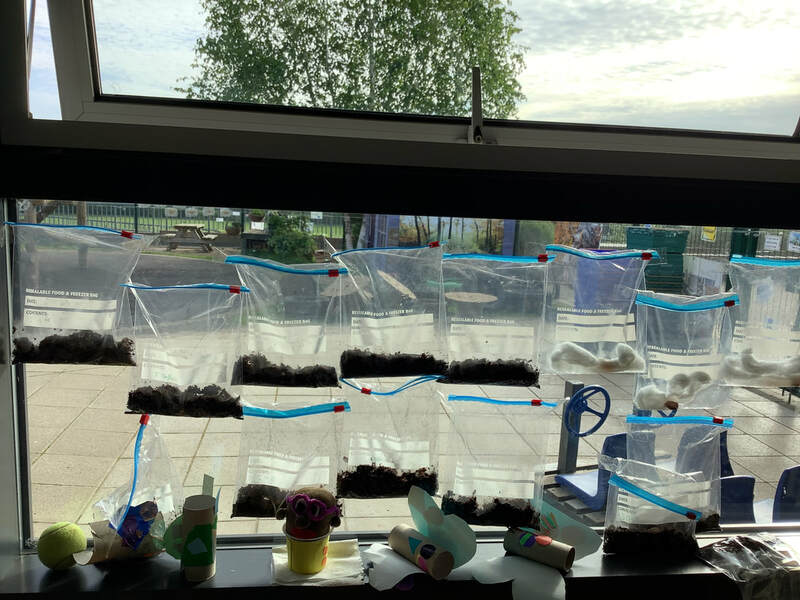 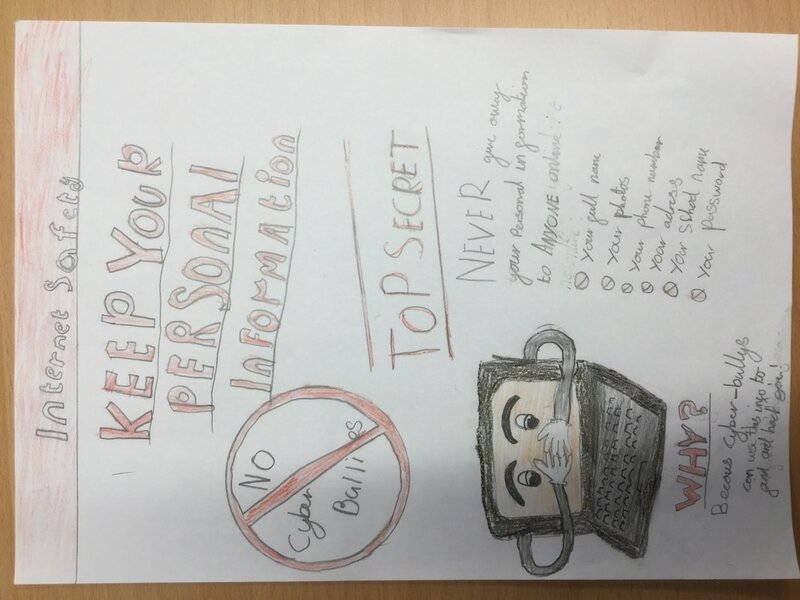 We realised how important it was to keep our environment clean to help us keep safe and healthy and also how dangerous it is for animals. ​We were very proud of the hard work we did and felt we had all worked hard to achieve this! 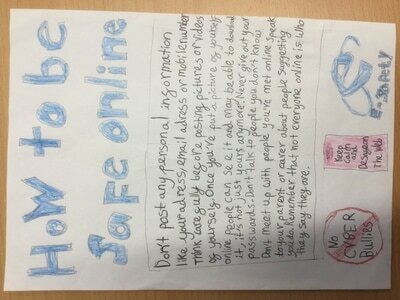 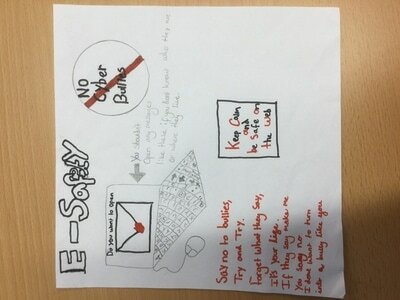 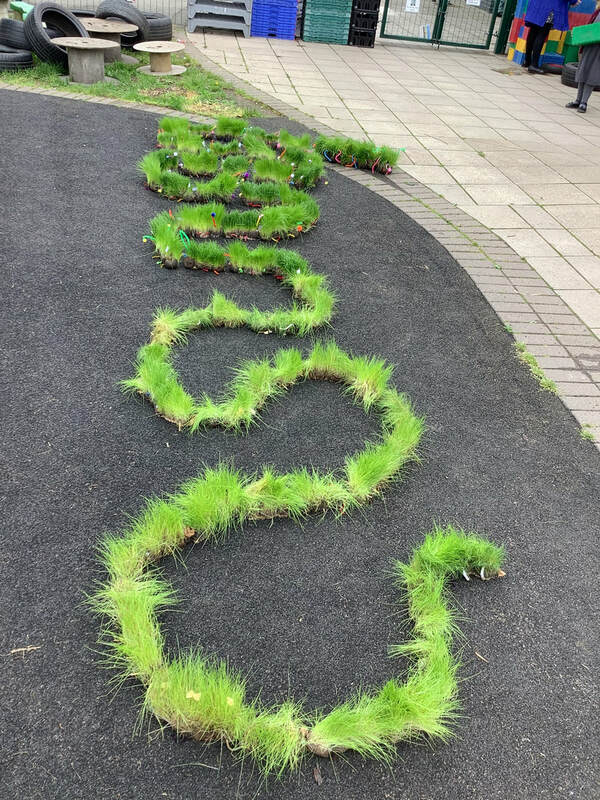 We will certainly keep this up in and around school and spread the message further afield to help our local environment! 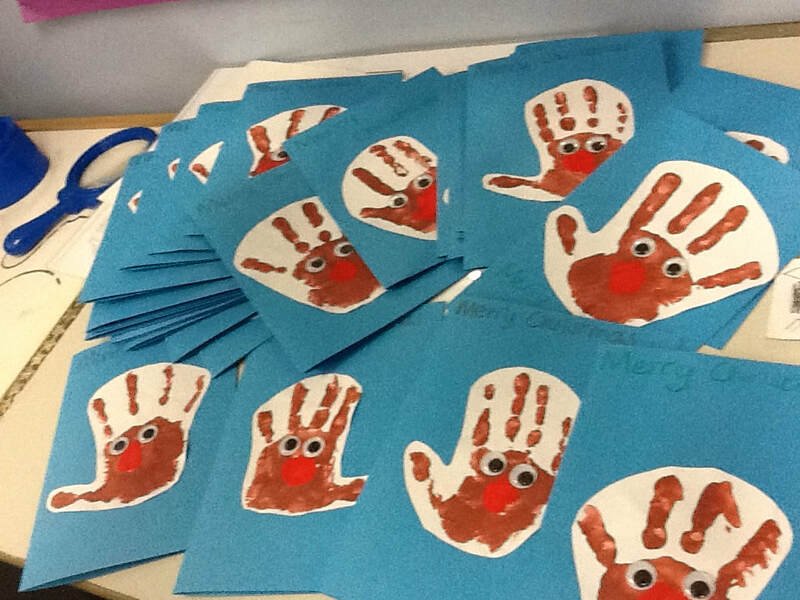 Last year Reception children wrote a Christmas card to someone in hospital who may be poorly or lonely over Christmas time. I took them to Pinderfields hospital and they were distributed to [atients on the stroke ward. 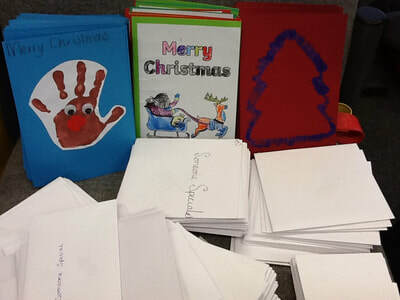 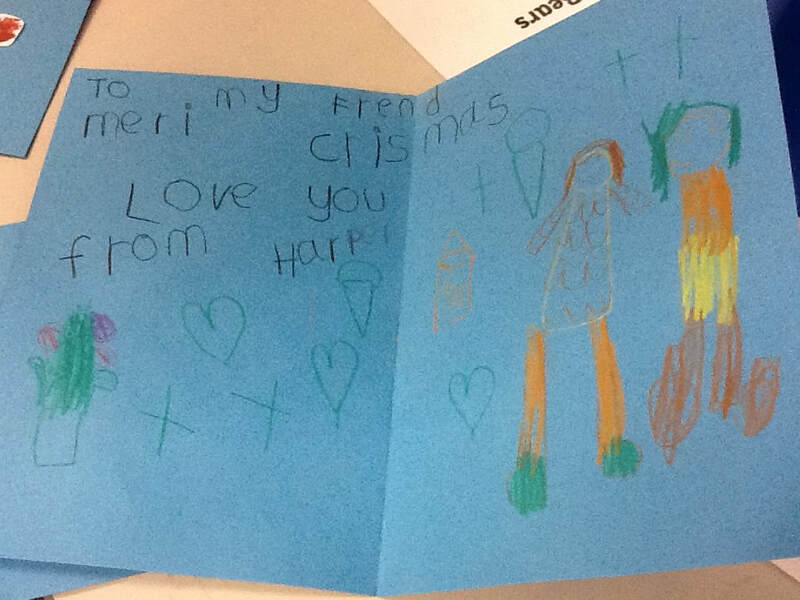 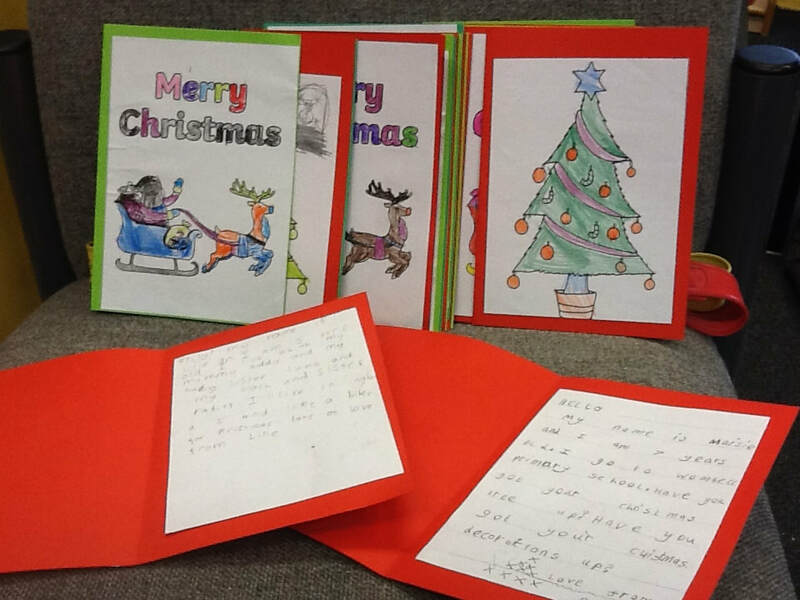 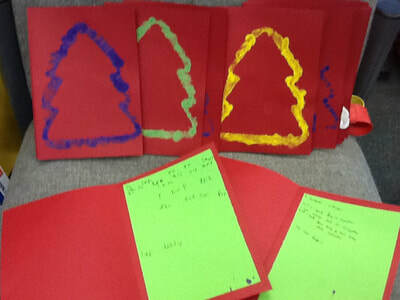 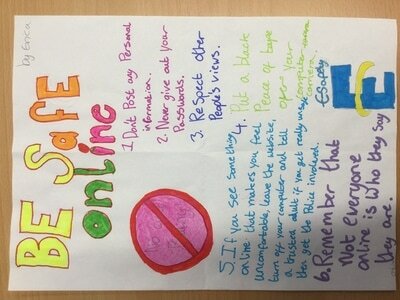 ​This yes I am SO pleased that every child from Reception to year 6 has written a card for someone who is in need. On the last Friday of school (22/12/17) I am delivering these cards to Wakefield hospice, The Prince of Wales Hospice in Pontefract and Pinderfields hospital. 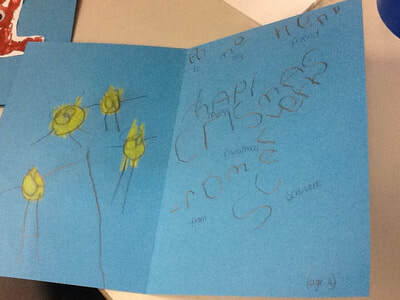 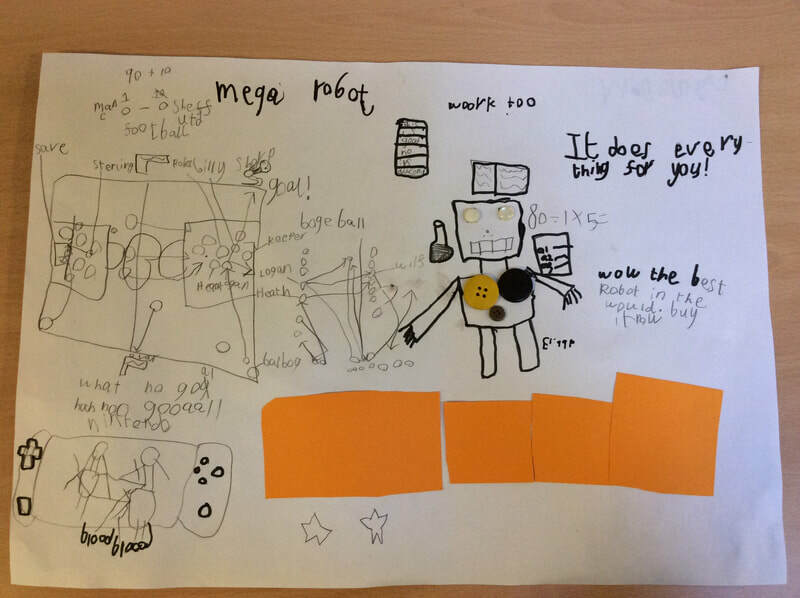 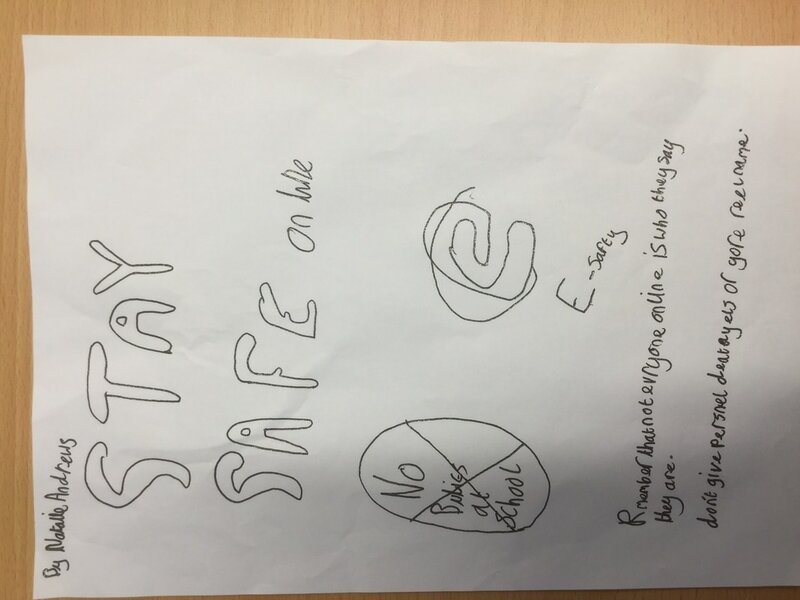 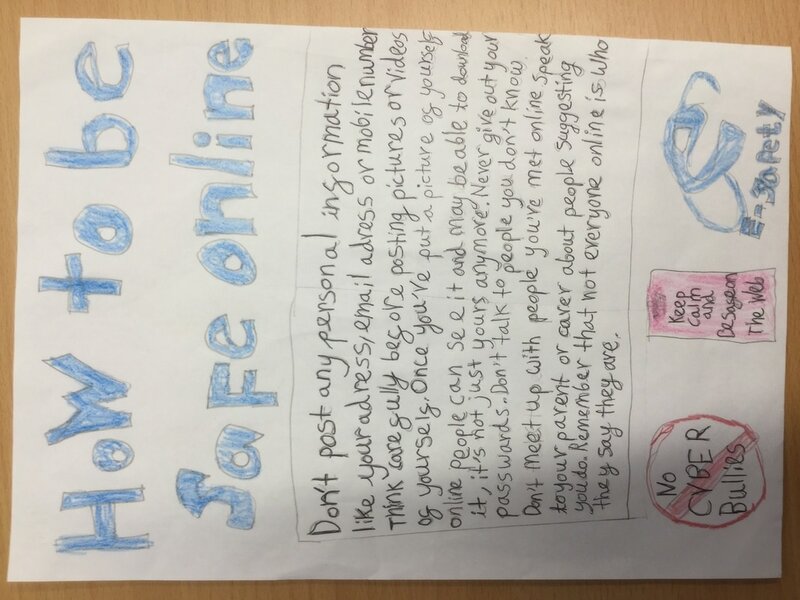 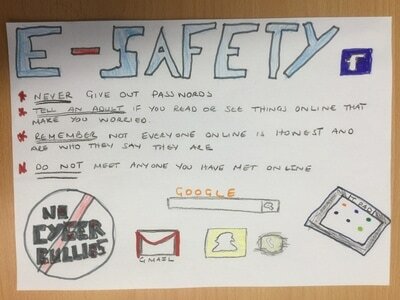 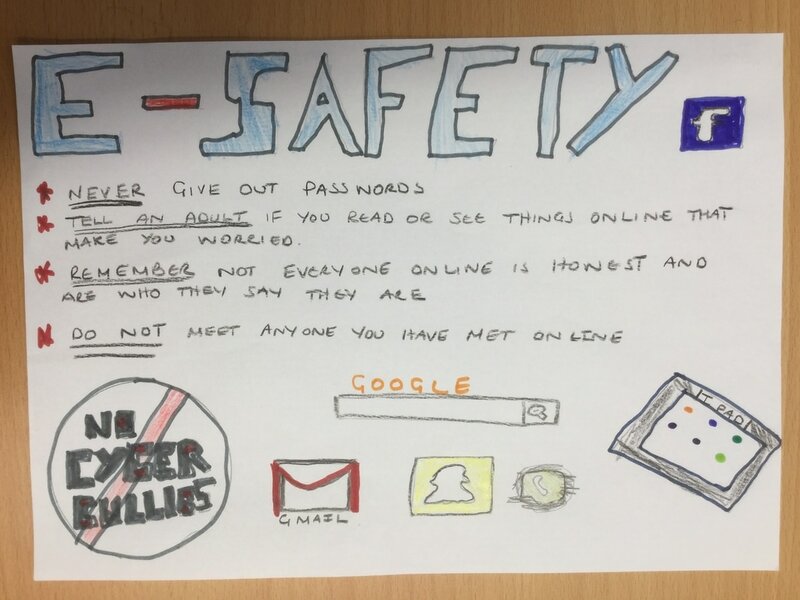 ​I am really proud that our children have taken the time to write a card that will make someone smile - even just for 30 seconds, I'm sure you are proud of the children too! 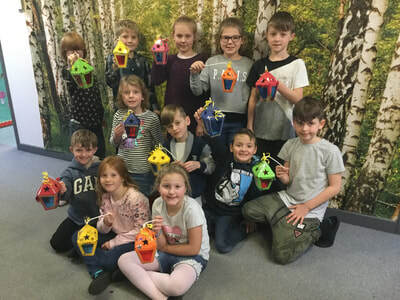 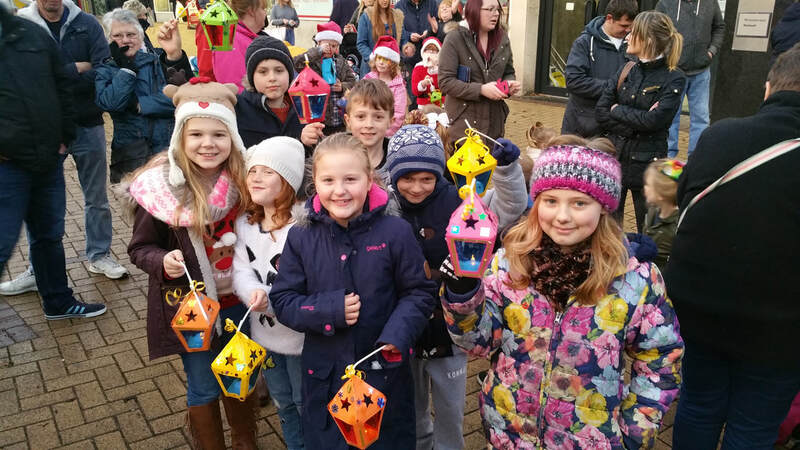 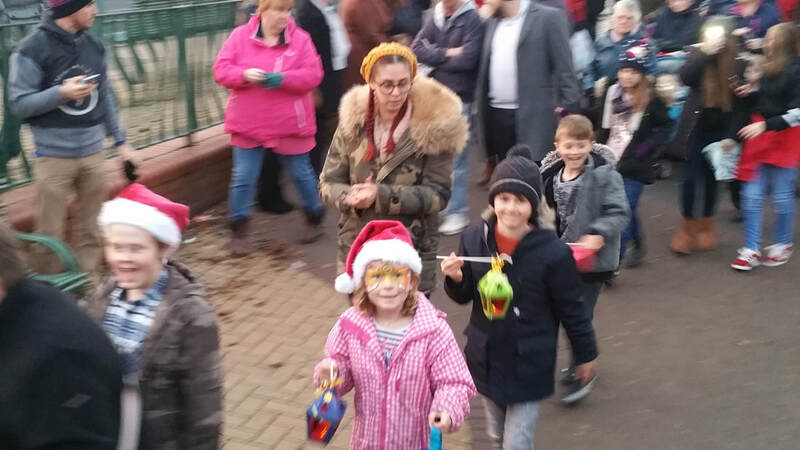 A huge than you to the Year 3 and 4 children and their families for coming along with their lanterns and taking part in the community organised event on Saturday. 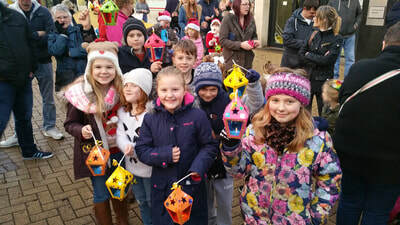 The children worked really hard with Mrs Fitchett to make their fabulous lanterns and the procession went really well. 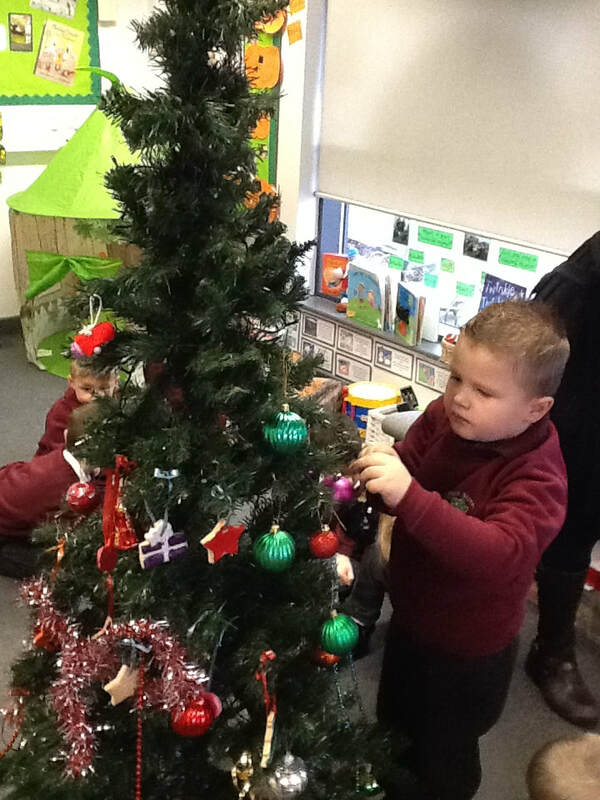 What a lovely start to the festive season! 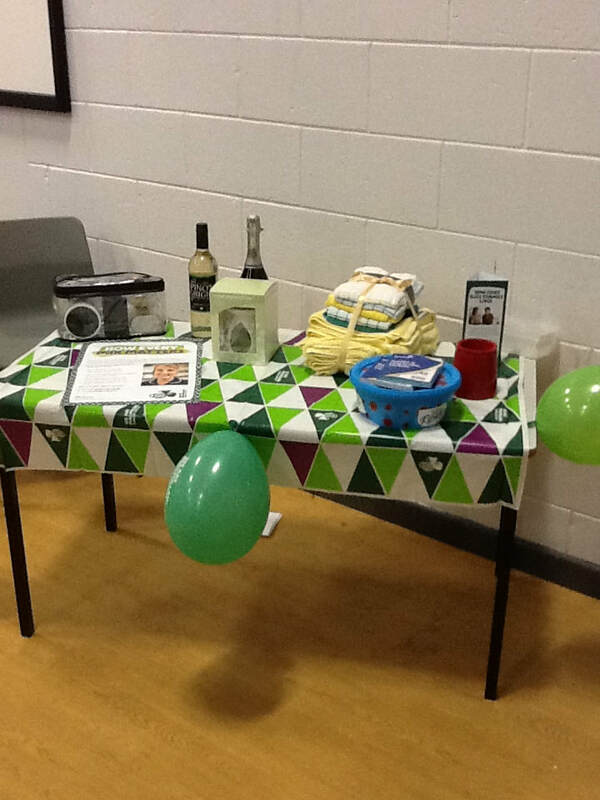 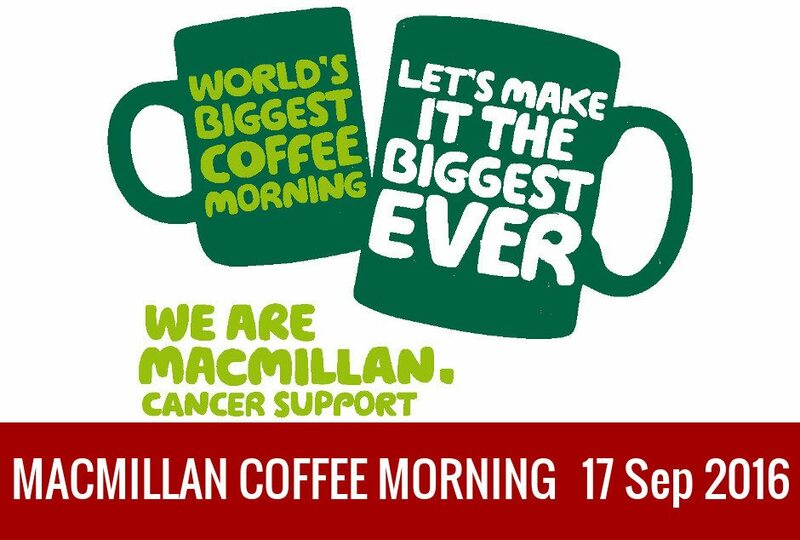 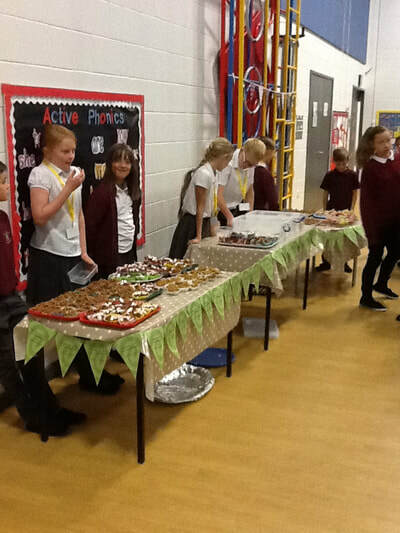 We had a very successful Macmillan coffee afternoon at Park Street Primary School. 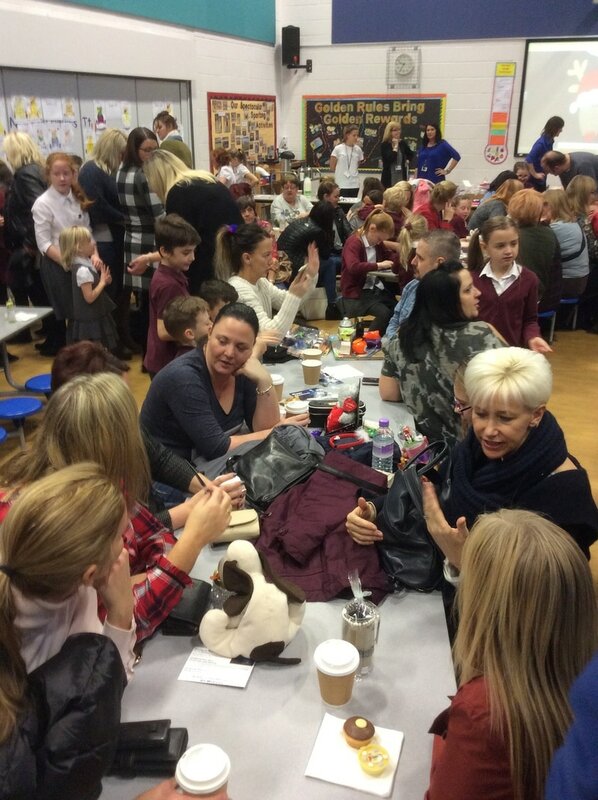 It was decided that it would be an afternoon event to give parents who cannot normally attend morning coffee mornings a chance to come. 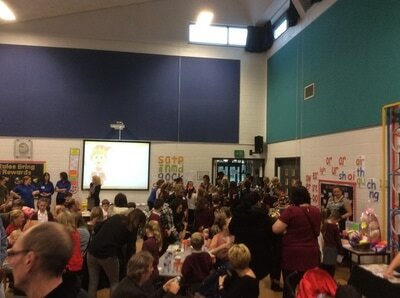 ​The turnout was amazing! 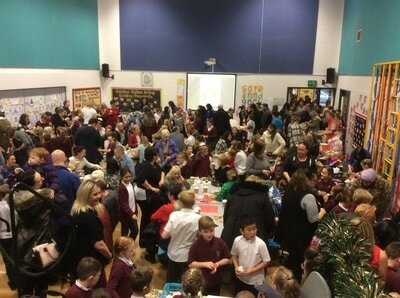 Thank you so much to everyone who came and supported such a worthy cause that is so close to many of us. 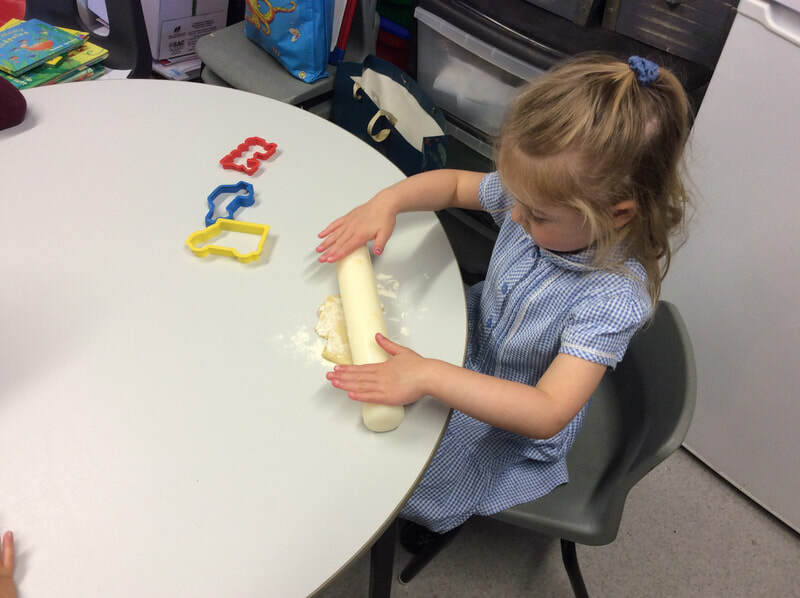 ​Each class participated in a baking activity to make something to sell on the afternoon to help raise more money for Macmillan. We raised a whopping £468.11 for the cause, which is fantastic. ​Thank you to all those who have share pictures or drawn pictures of their loved ones ('fighters') to display on our wall. ​If you did not do this and still wish to add to our 'memory wall' you are more than welcome to! 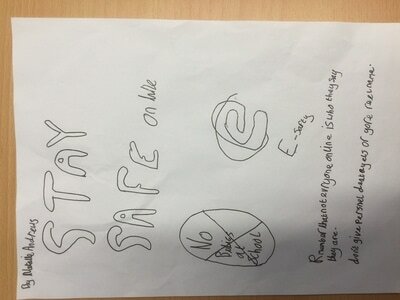 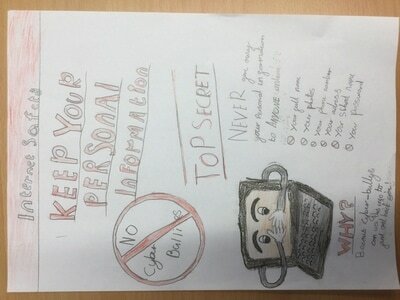 There will be spare sheets to collect from the office that you can affix your photo to and write your thoughts/comments. 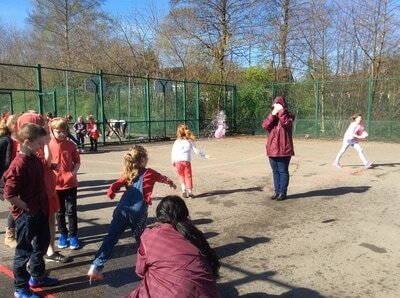 ​Below are a selection of photos taken throughout the afternoon. 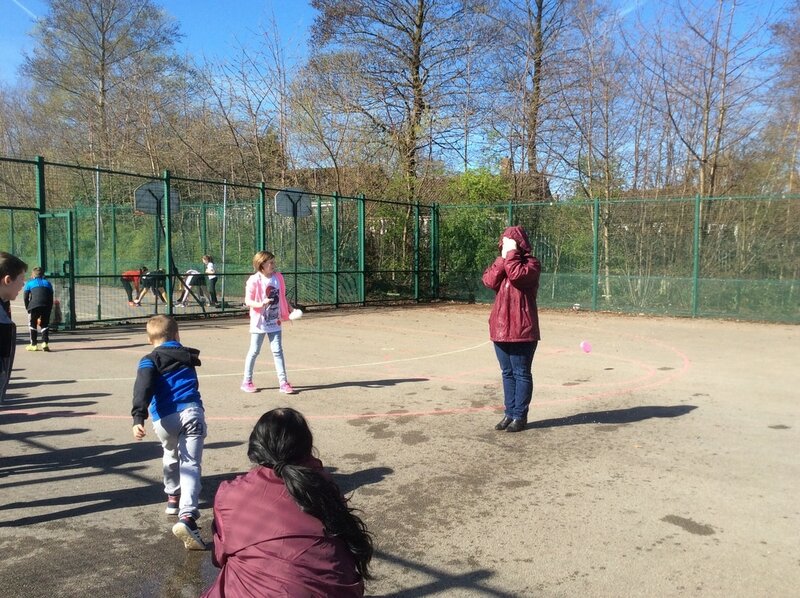 We arrange a breadth of experiences for children to participate in that involve the local community and that offer parent participation. 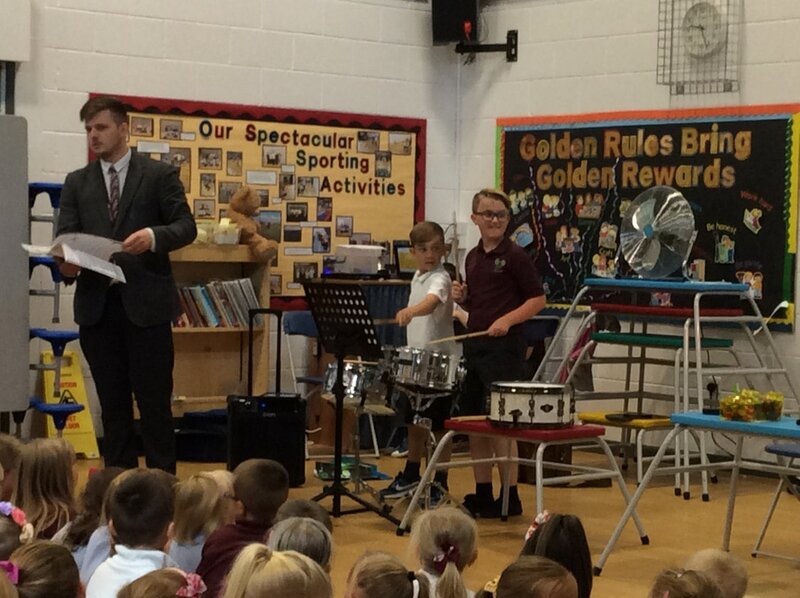 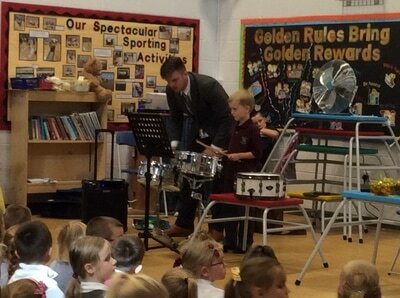 Some of the children in school have drumming lessons weekly. 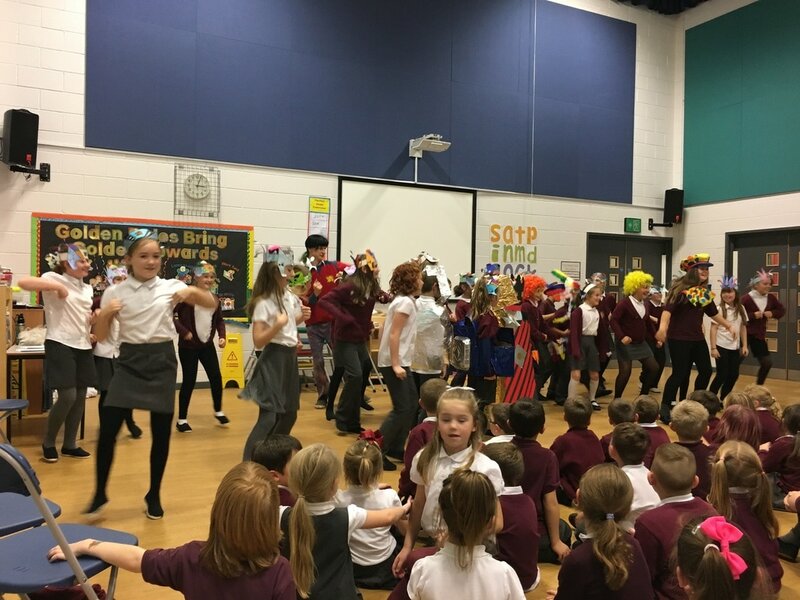 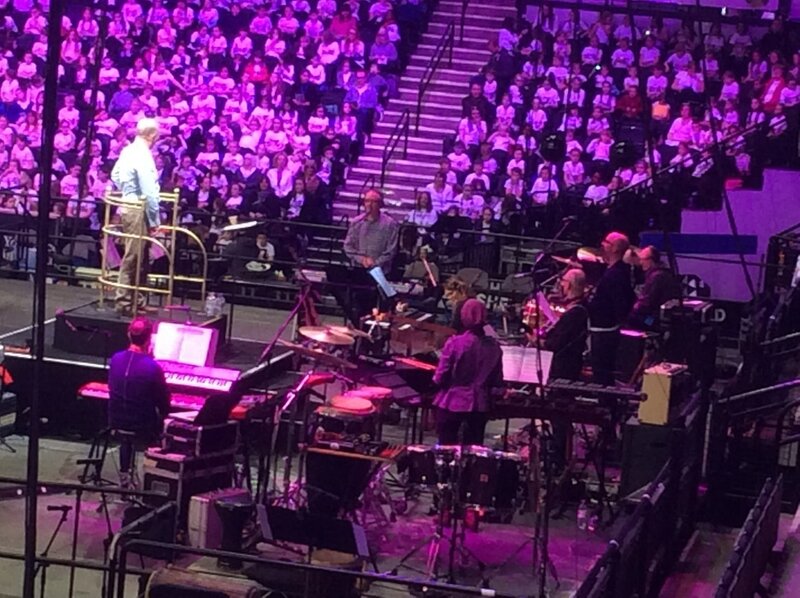 On occasion they get to perform what they have been working on and show the school how hard they try with a fabulous performance! 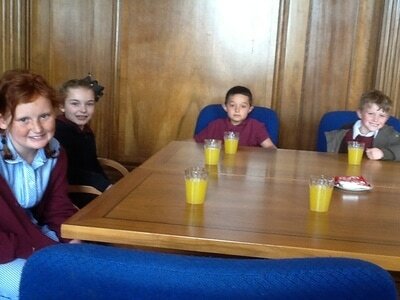 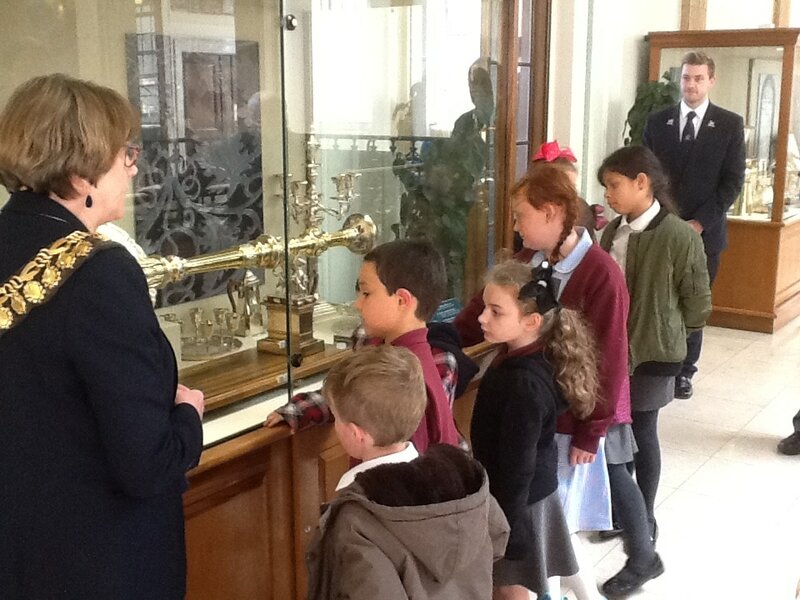 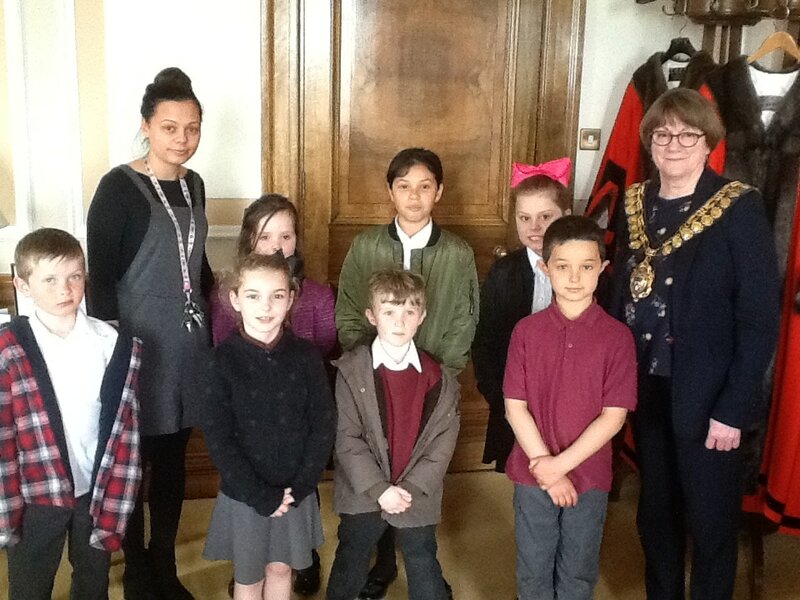 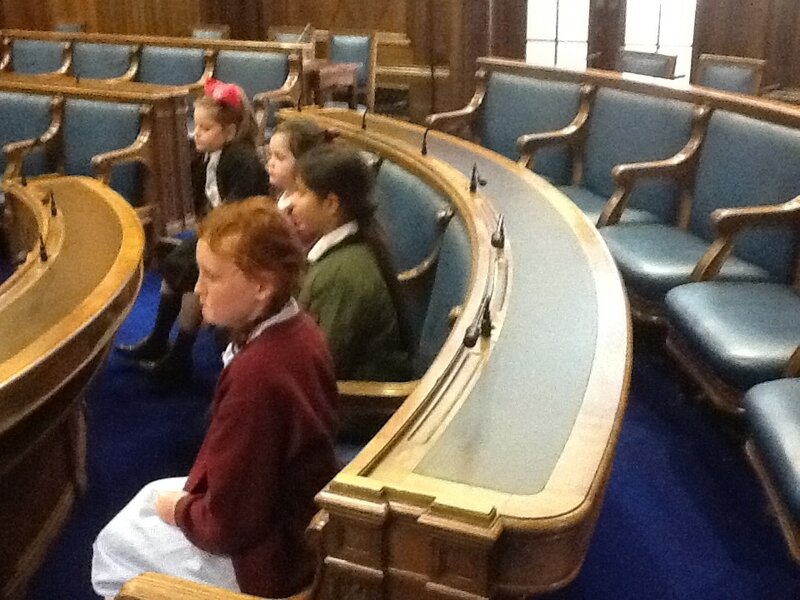 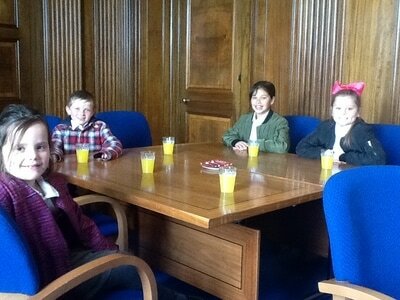 The children who make up our school council were lucky enough to visit the Majoress at the town hall. 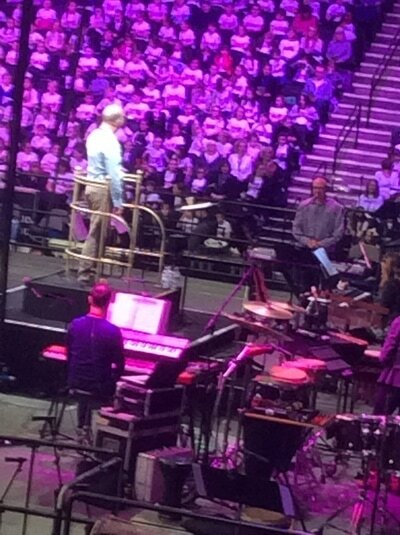 they got to look around !!!!!!!!!!! 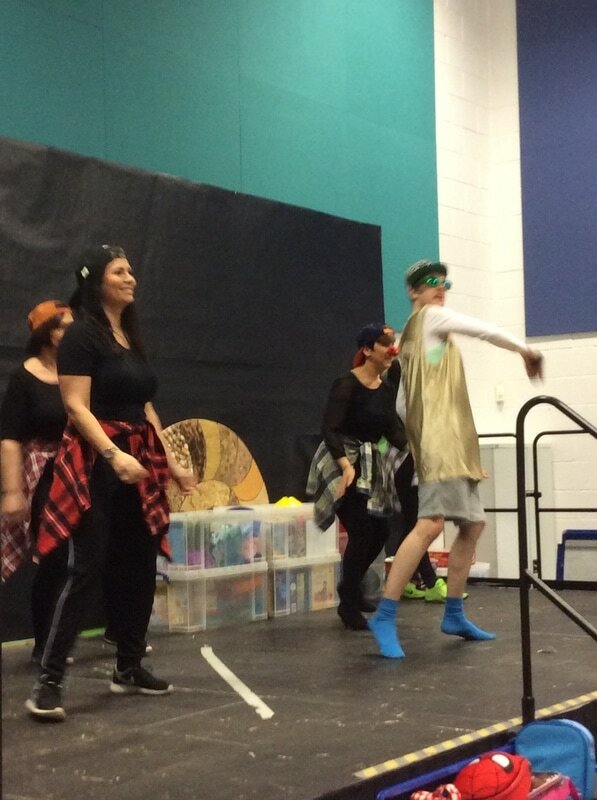 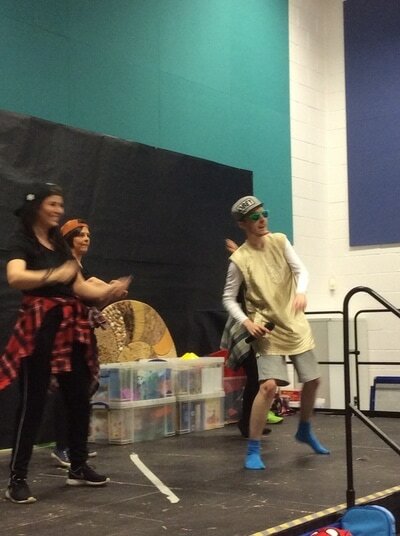 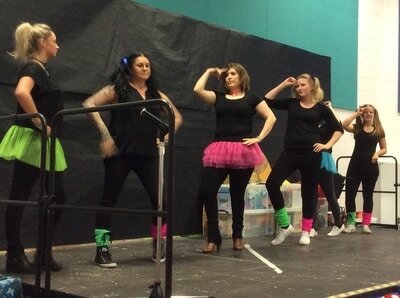 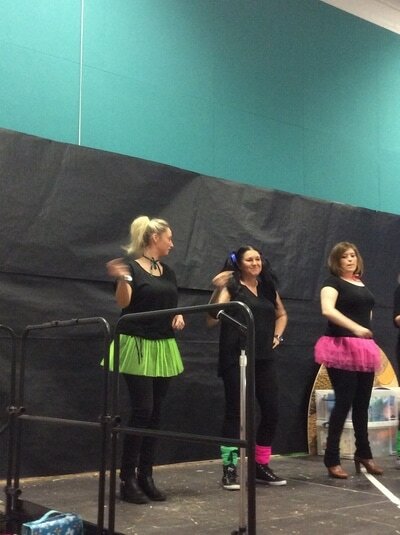 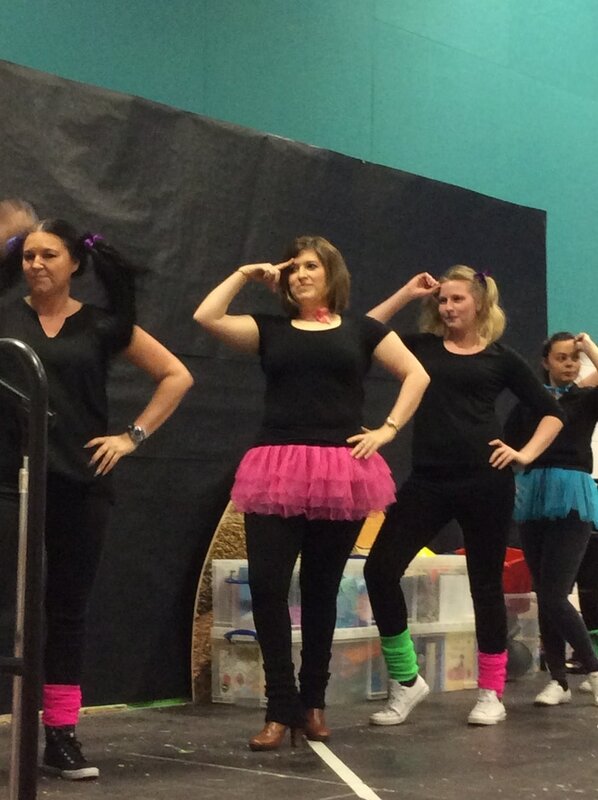 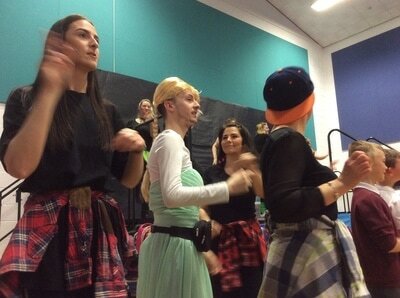 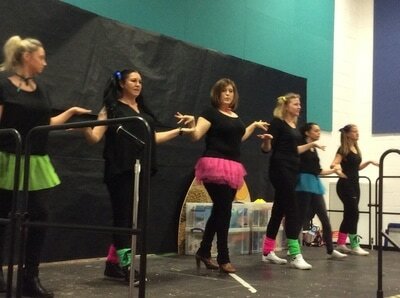 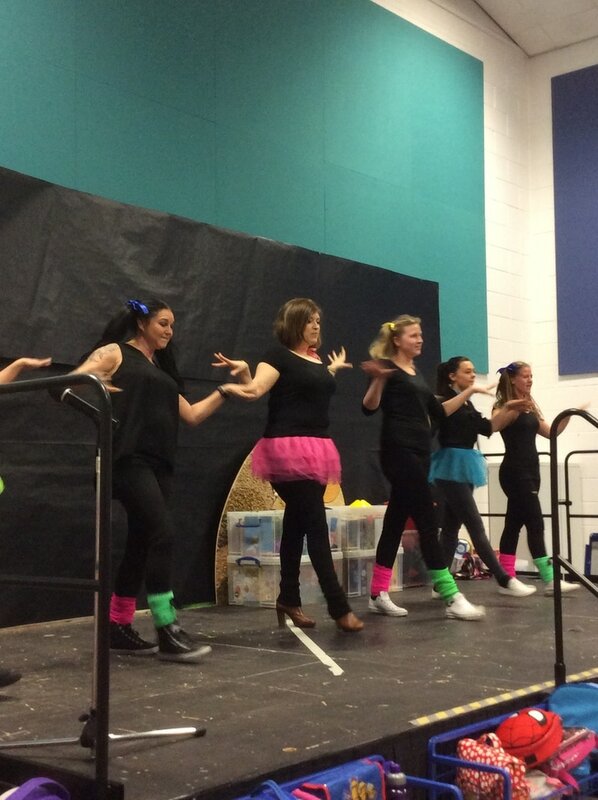 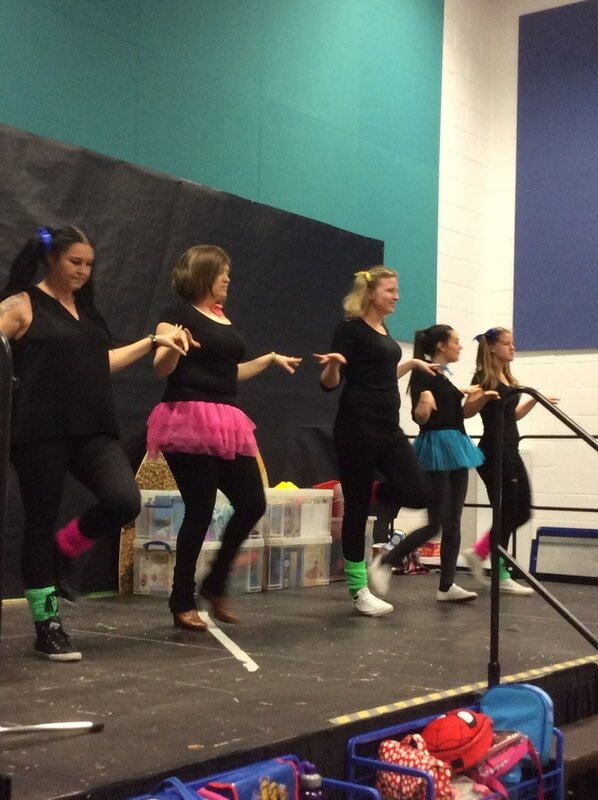 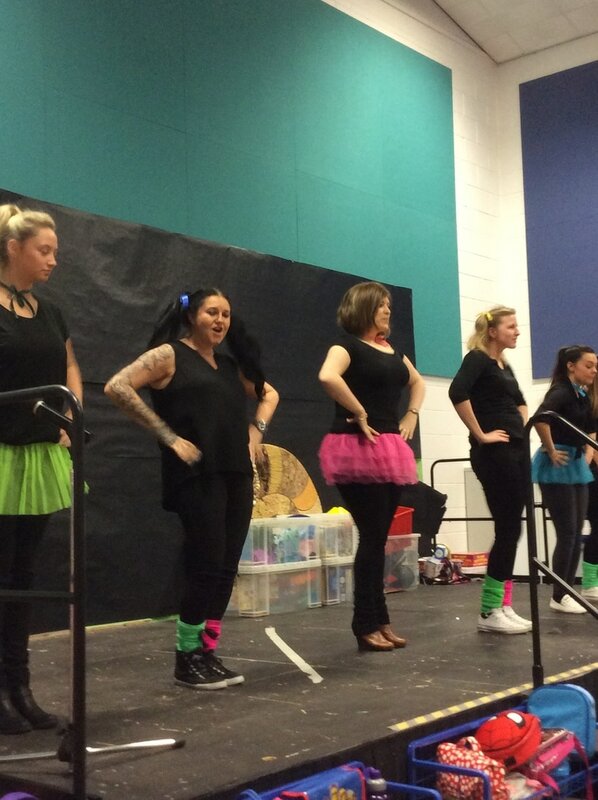 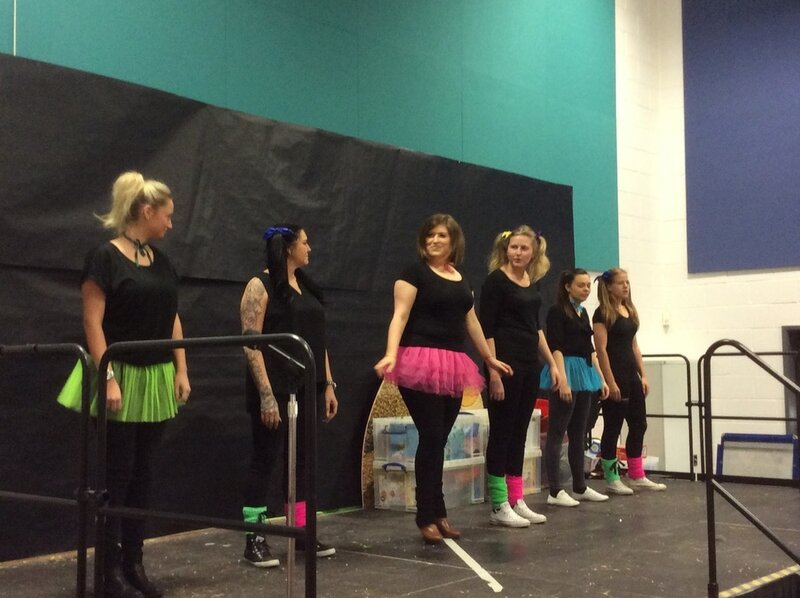 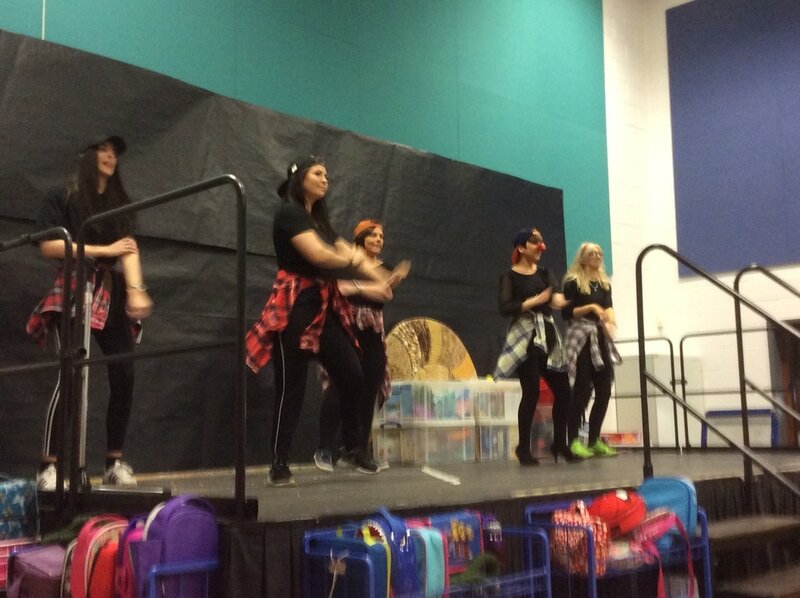 The staff at Park Street participated in a dance off for the children. 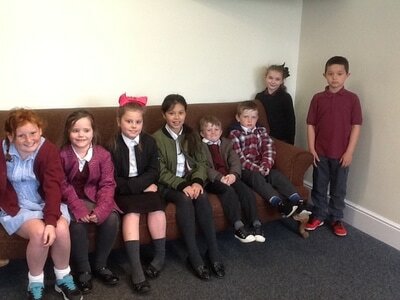 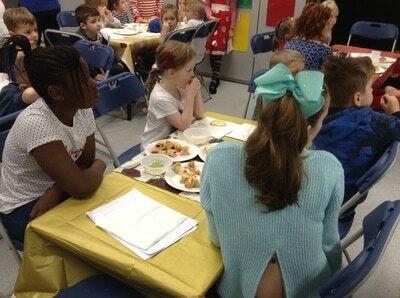 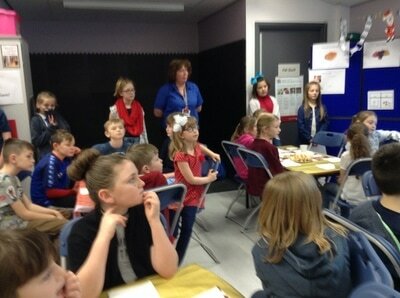 The school council then acted as judges, giving scores out of ten. At the end the group with the most points won! 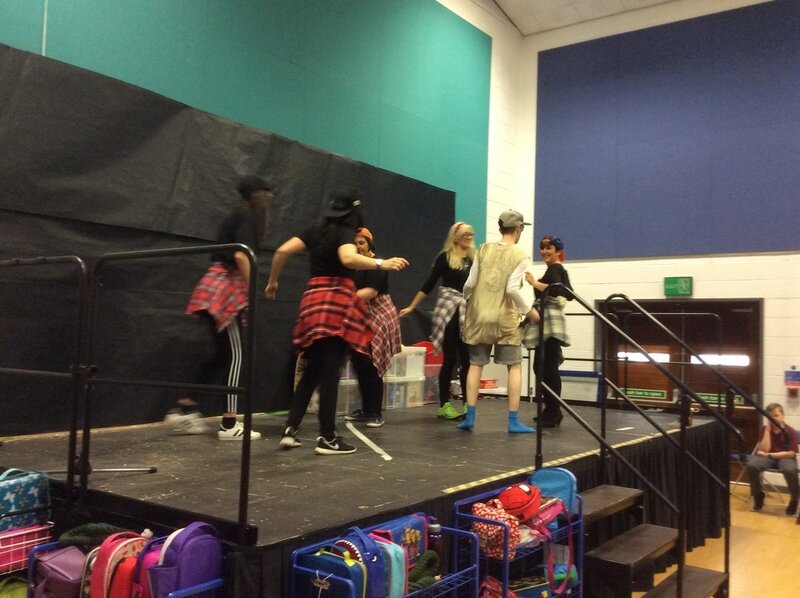 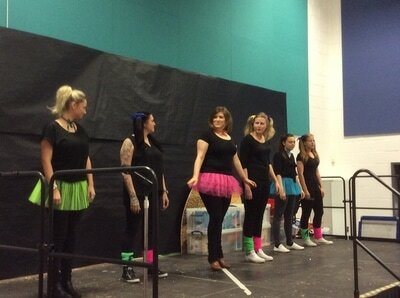 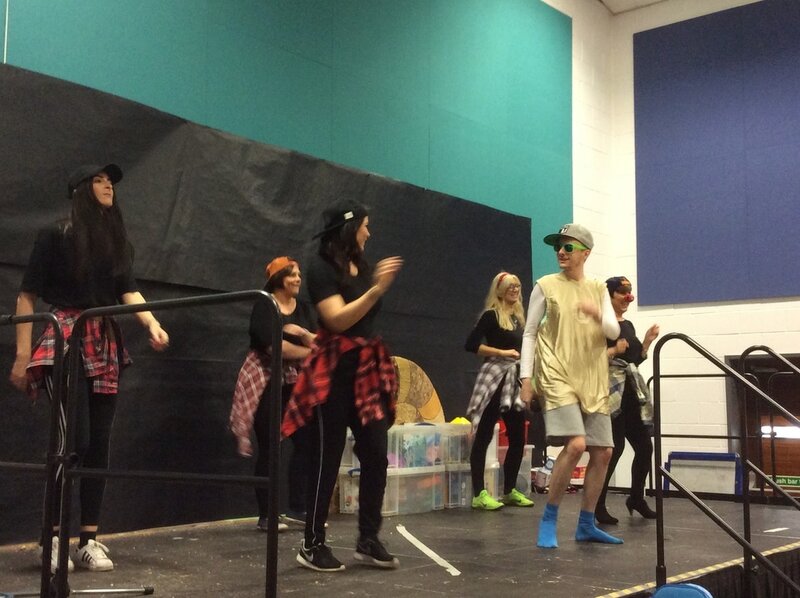 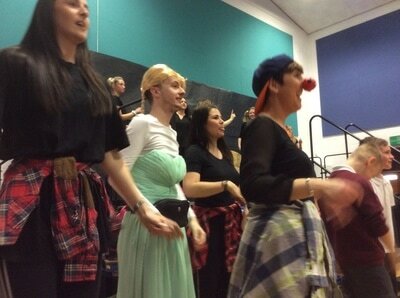 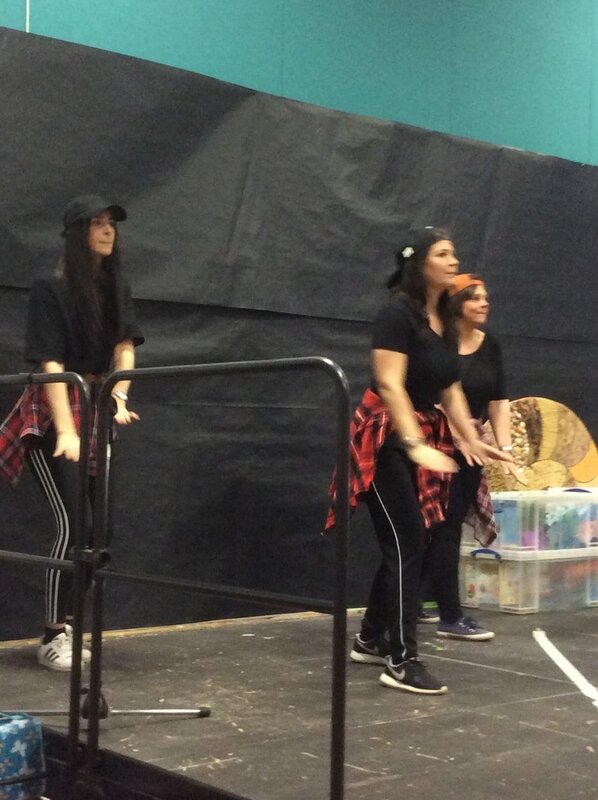 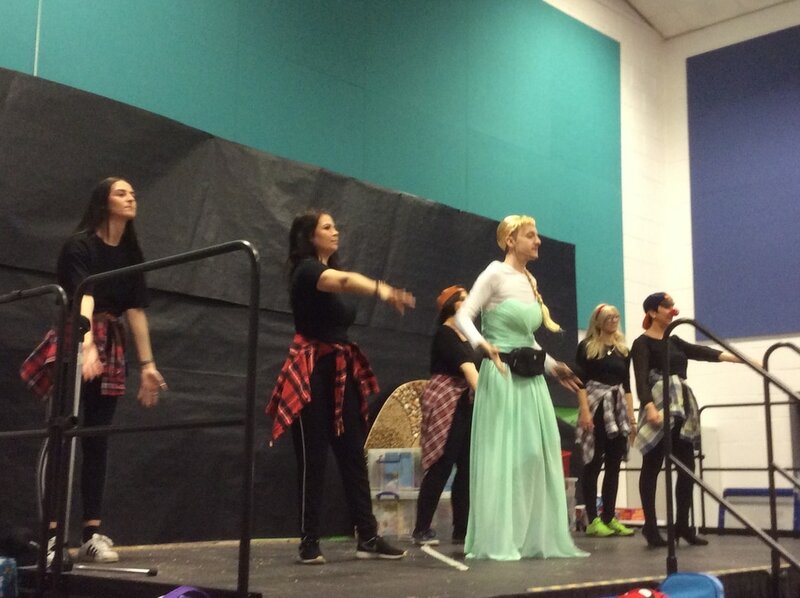 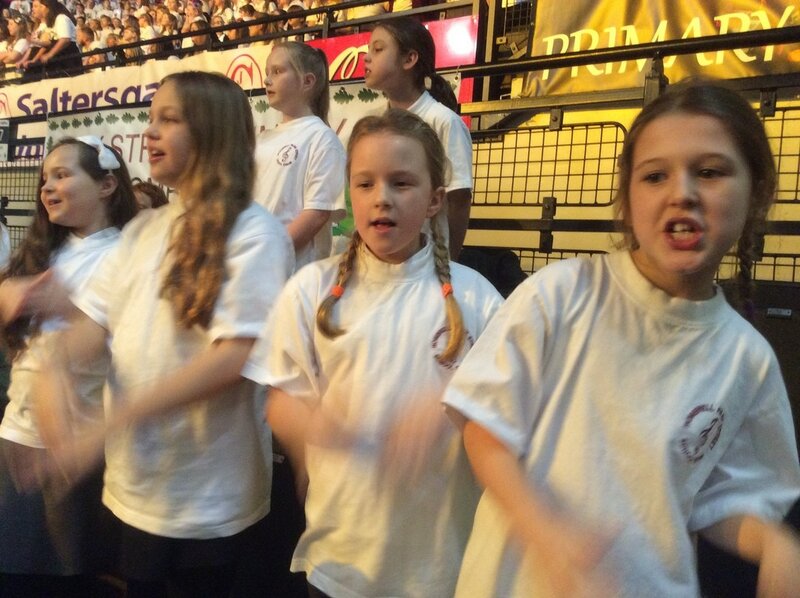 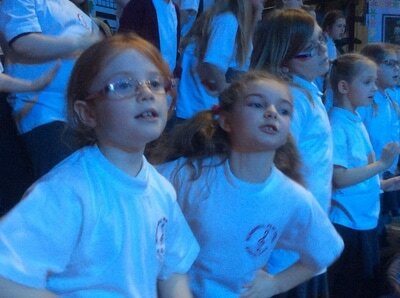 Well done Miss Grayhurt's dance group for taking this victory! 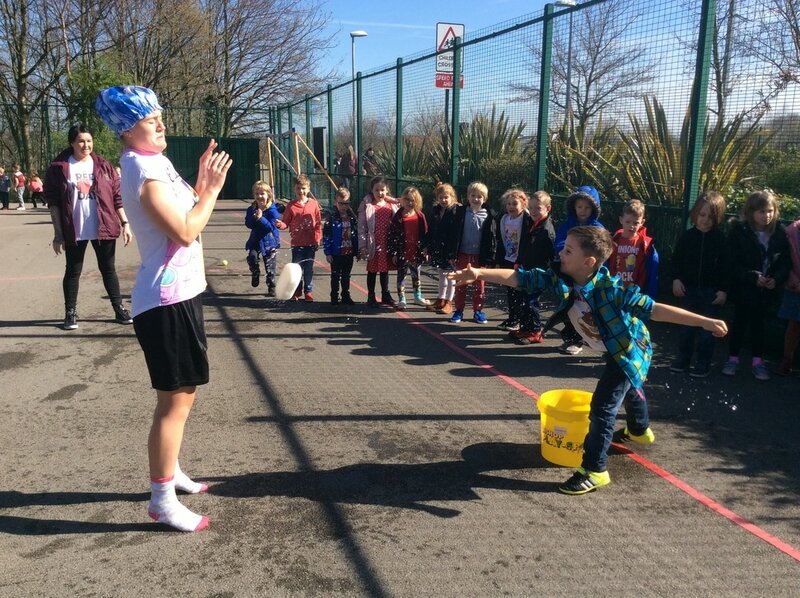 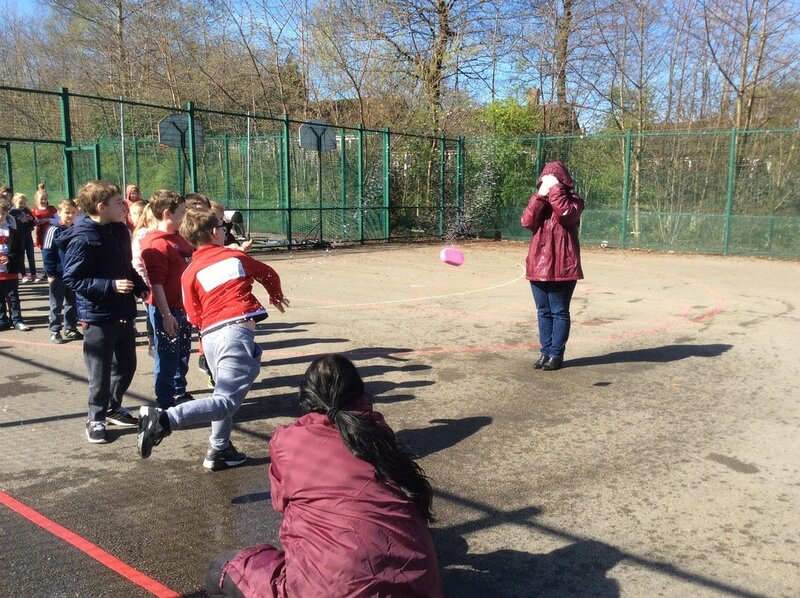 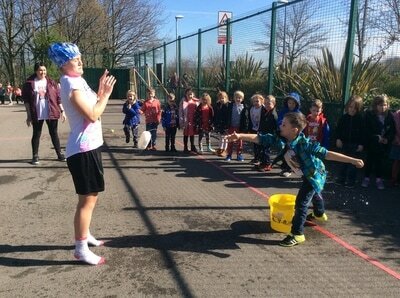 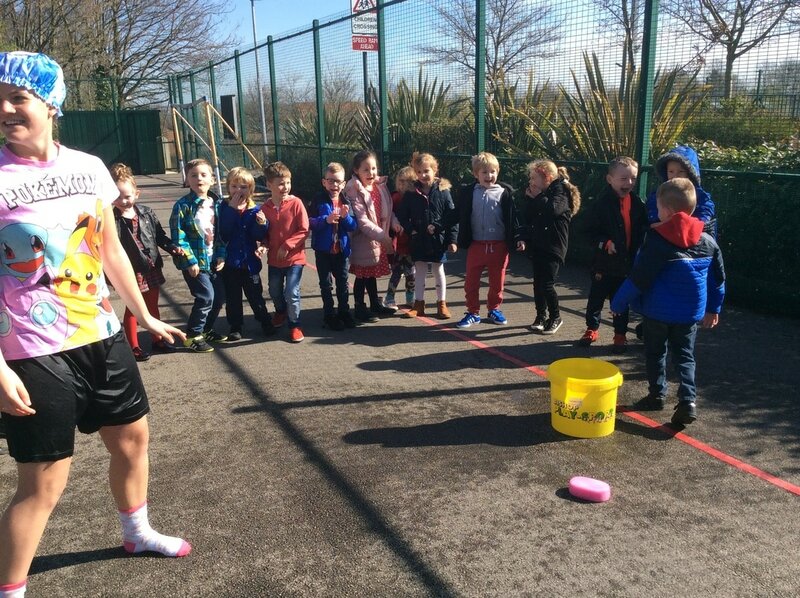 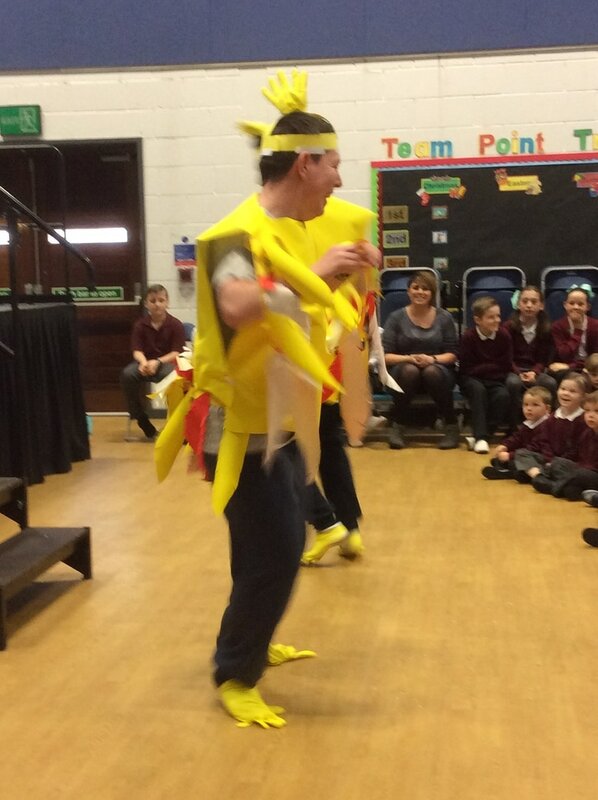 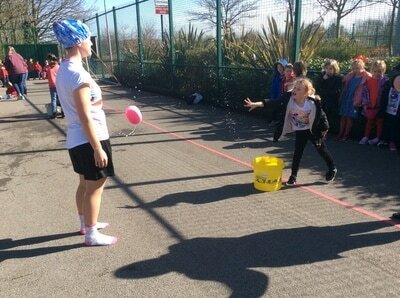 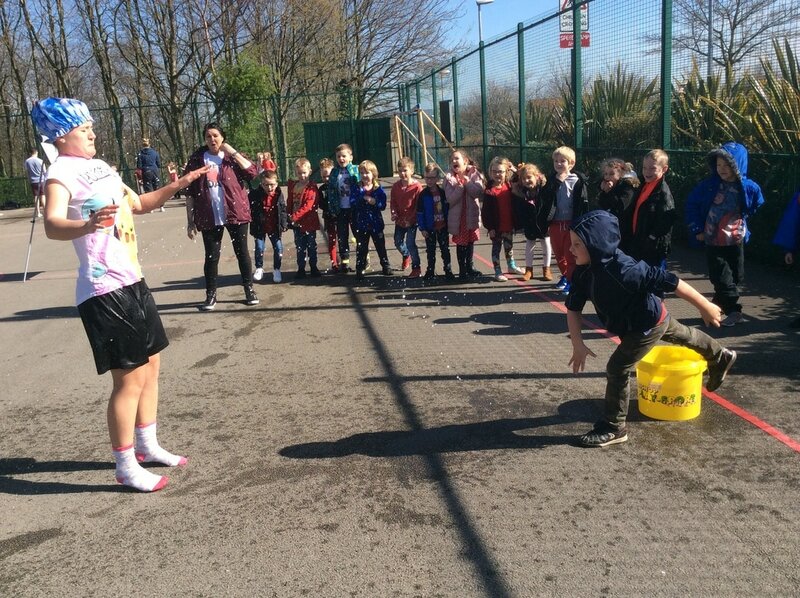 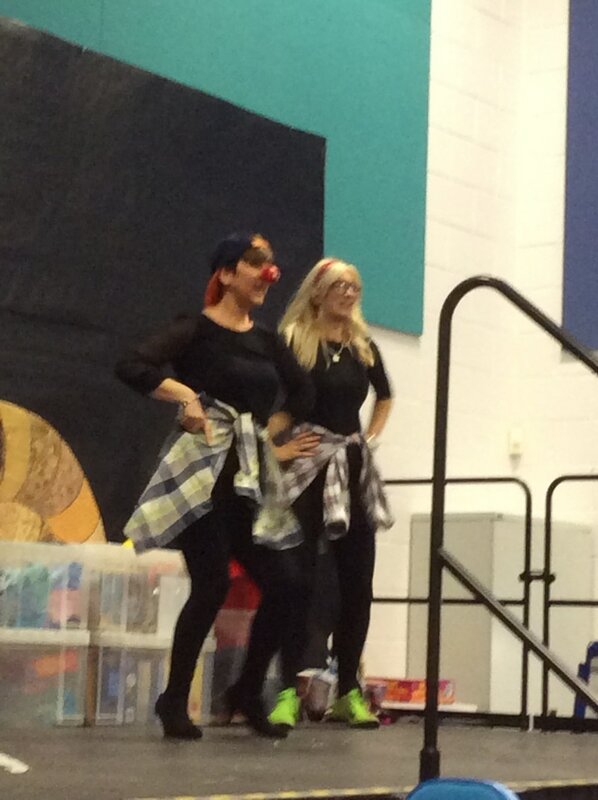 Some of the staff were good sports and to raise money for the cause, agreed to have wet sponges thrown at them! 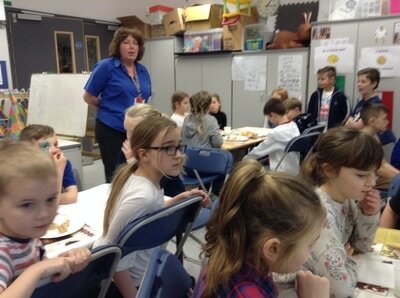 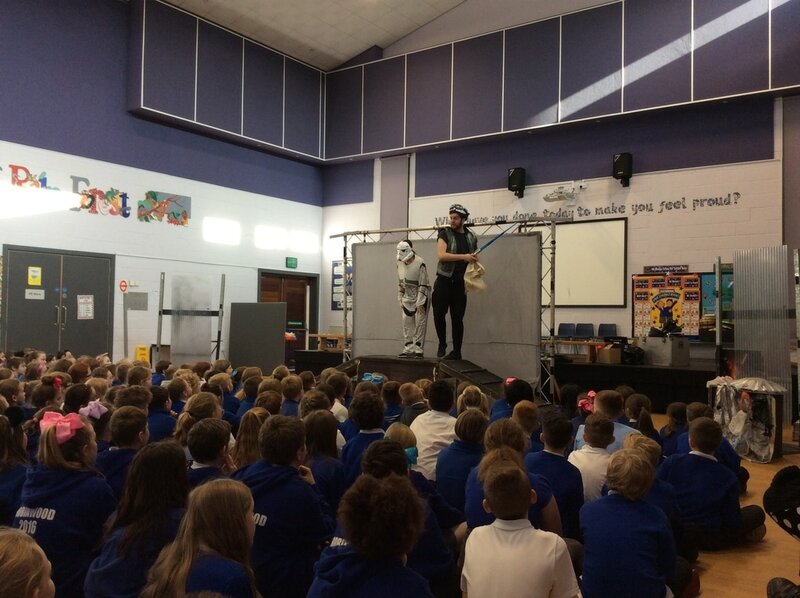 This was a visit organised for the Key Stage 2 children. 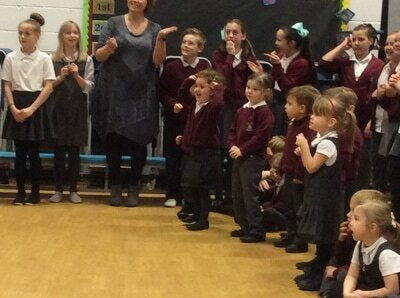 A company was booked to come and work with each class for one hour. 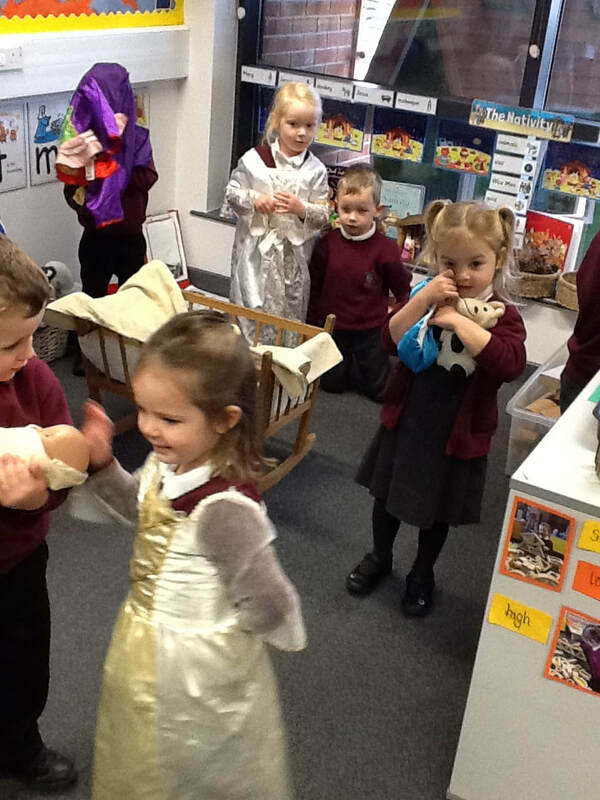 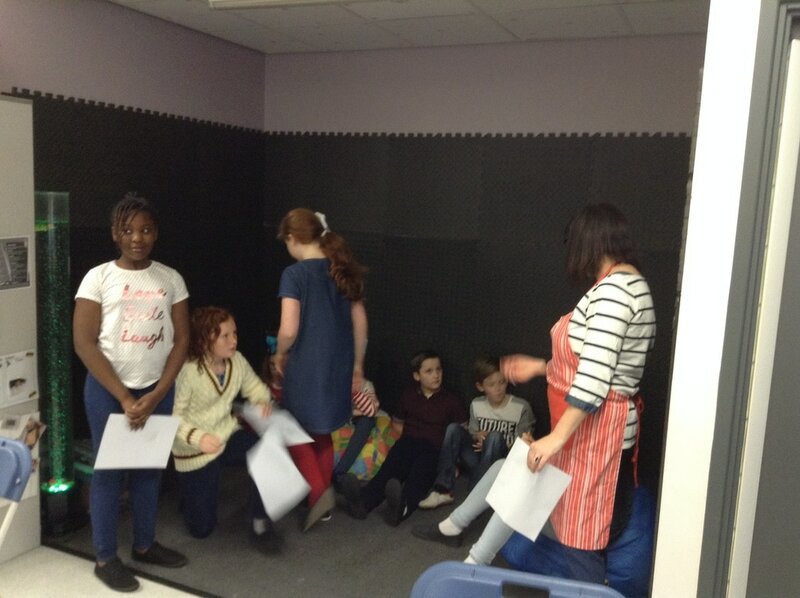 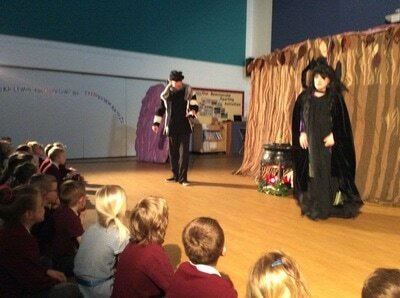 Within the hour the children rehearsed a scene from a play. 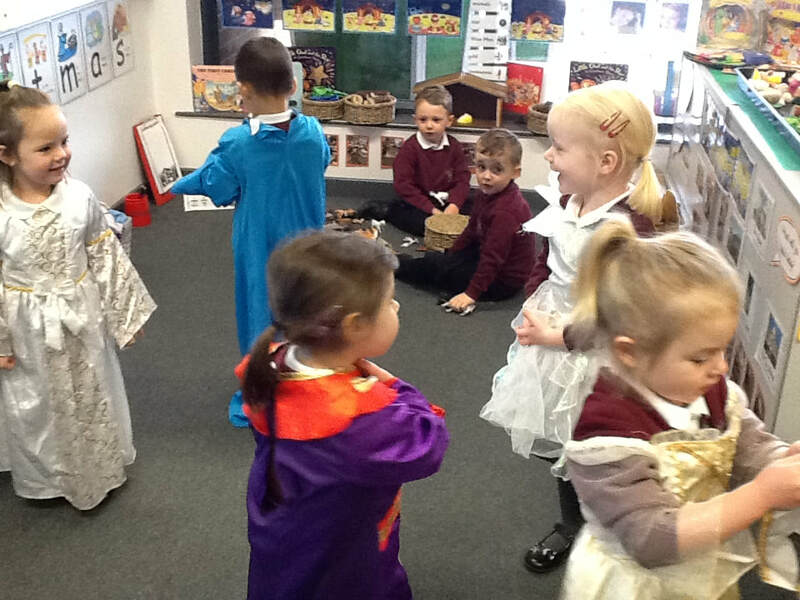 At the end of the morning all the Key Stage two classes put their scenes together and acted out their play for the Key Stage one children. 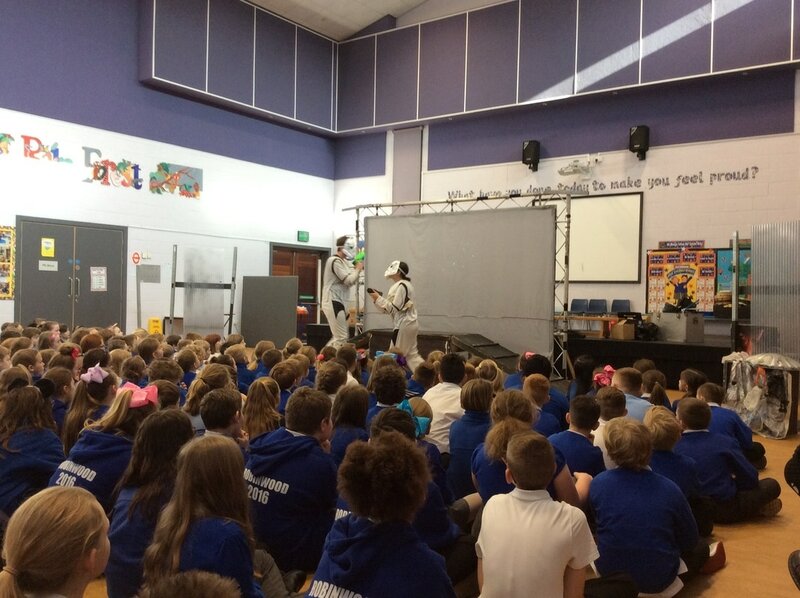 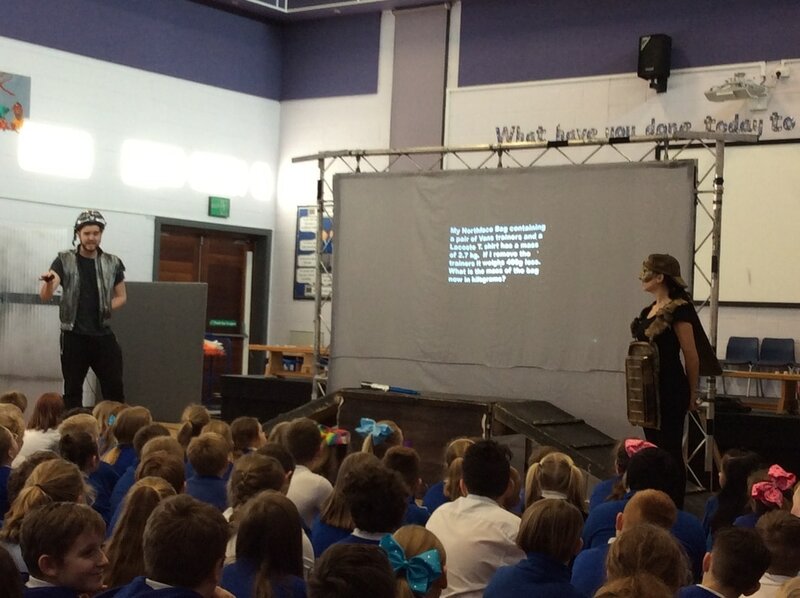 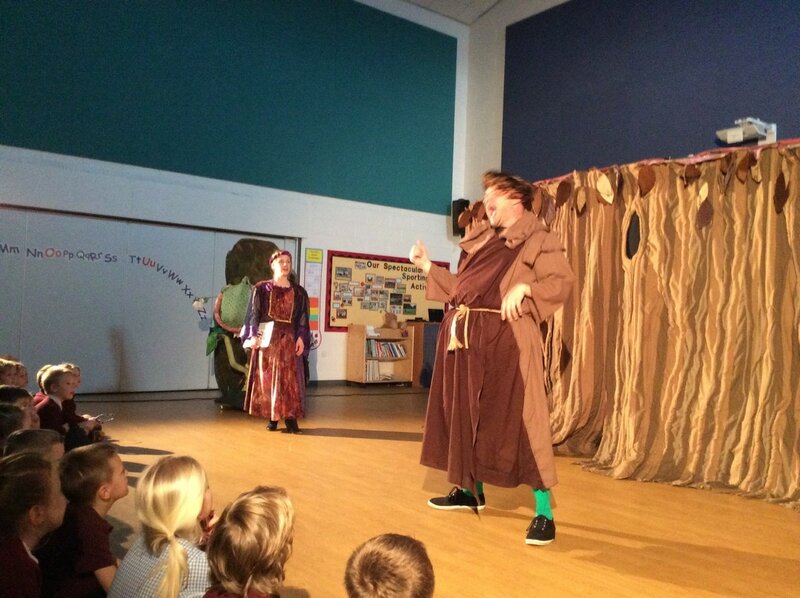 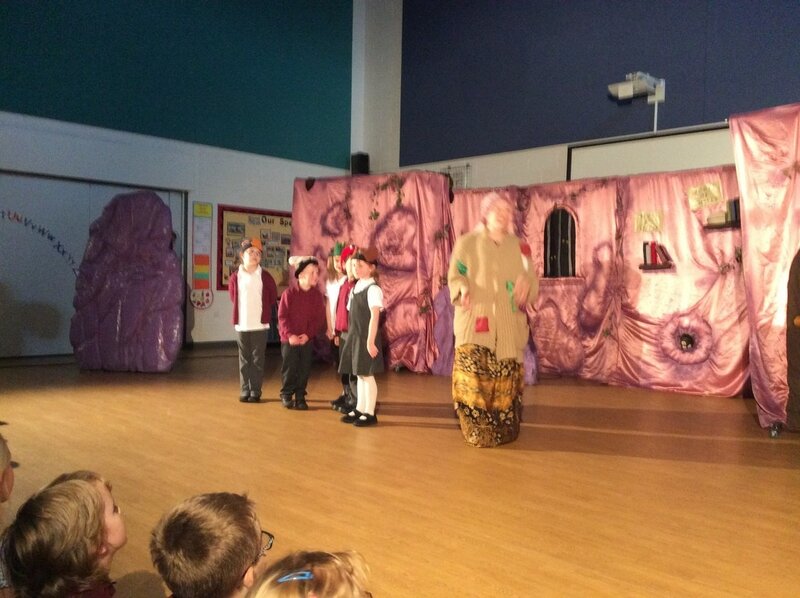 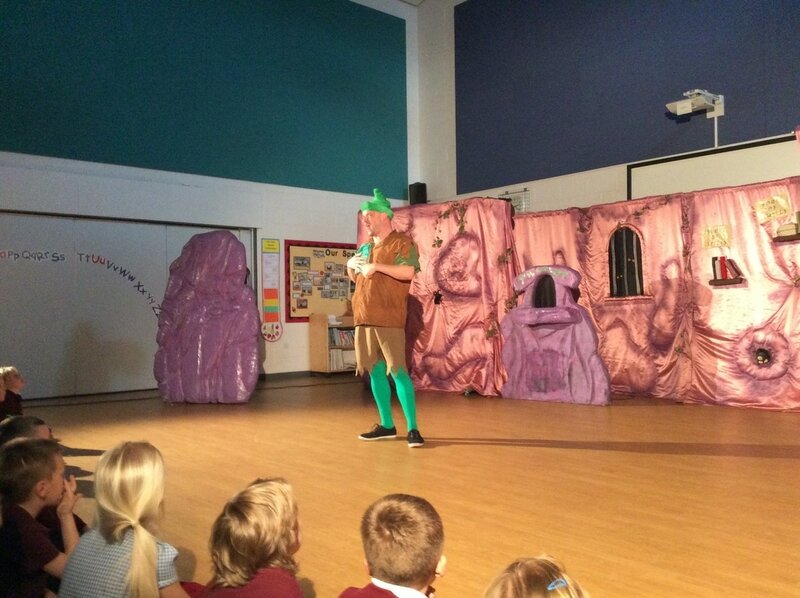 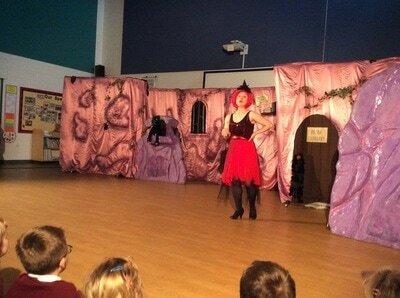 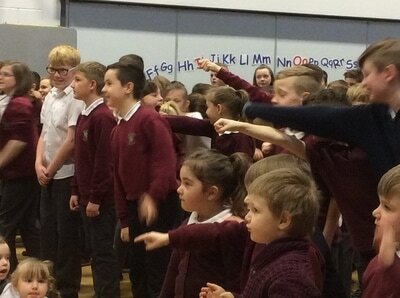 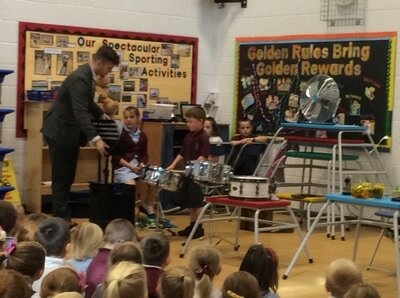 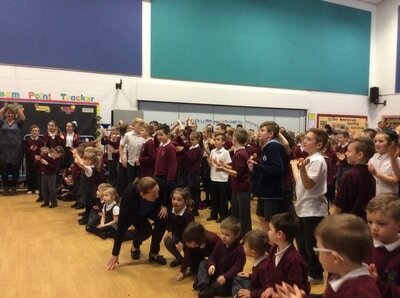 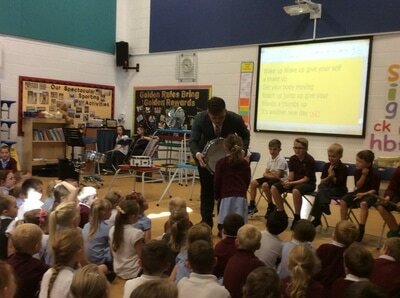 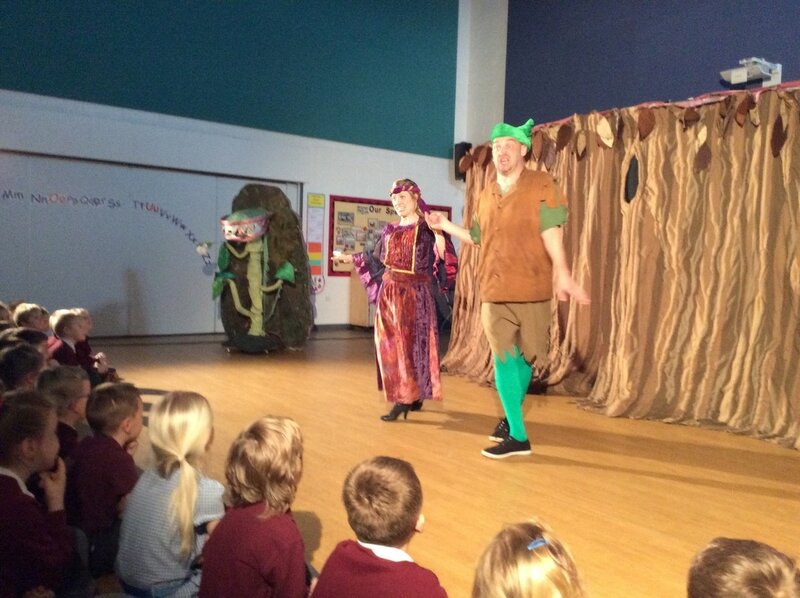 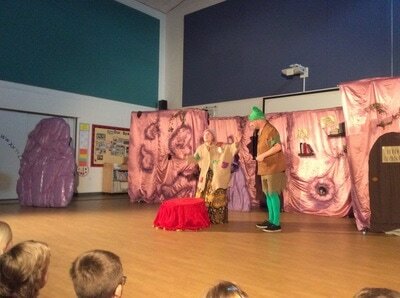 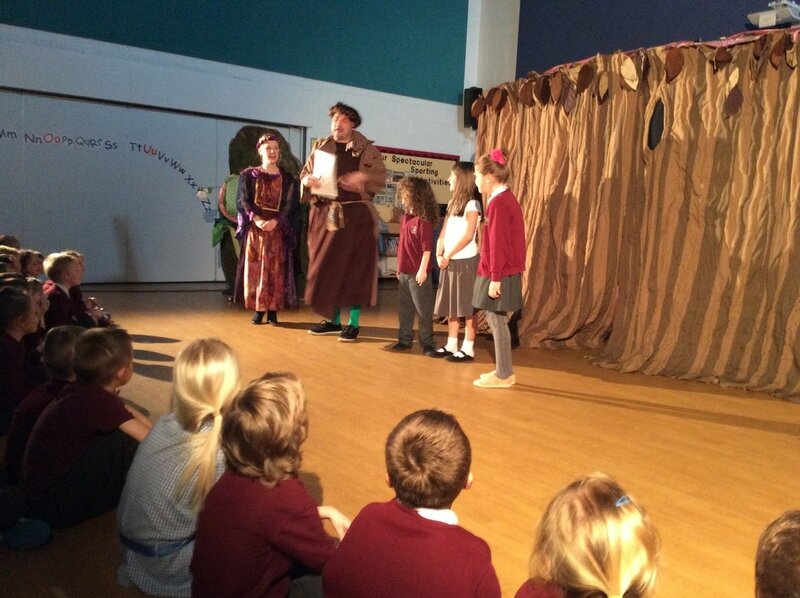 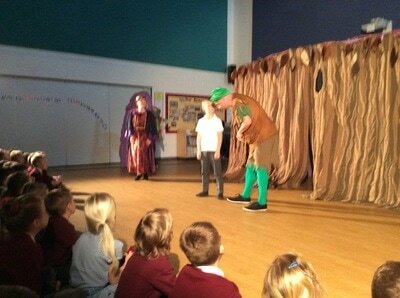 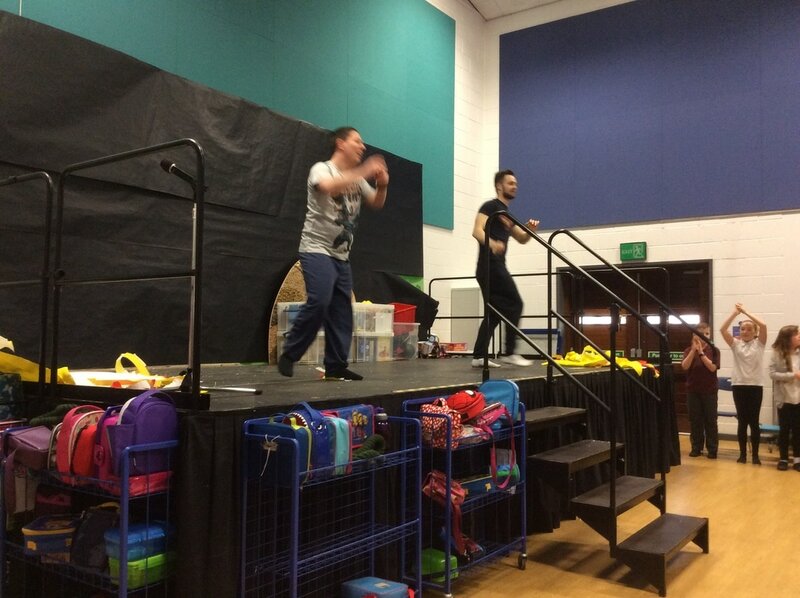 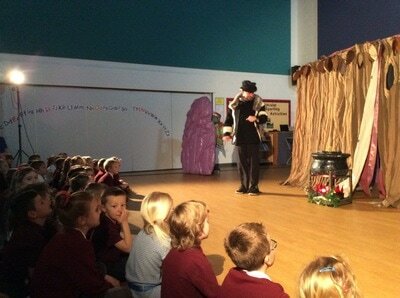 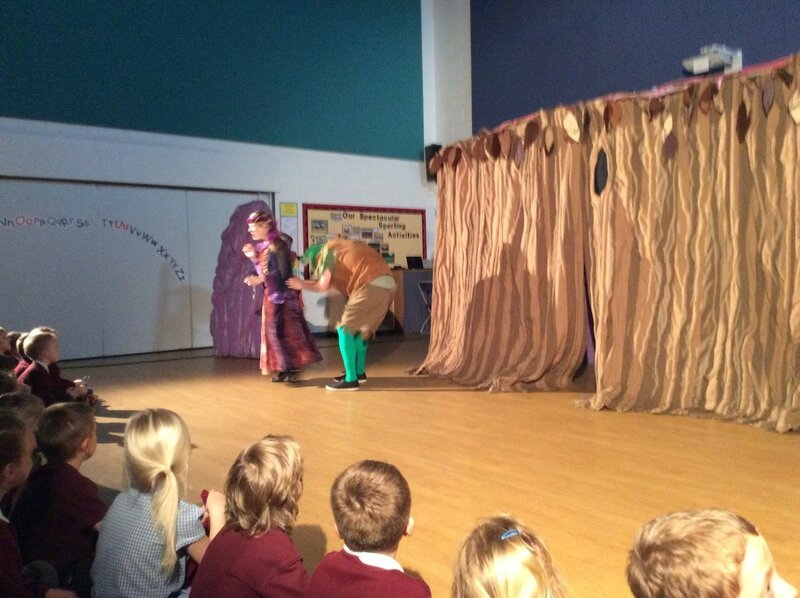 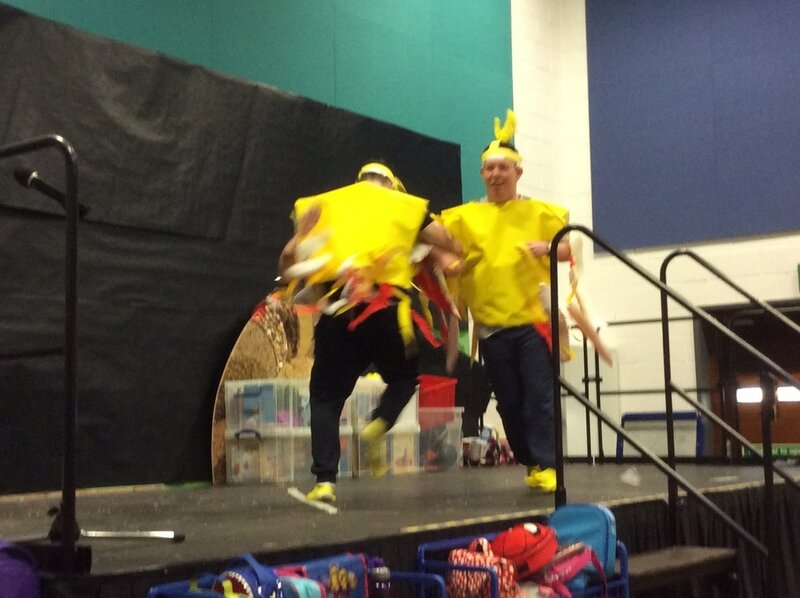 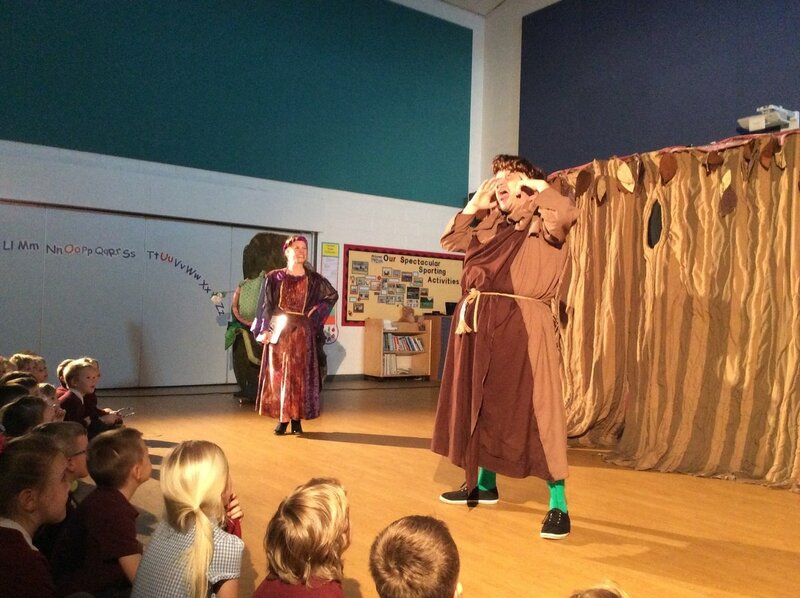 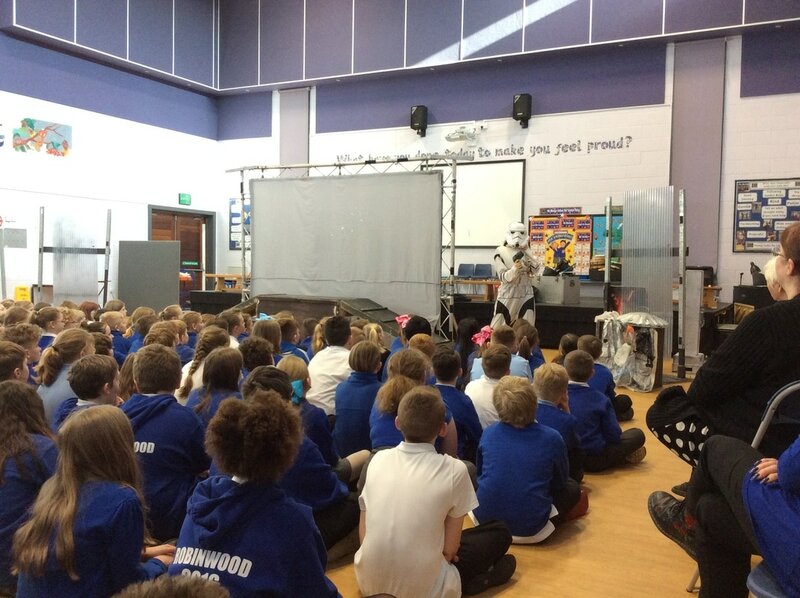 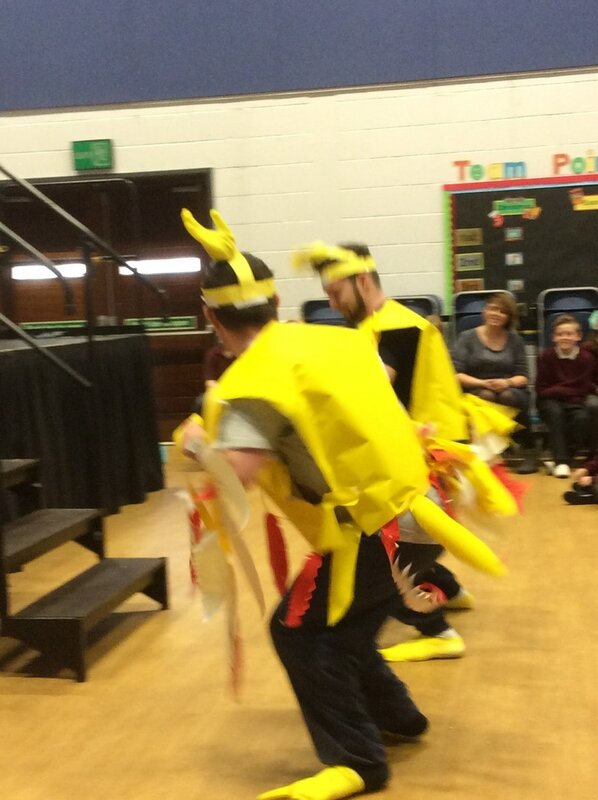 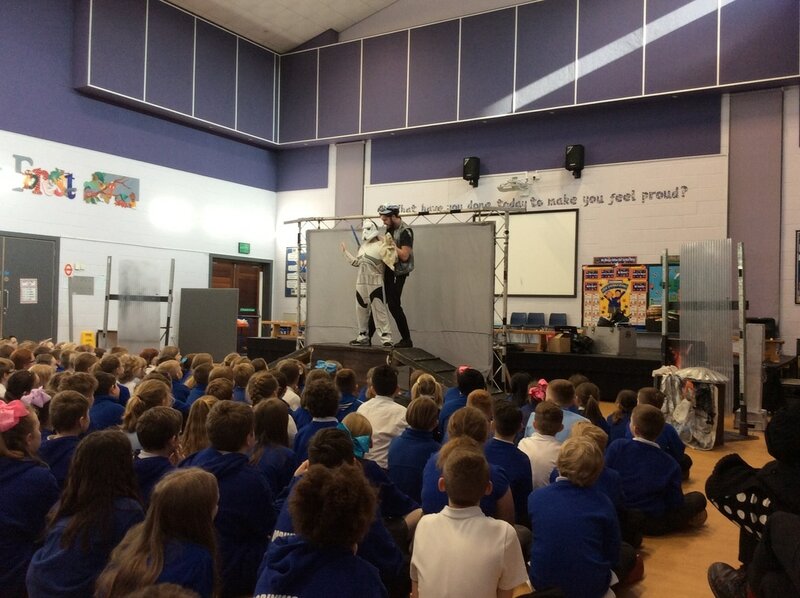 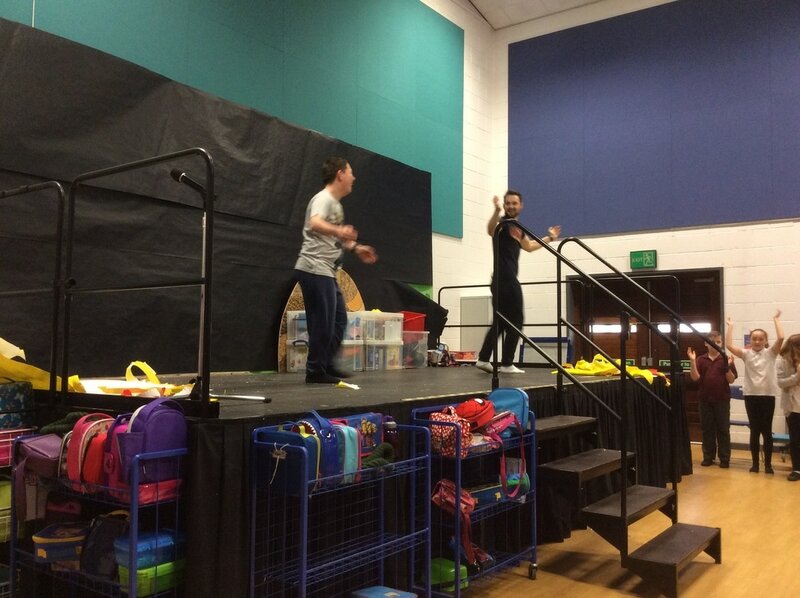 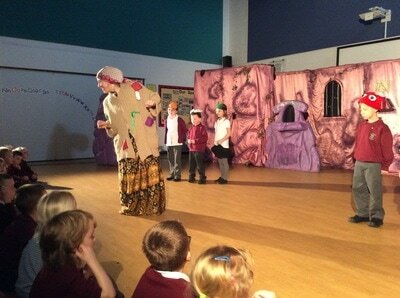 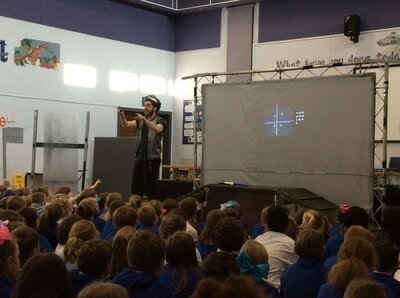 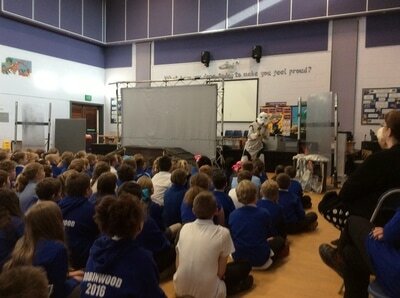 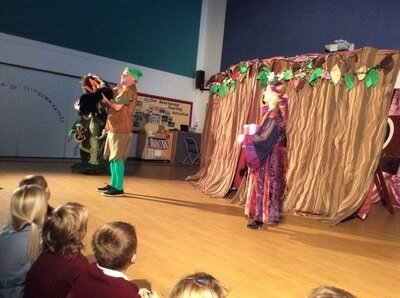 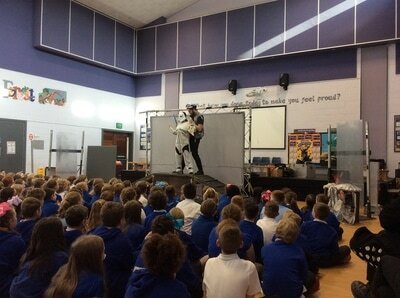 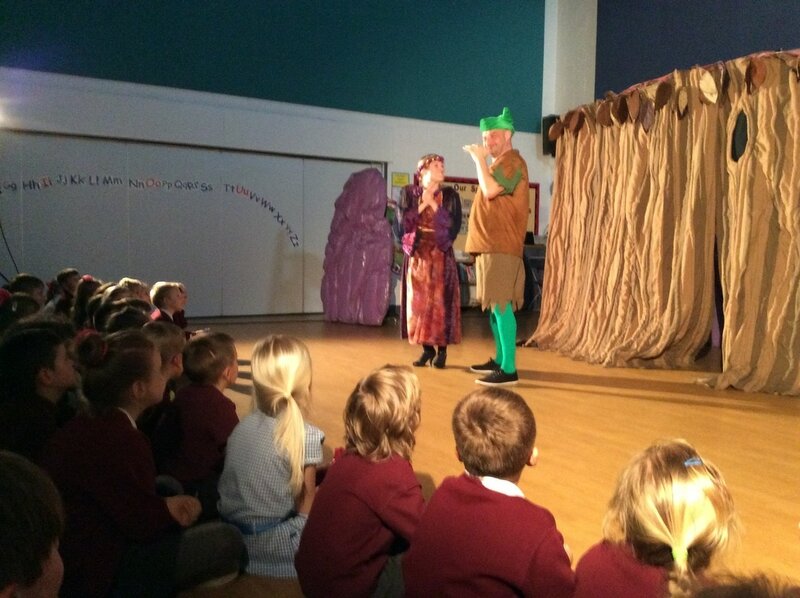 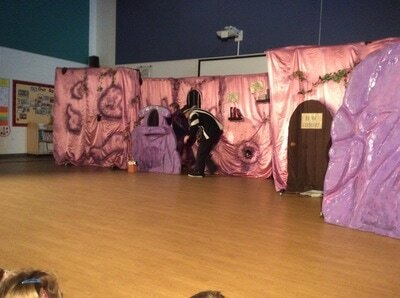 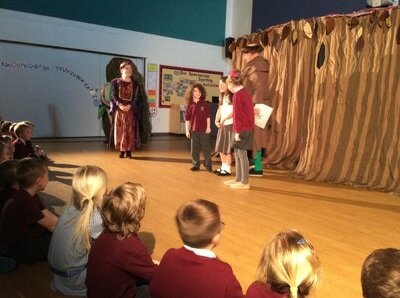 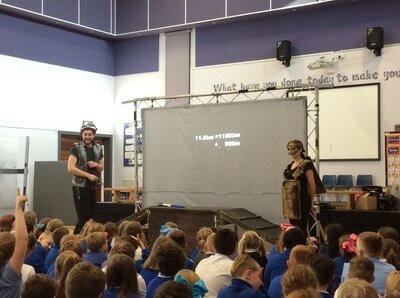 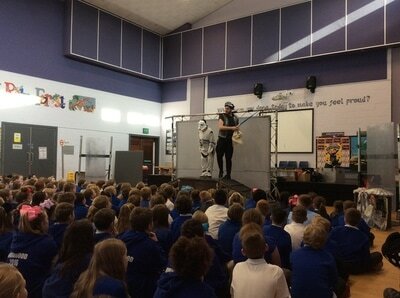 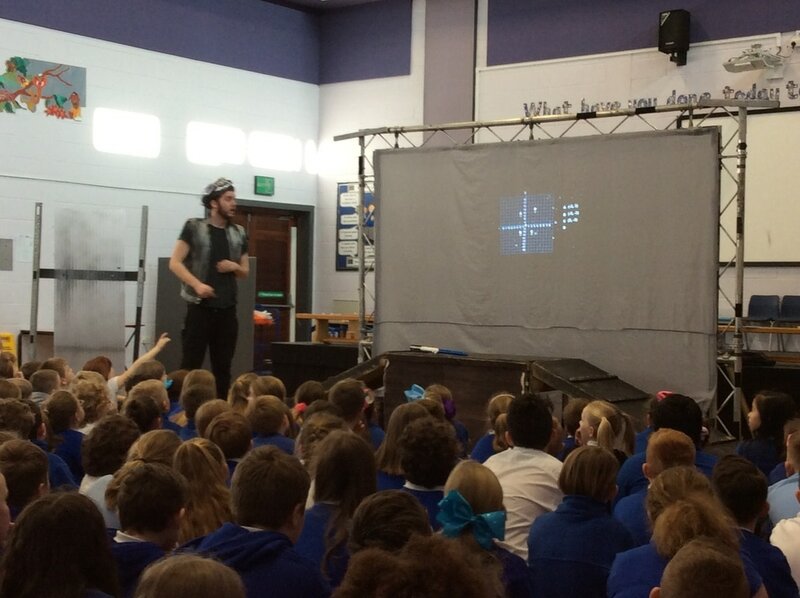 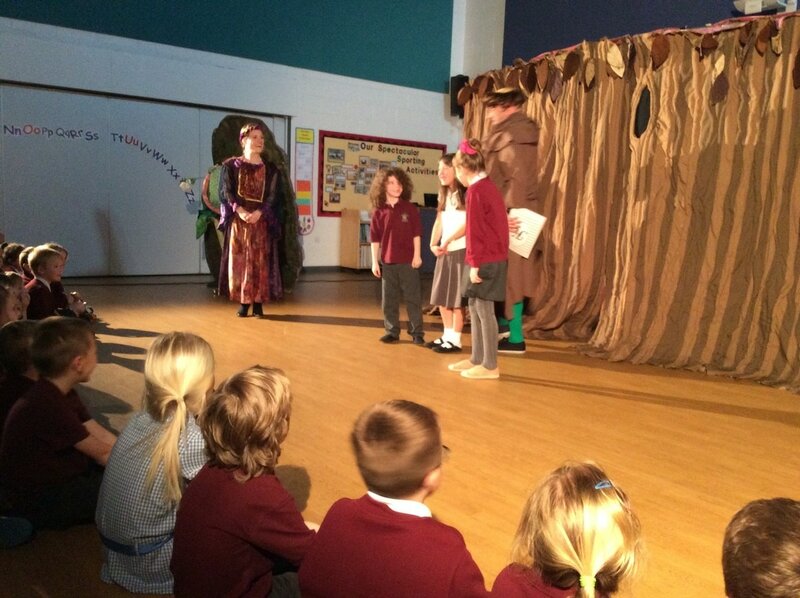 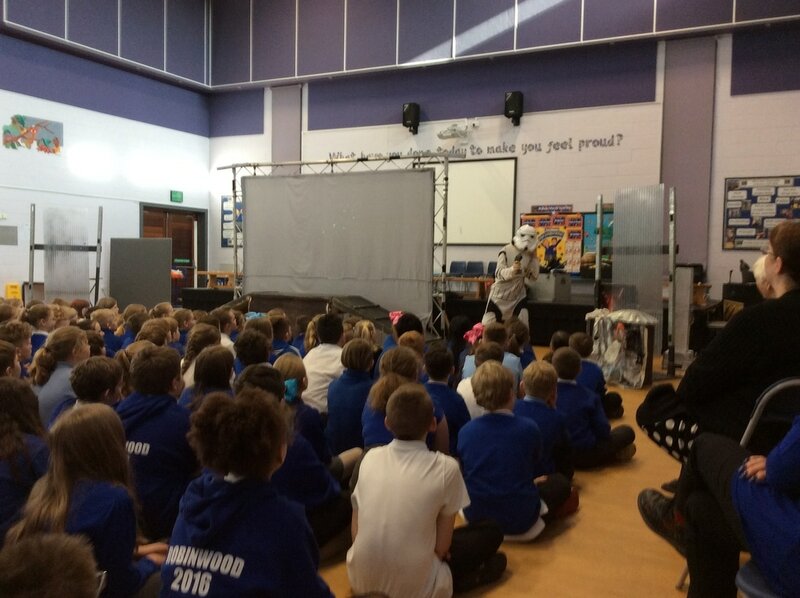 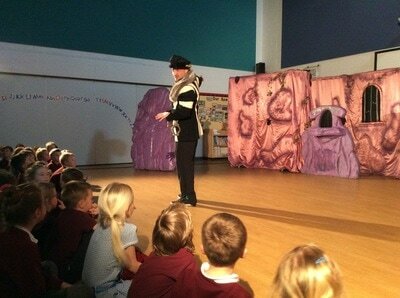 A performance company came into school to show their performance of Robin Wood to the Key stage 1 and two children. 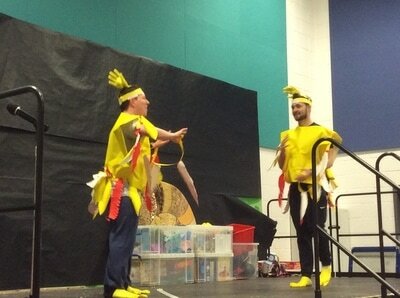 The theme of the play was around biology.